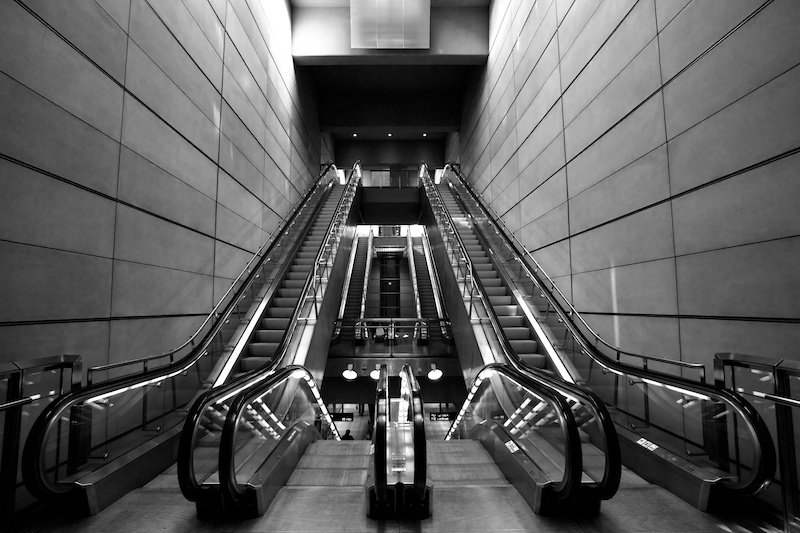 Pattern, metallic stairs and proportions. Shot in Tour St-Martin, Molondin, Switzerland. Like a jewel in a middle of the valley, the old man from the village told me that violins were made from the wood of this forest. Click on the image below for a larger view and drag it for looking around, if the image doesn’t appear use this link. In the heart of the Jura, in a bright day, you can see the Alps. 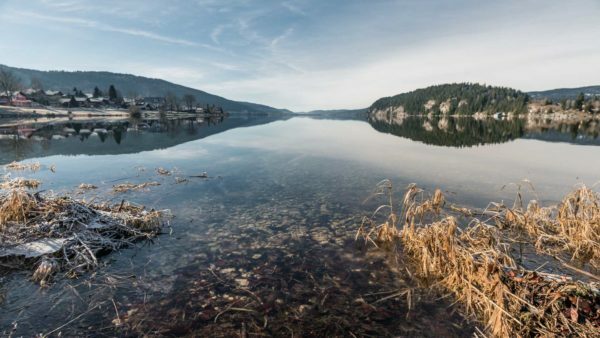 Winter time is the perfect time to visit this part of the Switzerland which deserves to be explored. Winter time on the lake. 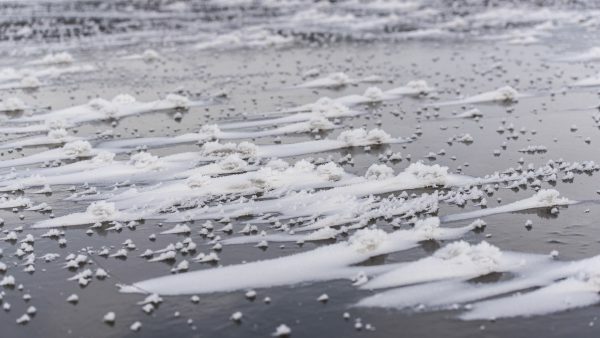 The nature is frozen in the water. Classic landscape picture. Shot in Le Pont, Vallée de Joux, Switzerland. 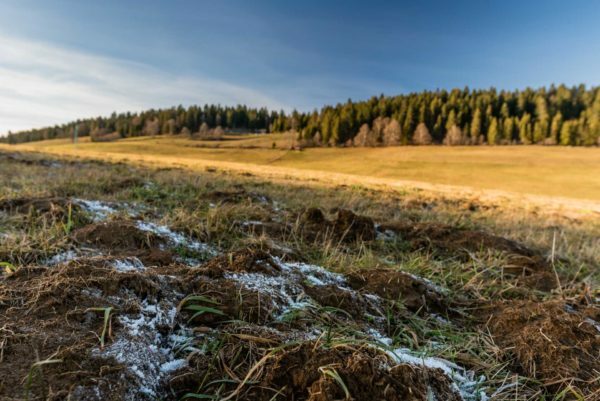 During this season, in the jura landscape you can have frozen grounds, sunset, long shadows and this unique feeling. Shot in La Chaux-Du-Milieu, Canton of Neuchâtel, Switzerland. Another city in beginning of the day. The unique light of the morning. First thing you see, first shot of the day. 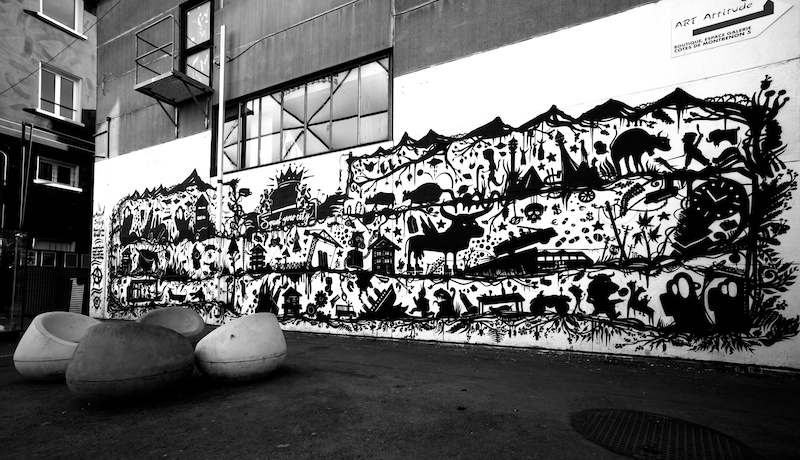 Shot in Center Basel, Switzerland. What goes around comes around. 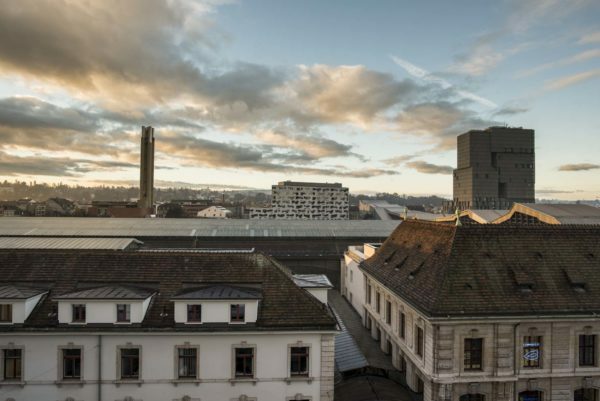 In this building you can find a bank, a money transfer company, a psychiatry firm and the unemployment office for the state of Vaud. Irony and coincidence. Shot in Chauderon, Lausanne, Switzerland. Street furniture creating poetry. This brand new tramway station is part of one of the biggest railway project between Switzerland and France. 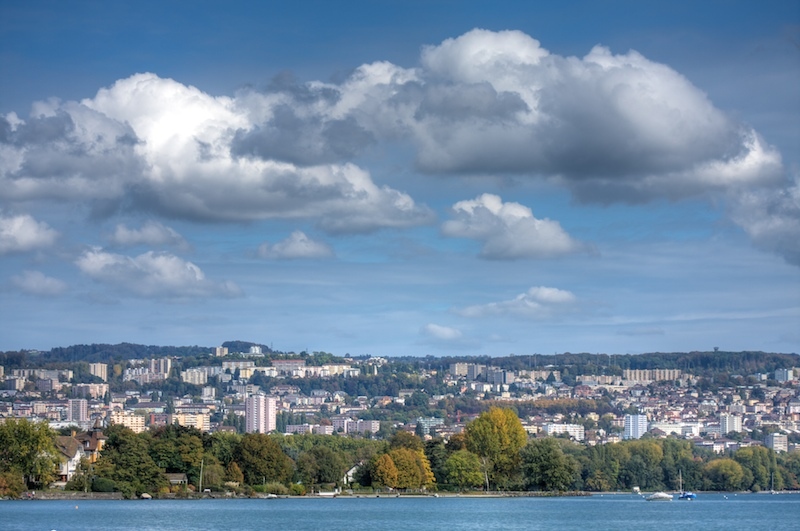 Shot in Lancy, Geneva, Switzerland. Tattoo stays forever. 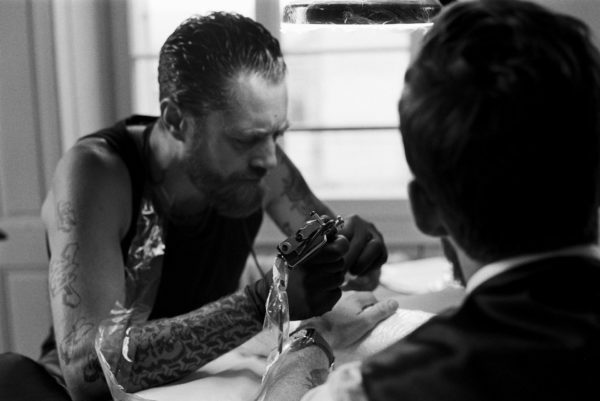 Ink stays under your skin. No problem when it’s your weeding ring. Analog shot in Renens, Vaud, Switzerland. 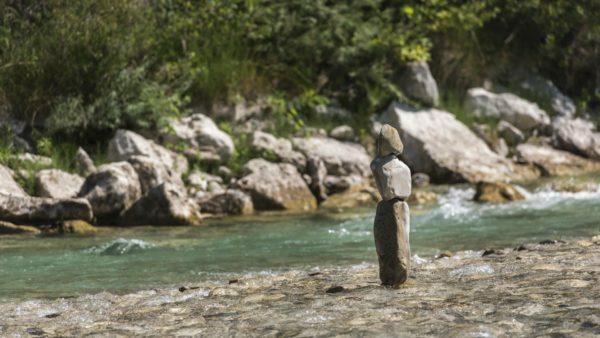 “Stones balancing” is part of the land art movement. Finding the right stone and the right balance is a way to relax. In the same time, it adds something quiet and peaceful in the landscape. Shot in Mirabel-et-Blacons, Drôme, France. When rocks and a path create a pattern. Taking a train is part of my daily routine, sometimes it’s an adventure. Shot in the train station of Neuchâtel, Switzerland. The best cyclist in the world come near your hometown. 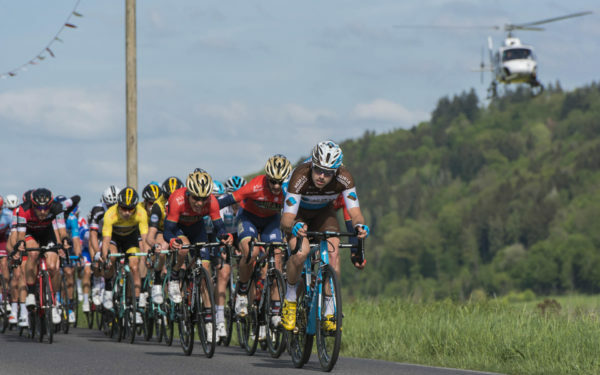 The Tour de Romandie happens once a year in the french part of the Switzerland. A unique opportunity for some action pics. 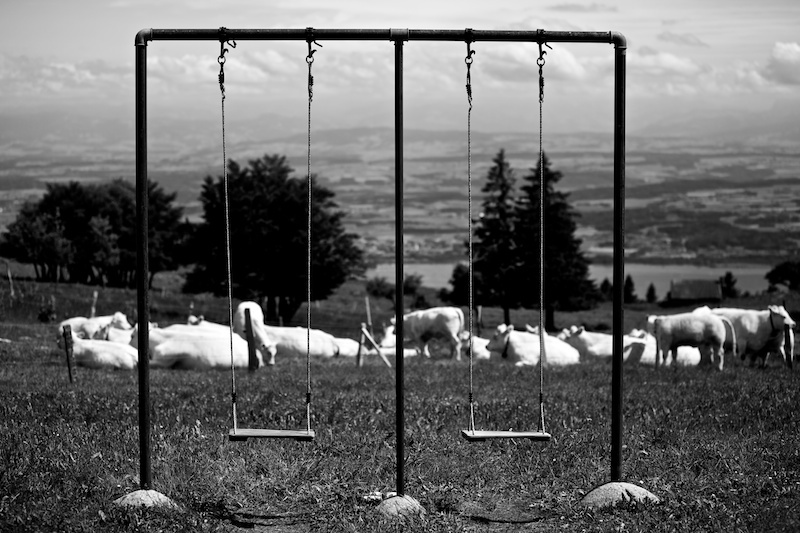 Shot in Pomy, Vaud, Switzerland. After a cold and foggy ascension you reach the top of the mountains and you discover the peak on the other side of the valley. Shot from the top of La Berthe near Champéry, Valais, Switzerland. 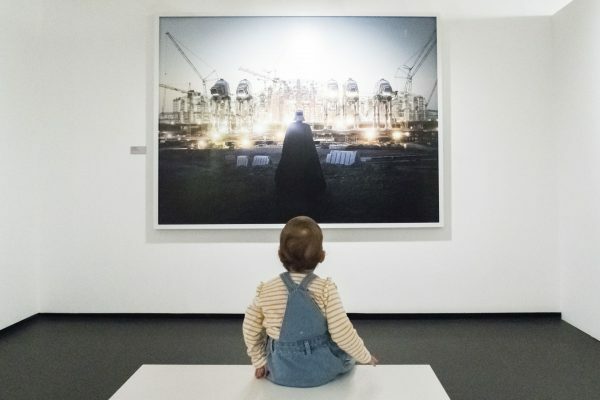 My daughter at the exposition “I am your Father !” at the Maison d’Ailleurs in Yverdon, Switzerland. The picture in front of her is a work from Cédric Delsaux from the project Dark Lens. Taking some height to be above the clouds, same as in real life. Shot in Bullet, Vaud, Switzerland. Sunday evening, a bottle of Malbec and a quiet fireplace. Shot in my living room. It’s the end of summer, the evening became cold. The night comes early and you are surprise by a sunset. 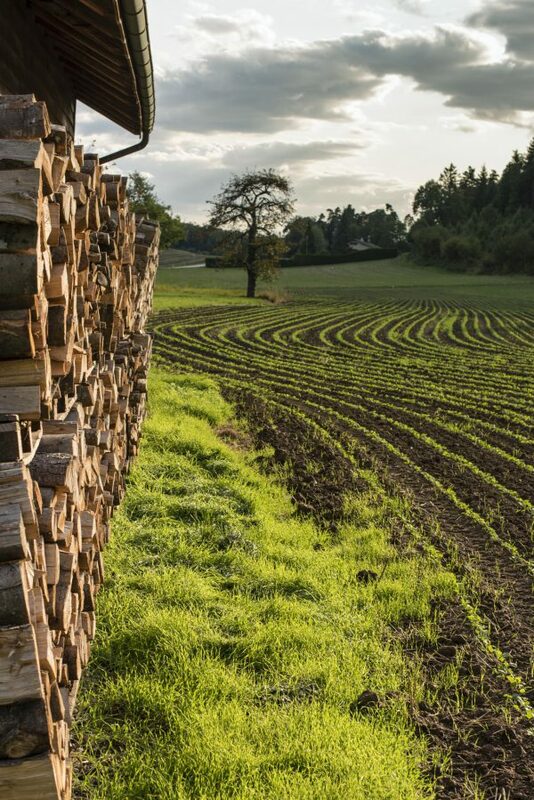 Shot in Cronay, Vaud, Switzerland. 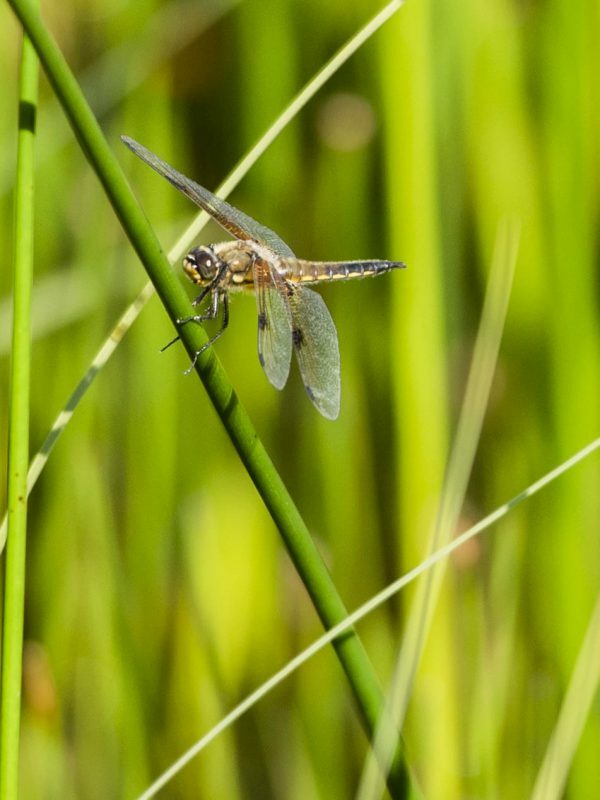 Spending some time trying to catch a dragonfly is a kind of meditation. Stay quiet and slowly after a dozens of tries you got something. 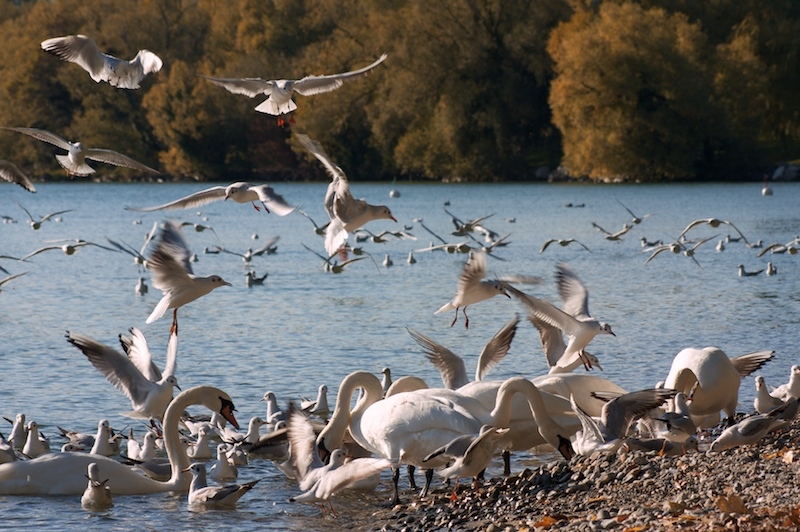 Shot in Lac des Taillères, Neuchâtel, Switzerland. 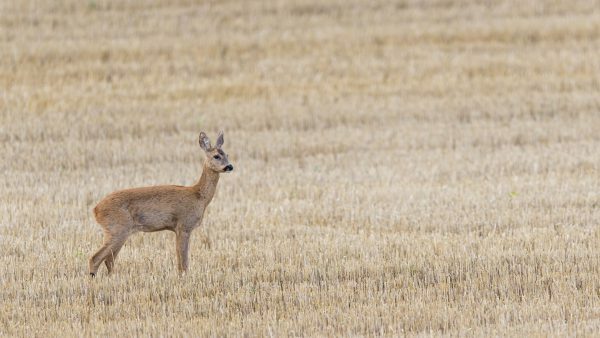 Just behind my house on a Sunday evening, I’ve got the visit of this friendly female deer (I think so). Hopefully, I had my DSLR ready near me. Sometimes, you don’t need to go in the woods. 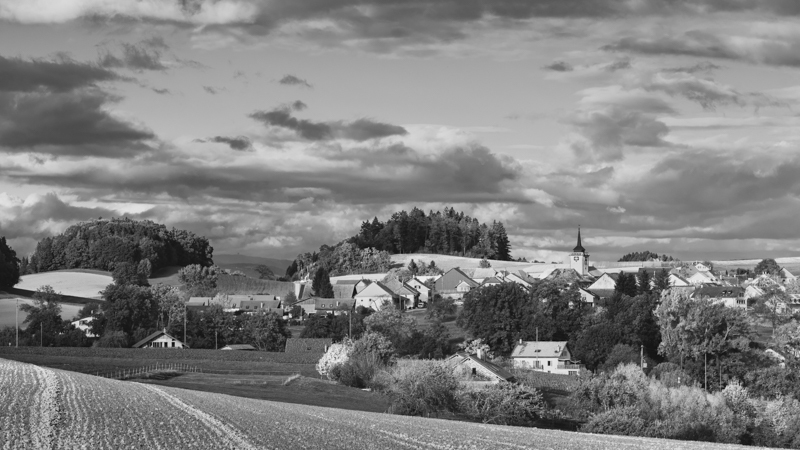 Shot In Cronay, Vaud, Switzerland. Less adventurous holidays, family holidays. Spending time on near the sea and taking care of the loved ones. Shoot in Lavandou, south of France. 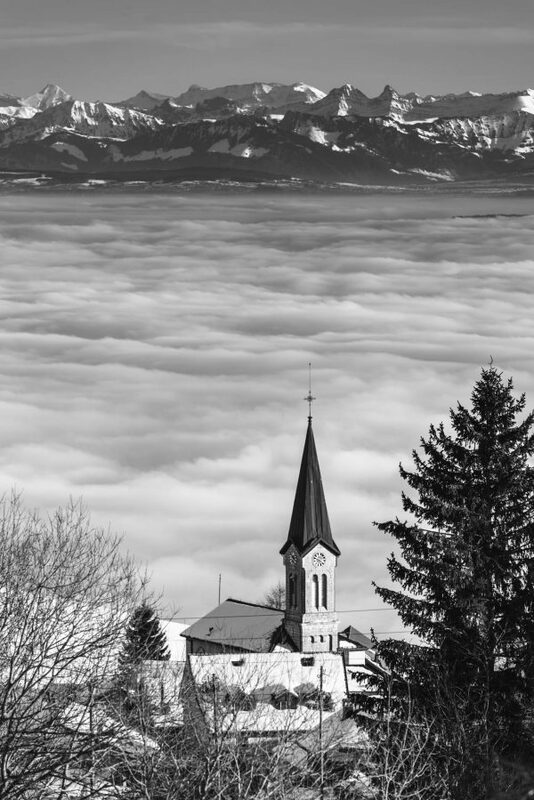 Shot from the St-Martin Tower, Molondin, Vaud, Switzerland. This image is may be easy but I needed to shoot it. I like the moment when I made it. A simple picture for a simple moment. 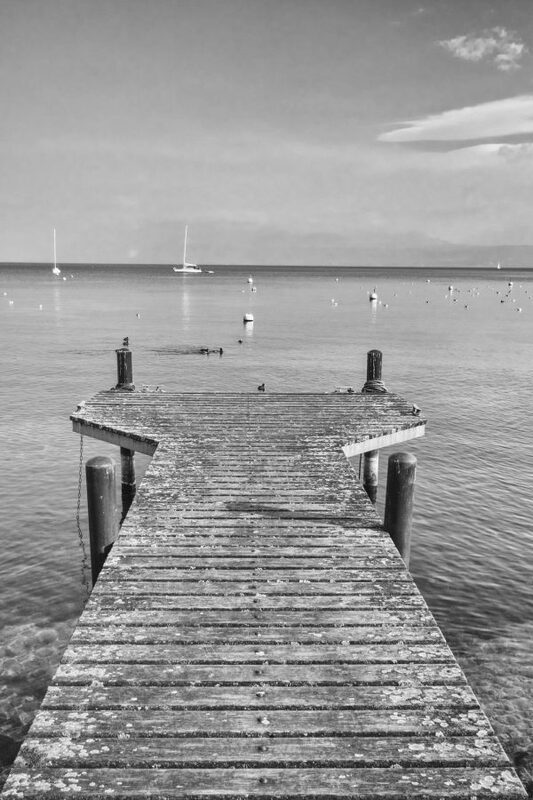 Shot in Morges, Vaud, Switzerland. Another giant of glass and steel with an abdomen full of working humans. Shot in Rasude, Lausanne, Switzerland. 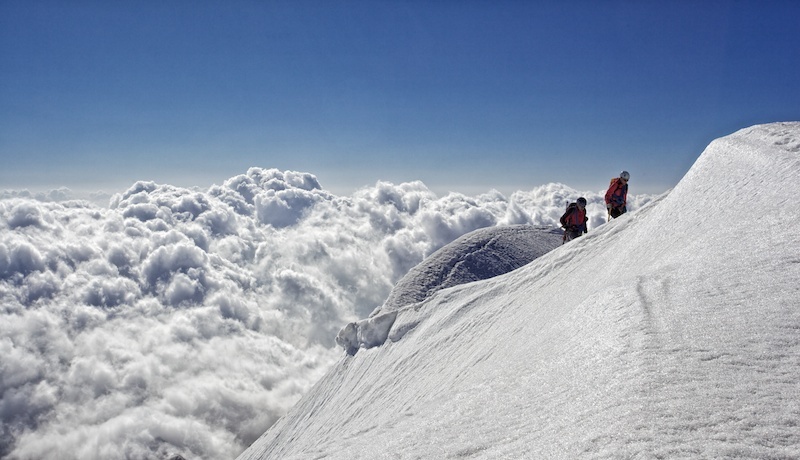 This the kind of mountain you hope to climb one day, it seems hard. I put its name on my bucket list and may be one day. 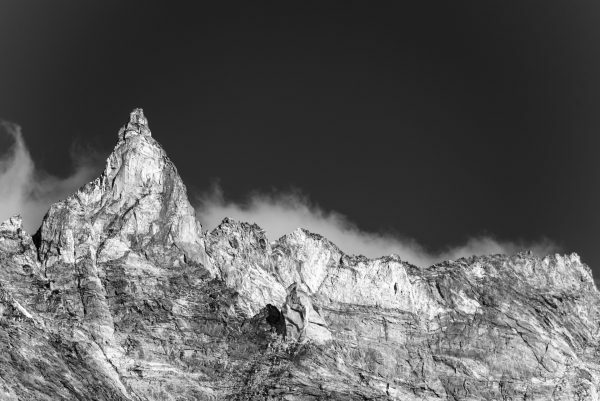 It’s called Aiguille de la Tsa (3668 m), Shot from Satarma, Valais, Switzerland. 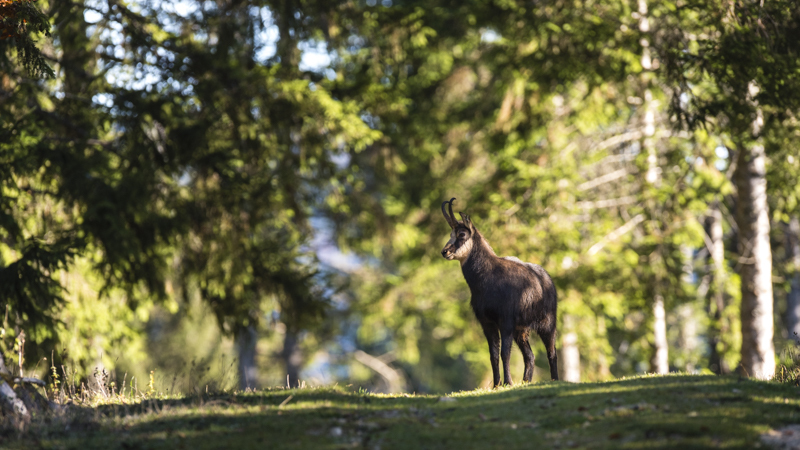 The Crest of Jura is full of Chamois. You need to wake up early, walk slowly and the most important be patient. It’s a kind of adventure to go out and hoping to shoot them. 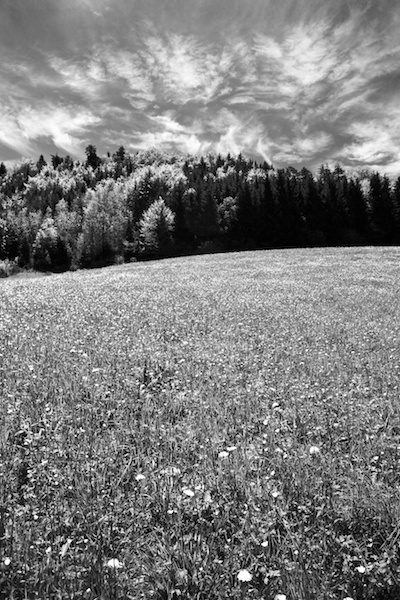 Shot in Vallée de Joux, Switzerland. Life changes. I live now in the countryside and I’m the father of young girl. This my town. 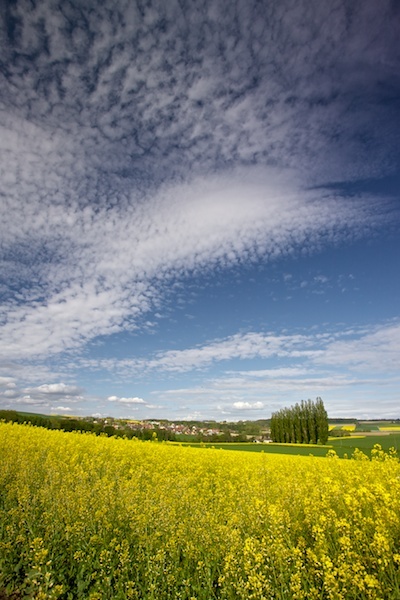 Shot in Cronay, near Yverdon, Switzerland. After hours of spotting I finally get this picture of an Heron (Ardeidae) attacking a great Egret. 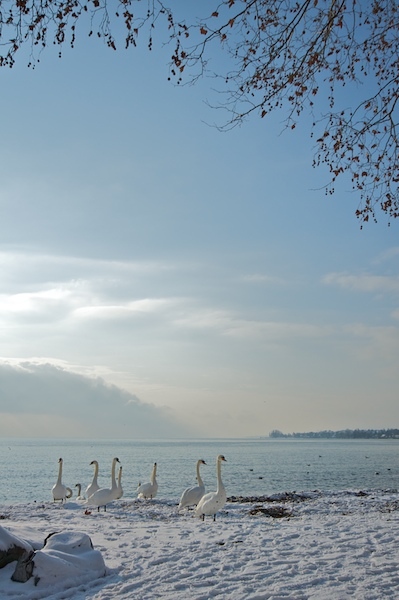 It was a quiet morning, near the Neuchâtel Lake. This spot is very well designed for photographer. If you come in this area don’t hesitate to visit it. Shot in Champ-Pittet, Vaud, Switzerland. I spent twelve days above the 78th parallel, trekking, kayaking and hunting for the good picture. During the first part of the trek we reach this place by boat, the beginning of an adventure. 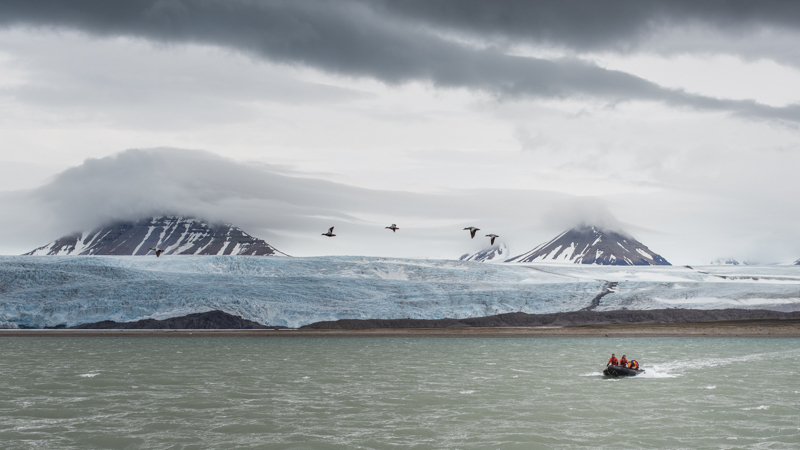 Shot in Billefjorden, Spitzberg, Svalbard. Hiking during a work week is like taking fresh air. I have the luxury to leave just next this UNESCO heritage site, in front of the lake. 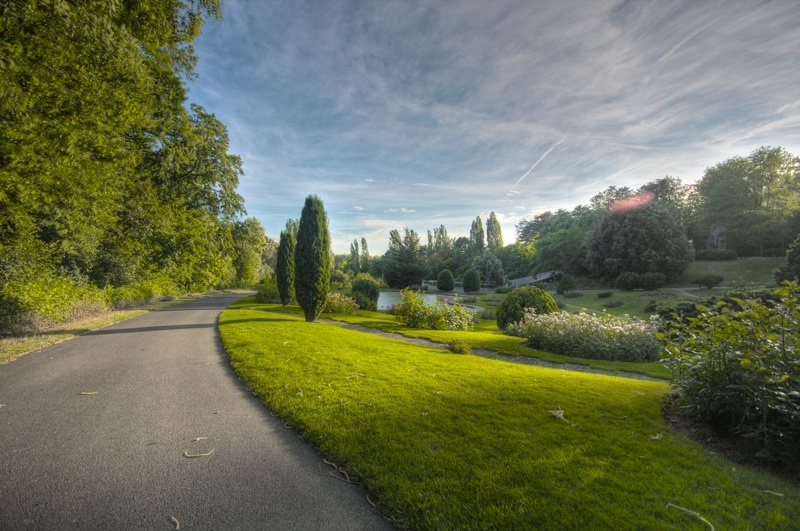 The photography can help you to get out and walk. 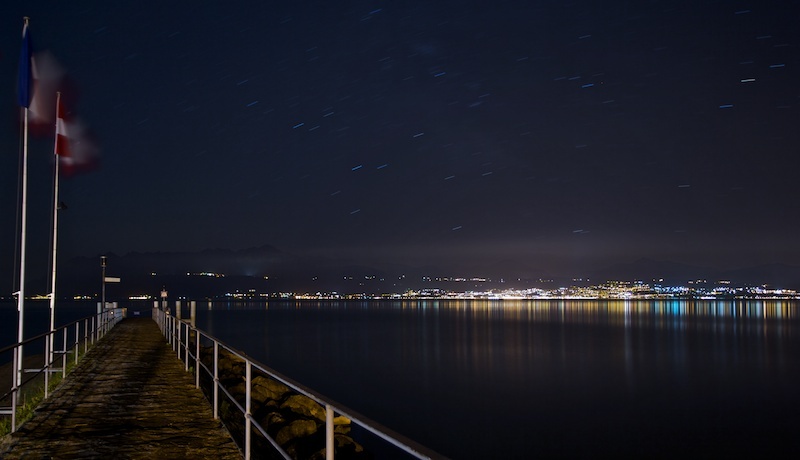 Shot in Lutry, Lavaux, Switzerland. Sometimes you want to make a picture you already see a thousand times. 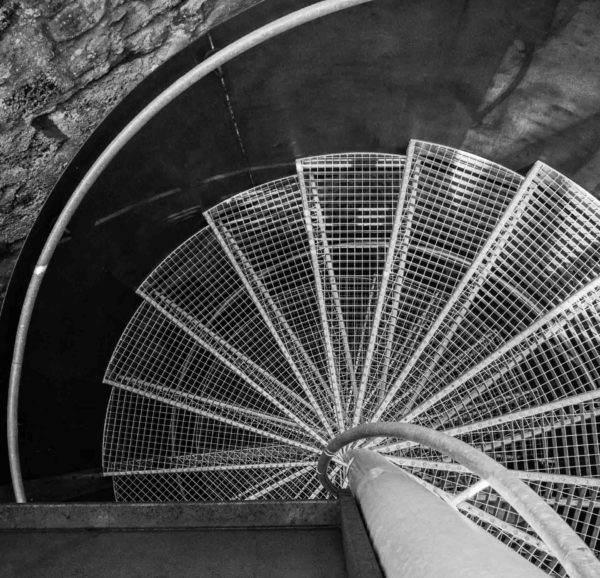 I want to make my own view of the spiral stairs. Done. Shot in a building in Neuchâtel, Switzerland. I hiked along the Casacade du Herisson in France, I could post a classic long exposure picture of a waterfall but it is the easy way. I decide to post an atmospheric shot of this unique forest. 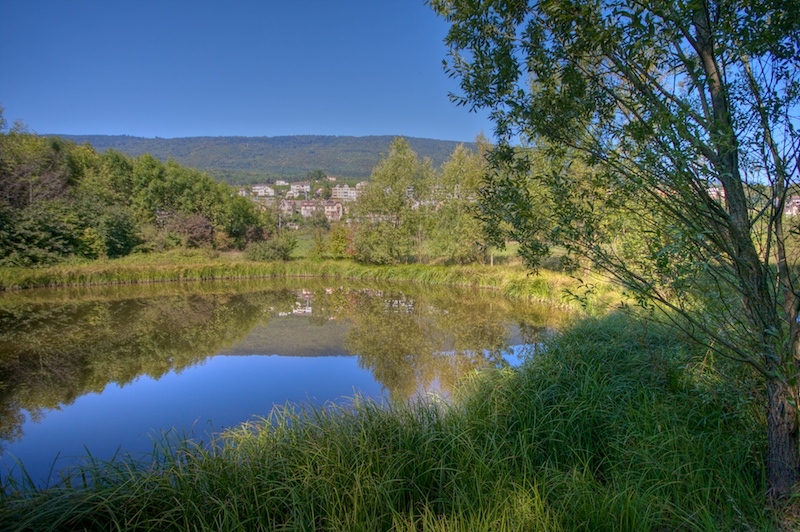 Shot in Ménétrux en Joux, Franche-Comté, France. New photo gears, new challenges. 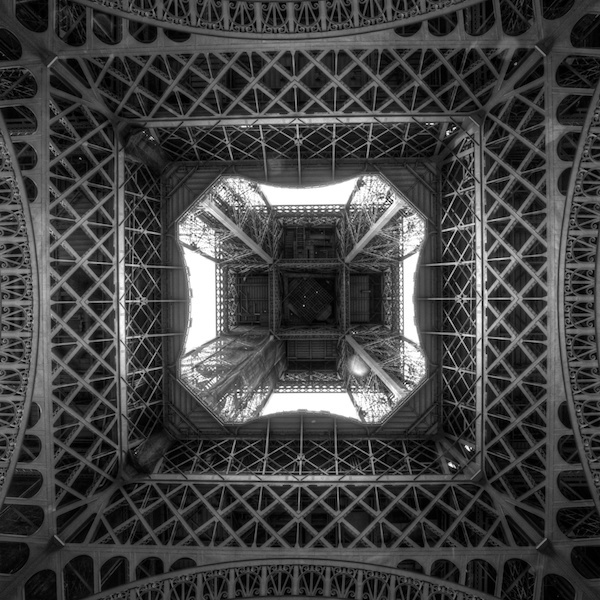 I tried an abstract picture based on the architecture of this famous monument and the rules of thirds. 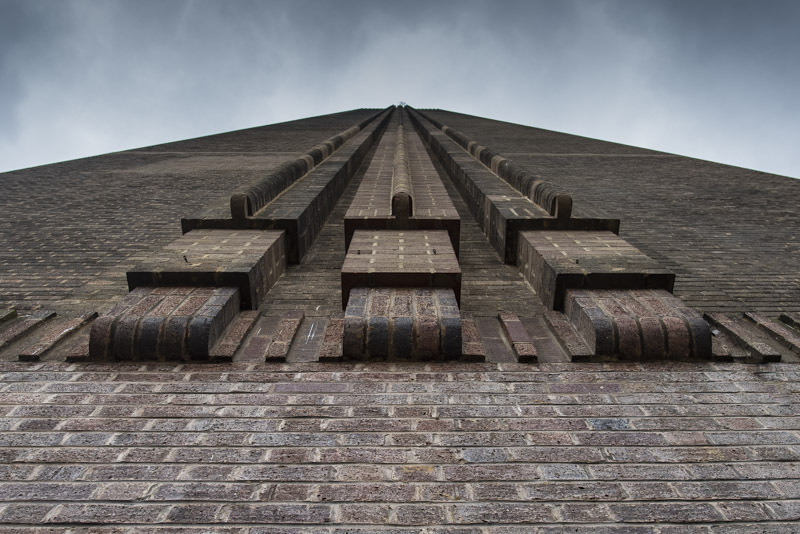 Shot at the Tate Modern, Bankside, London, United Kingdom. The wake up after New Year’s party is always though. This year, I was in the mountain, when I woke up I see the golden lights between the clouds. I put my trekking clothes on and went into the nature. Totally worth it. 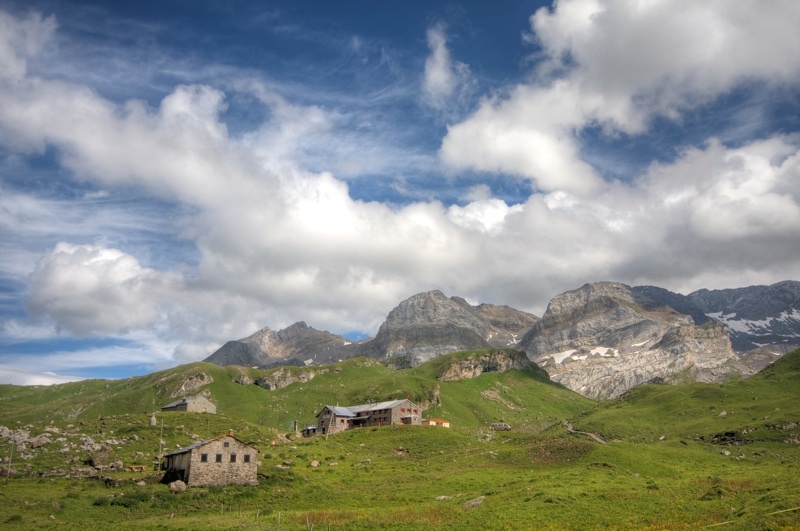 This mountain is called the Petit Clocher du Portalet (2823 m). 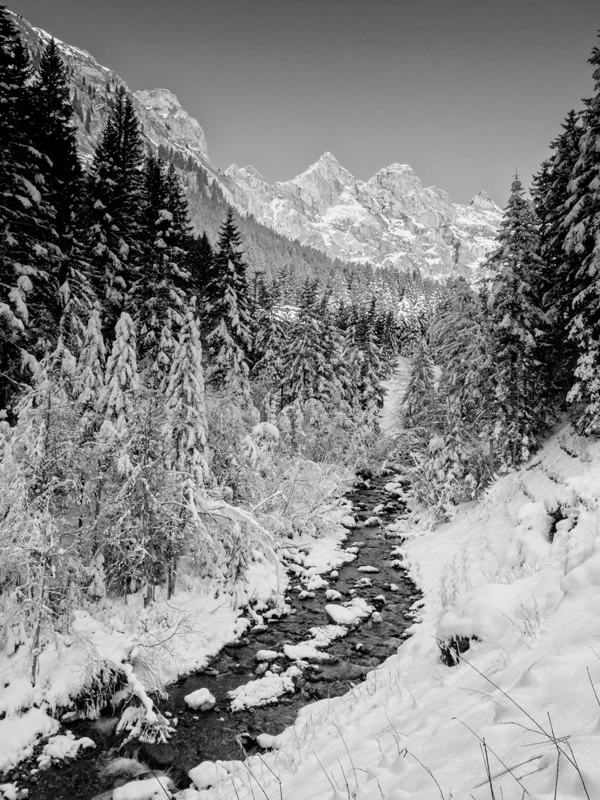 Shot in Praz-De-Fort, Valais, Switzerland. This year the winter is not coming. It’s a pity. So we spend some time hiking in the nature. Shot near La Dôle (1677 m), Vaud, Switzerland. 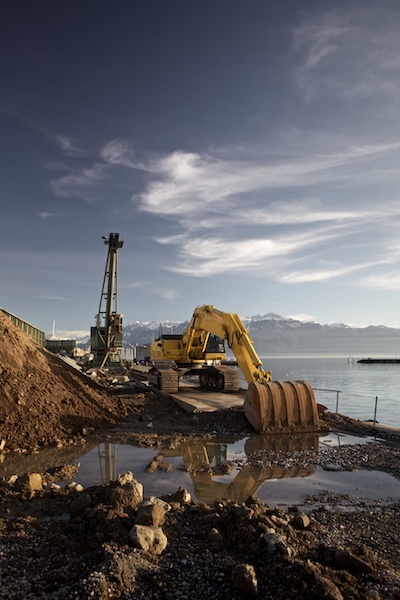 This is one of the biggest construction site of the century, the Nant-de-Drance project. 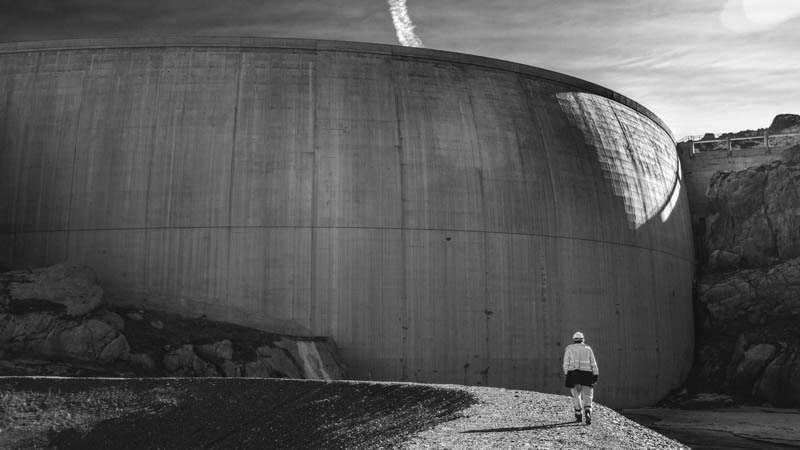 I had the opportunity to go inside the dam’s lake, which was empty during this work phase. Shot in Vieux-Emosson, Valais, Switzerland. Like a Hopper’s picture, this place at sunset inspired me. Once again the work of this great painter influenced me. 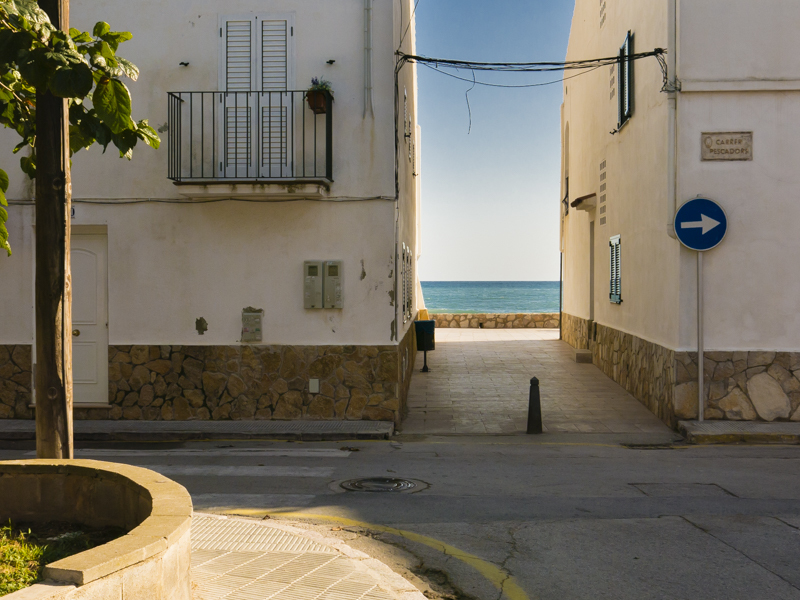 Shot in Torredembara, Spain. 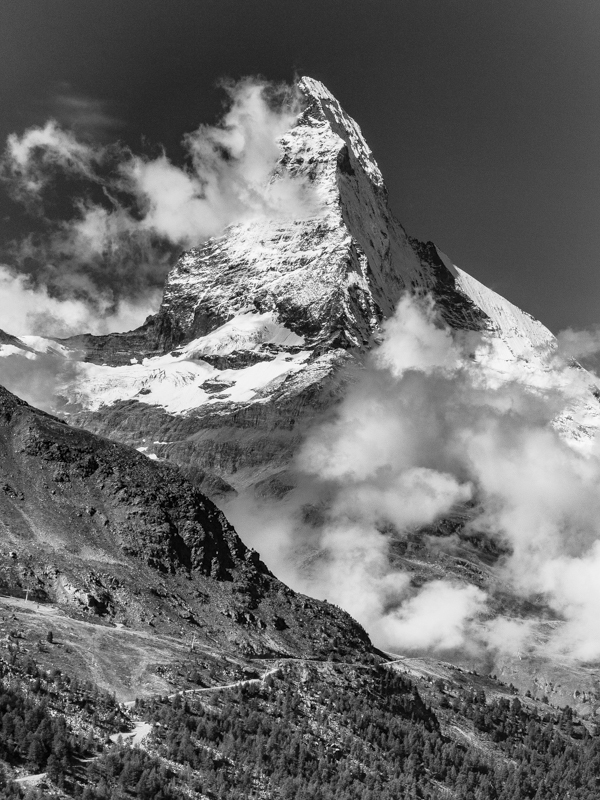 This mountain (Matterhorn, 4478 m) is a the subject for a lot of photographers. In this picture, I tried to give my own feeling of this tremendous place. Shot in the area of Sunnega (2228 m), above Zermatt, Valais, Switzerland. After 3h30 of hiking we reach the top of the Mount Baselgia (2682 m). 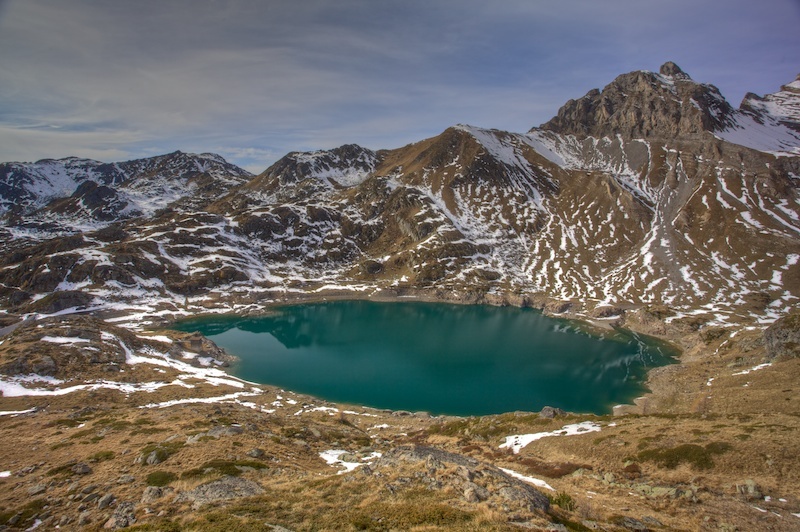 Just above the summit, we discovered this lakes, a gem hidden the Swiss National Park. Crystal clear water, wild cotton plants and quiet. 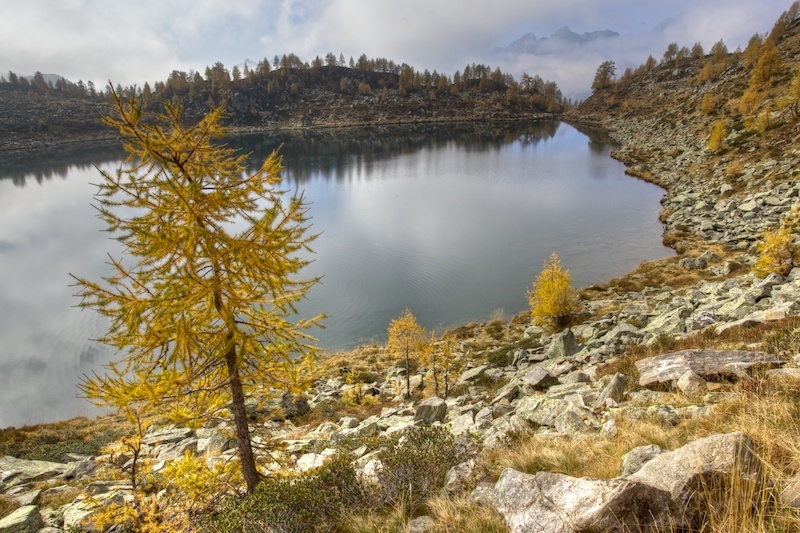 Shot in Macun Lakes, National Park, Grison, Switzerland. No hiking, no working, just eating and resting during one week. I had some great moments, like this trip at sunset in a old car. 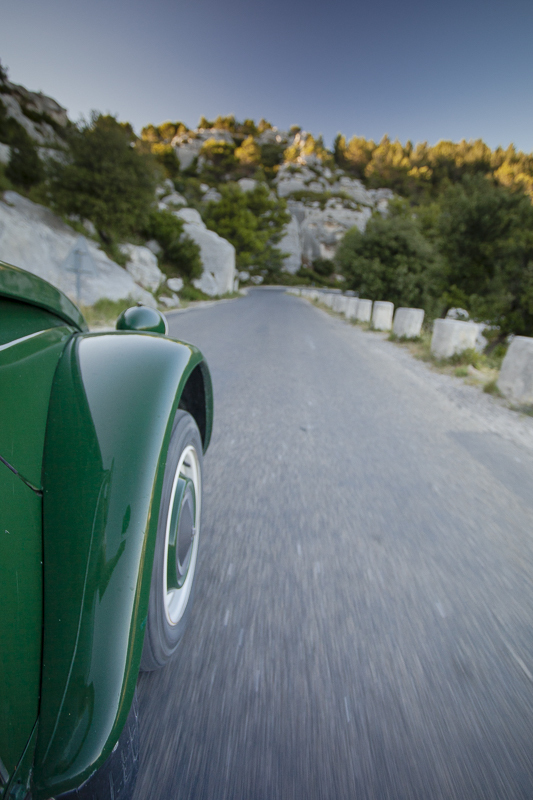 Shot on the road to Les Baux-De-Provence, France. Hiking in the country side is really a way of living. 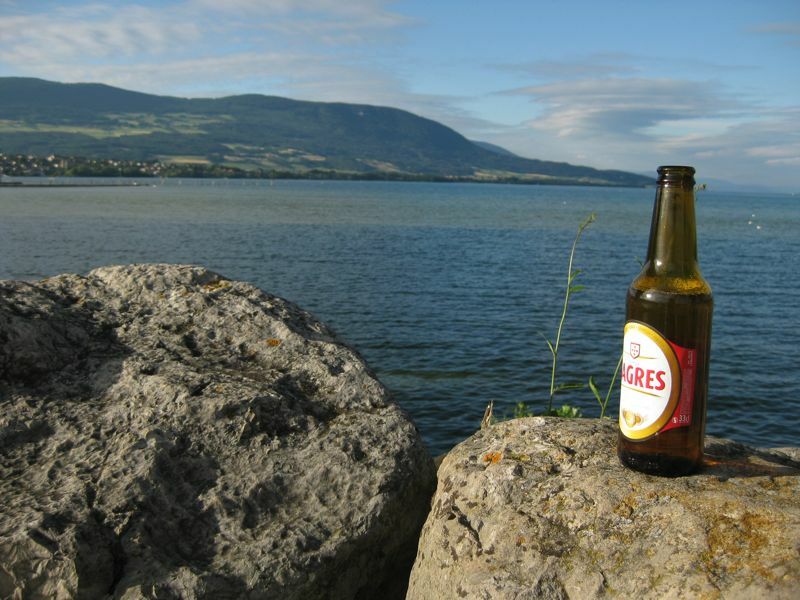 Meeting your friends, walking on the top of a mountain, enjoying the view and going back and having a few beers. Maybe that’s the real life ? Shot from the top of the Millets (1886m). 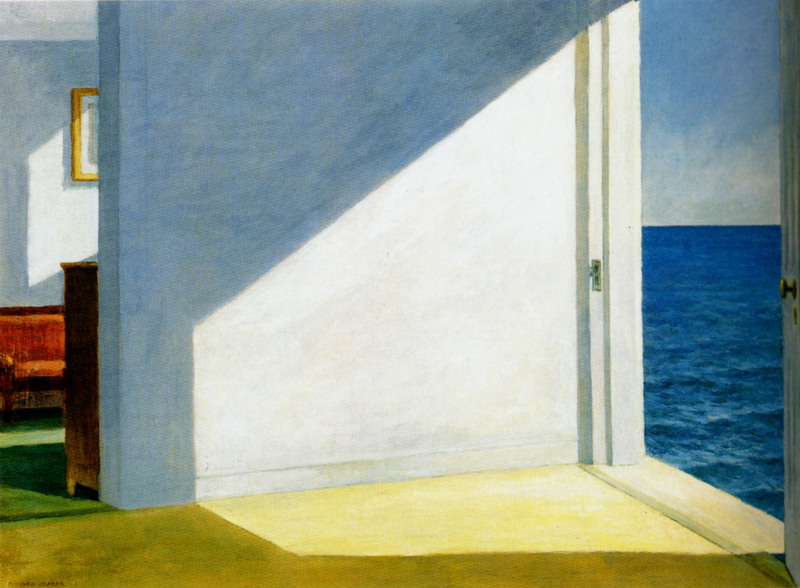 When I saw the sun going through a window I cannot stop thinking of Hopper’s work especially Rooms by the sea. During a hike, I find this abandoned place with this gorgeous light. 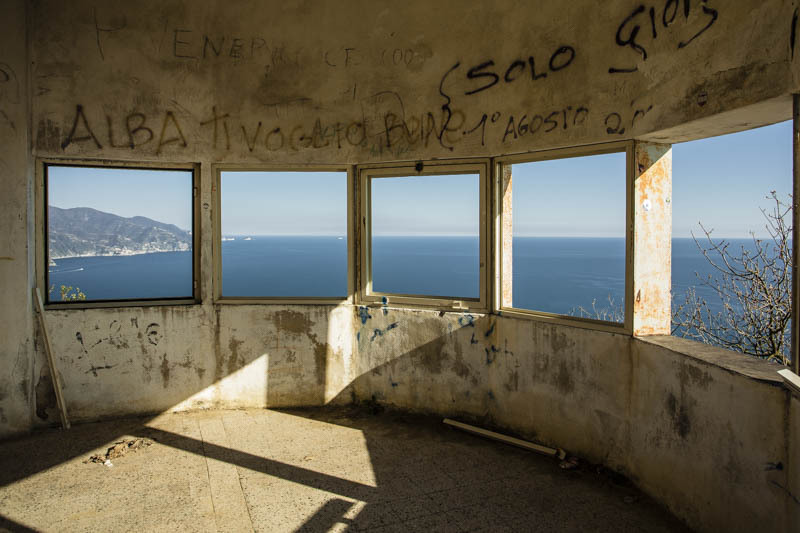 Shoot in Punta Mesco, Ligure, Italy. 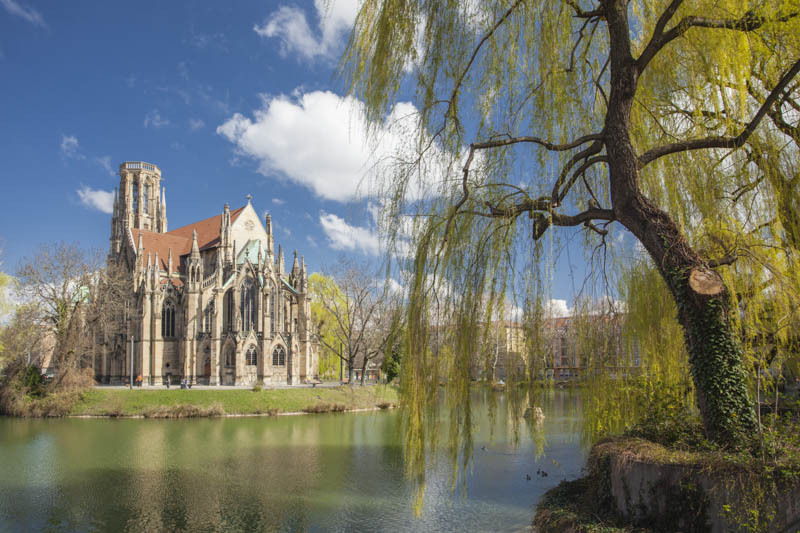 During a sunny Sunday morning, on our way to find the place to have brunch, we were seduced by this church in the middle of the city. Shot at the Feuerseeplatz, Stuttgart, Germany. Sometimes I give myself a break during the week. As soon I get out of the job, I take my car and I go straight to the mountains. After a one hour of backcountry skiing and this kind of view your sleep is better. Shot last week, from the top of the Folly (1730m). 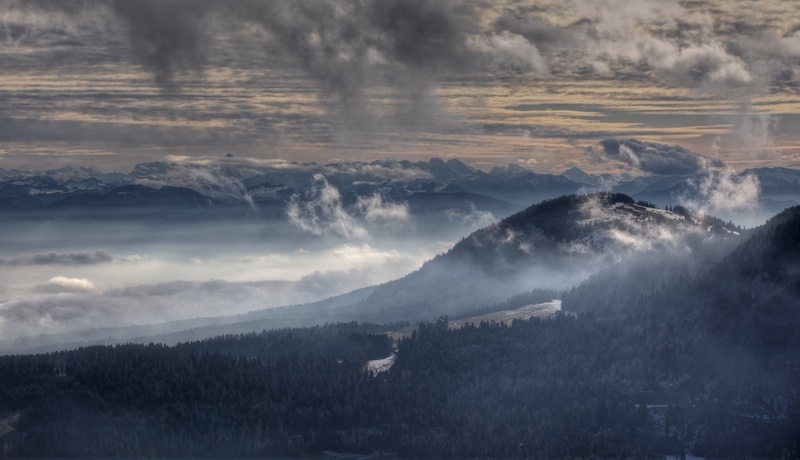 In a cold Sunday morning, I catch this unique landscape during a ski hike in the Jura area. 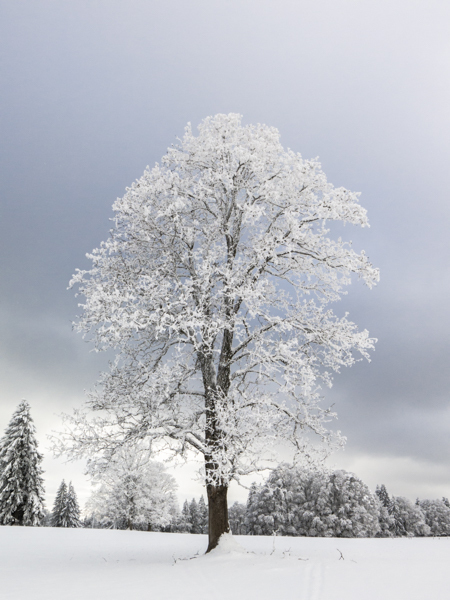 During the night, all the tree became frozen. Shot in Prés-d’Orvin, Berne, Switzerland. Over 20 centimeter of snow had fallen this night, we had to plan carefully our itinerary. We choose the safe way and we followed a snowy road just below the Petit Clocher du Portalet (2823 m). Shot in Praz-De-Fort, Valais, Switzerland. 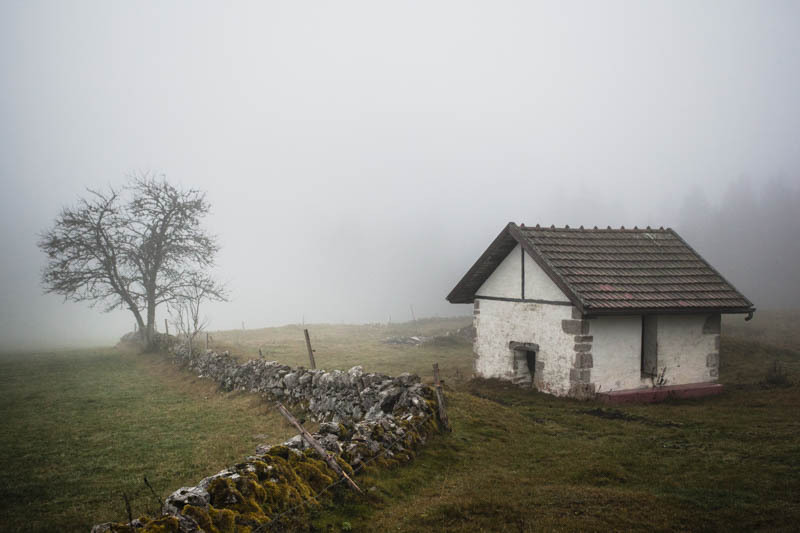 In the mist of the Jura, this abandoned house give a dramatic atmosphere on this foggy day. Shot in Les Bayards near La Brévine, Switzerland. 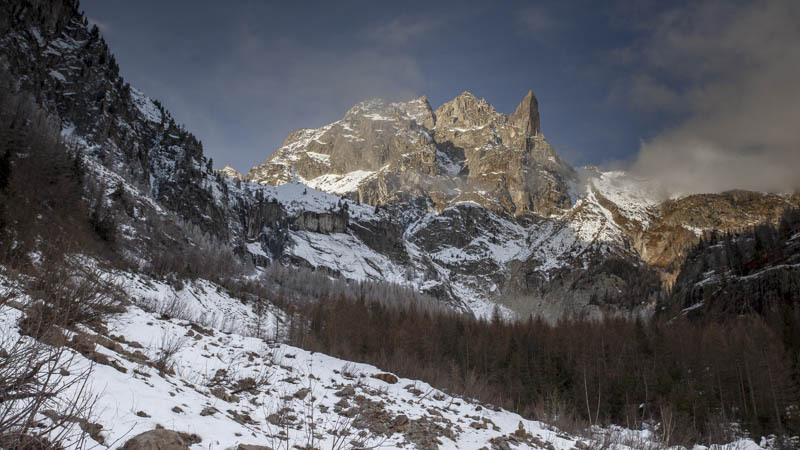 On the right side of the picture is the south face of the Haute-Cime (3257m), part of the Dents-Du-Midi. This picture was shoot on the morning before the 4 hours trek to climb this peak. Shoot from the Col de Salanfe, Valais, Switzerland. There are places on this planet that I want to see once in my life. This beach was on the list. After a few hours of hiking we discovered this place that you can reach only by foot. It is very well-preserved and you can cross the path of others hikers who camps in this area. 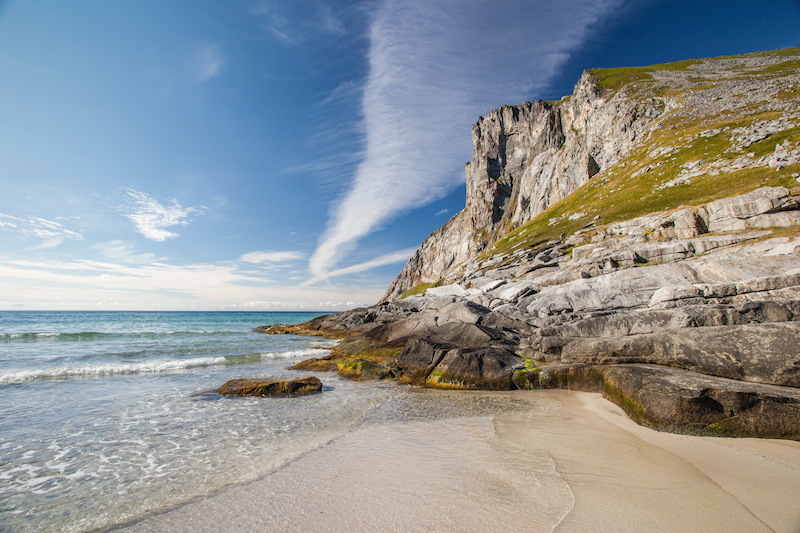 Shot in Kvalvika beach, Lofoten, Norway. A place where political people take decisions. It’s the heart of our political system. A very strict and symmetric picture, like the subject. The Swiss Parliament building. Shot in Bern, Switzerland. Sunrise at 6 A.M, the atmosphere was special. A cold morning after a short night of sleep. 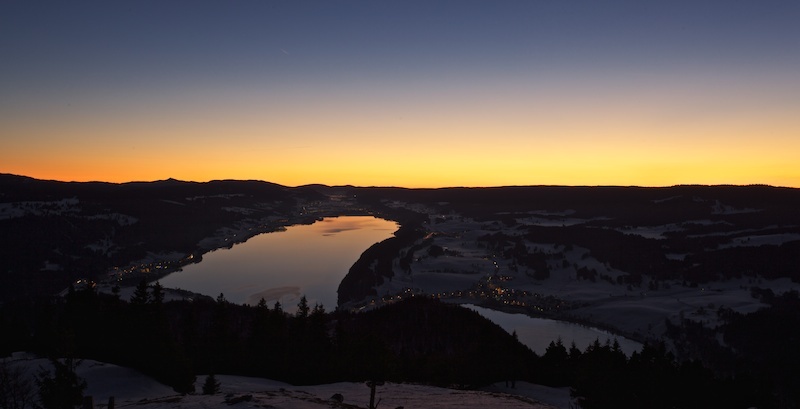 I was above three lakes, lake of Joux, Léman and Neuchâtel to see the first lights of the morning. A great experience that I like to share here. Shot from the top of Mont-Tendre (1679 m). Two years after my first experience (see Racing with the Sun) at the “Patrouille des Glaciers“, I went to see the race again. Leaving Lausanne during the night, I went to Arolla them Verbier. A white night to follow the race. Great times. This time the race was not stopped and I could shoot the climbing of the top of the Col de Riedmatten (2919 m) with a long exposure setting. I prefer to spend my time in beautiful landscapes instead of a cave. During my work, I have to spend one day in a tunnel. I took the opportunity to bring my gears with me and try to shoot something. Hopefully, there was this train bringing some lights into the darkness. 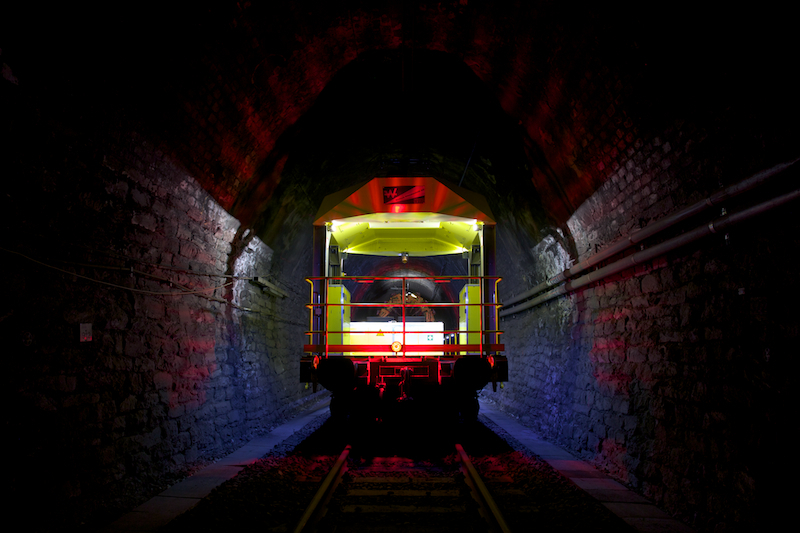 Shoot in tunnel of Simplon, Valais, Switzerland. Starting from Lourtier we decided to climb up the Mont Rogneux (3084 m). On the way up we stopped at the Brunet Hut, to have a look of the surrounding mountains especially the Becca de Sery (2863 m), the sun was low so we have this wonderful shadows. 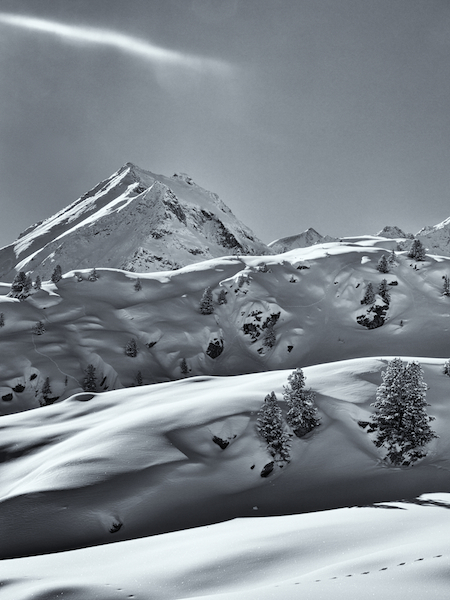 Shot above Lourtier, in Val de Bagnes, Switzerland. 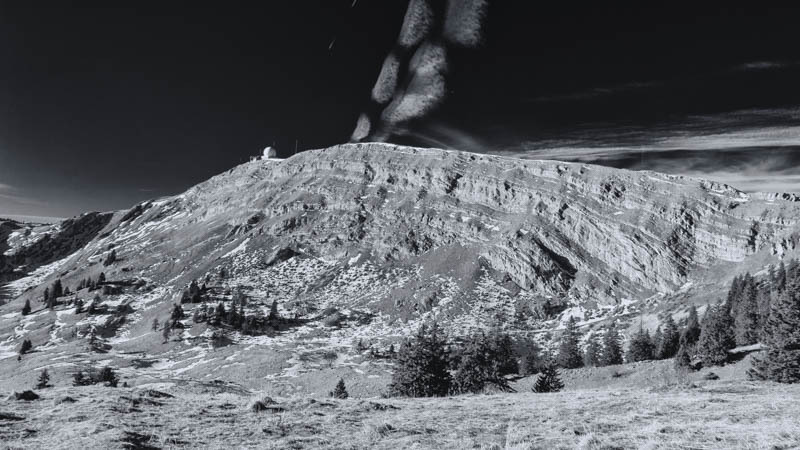 This a view of the Miroir d’Argentine (2422 m). I’m always happy to see it, I climbed his Northwest face this summer, no need to say that I’m very proud. 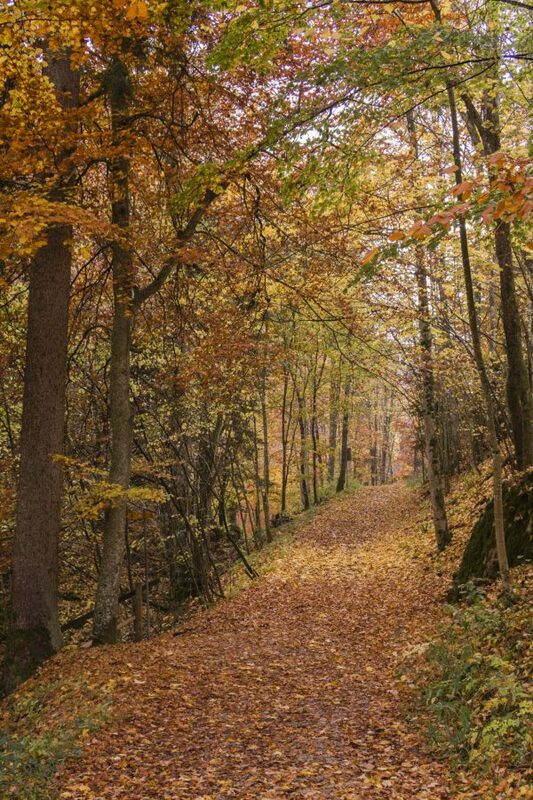 It also a nice place to walk in the nature and you can get around it in a one day hike. I came back here this morning in backcountry ski and have a powder snow experience in this beautiful landscape. 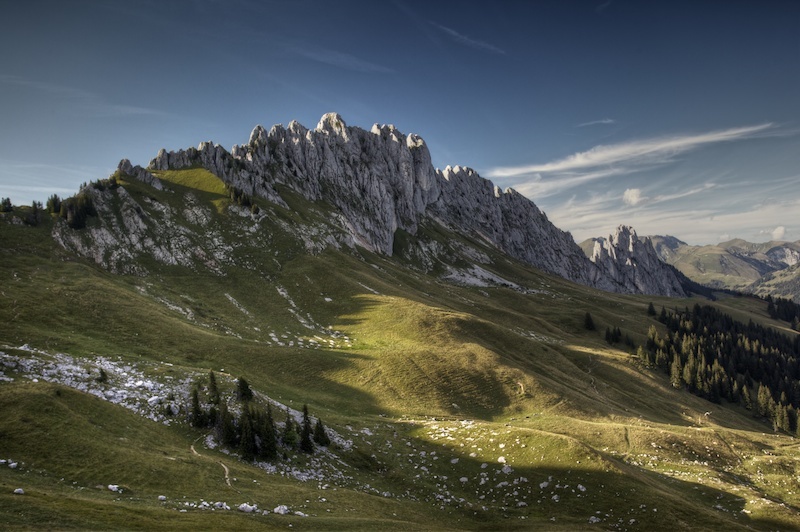 Shot in Solalex, above Villars, Switzerland. 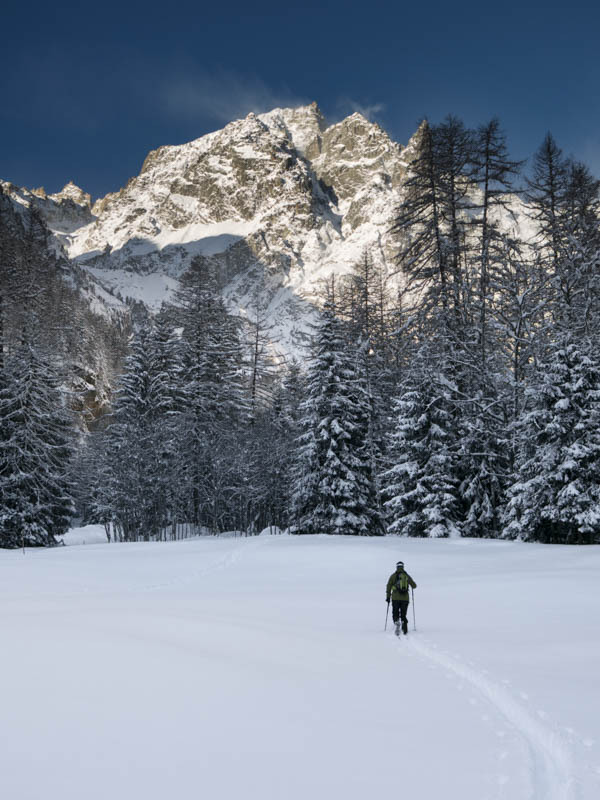 Beginning of the winter season, the first backcountry skiing expedition. The weather is not so snowy and cold here, but we have some wonderful landscapes. 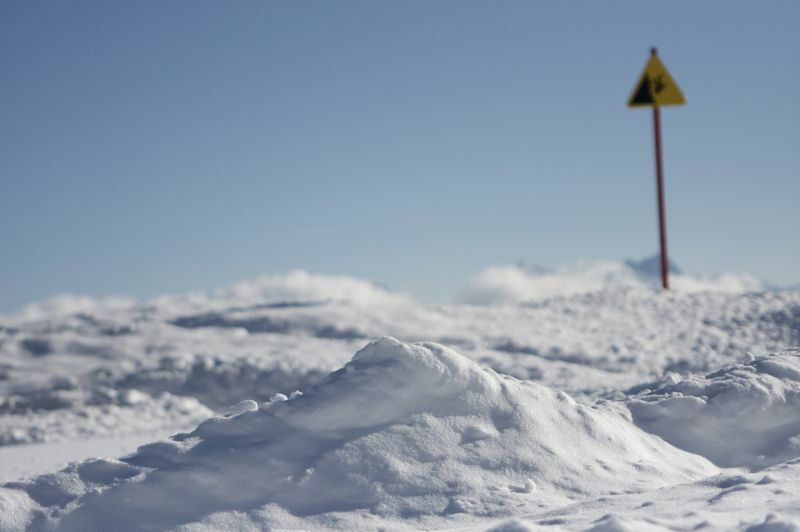 We expect more snow to come and we are really looking for it ! Shot near Solalex, above Gryon, Switzerland. I spent a few days during my work near the trains, safety is the golden rules so you need to look carefully this kind of sign. It is like a traffic light for the train. Shot in Preverenges near Lausanne, Switzerland. We start our hike from l’Erié and we climb to the summit of the Grand Chavalard (2899 m). 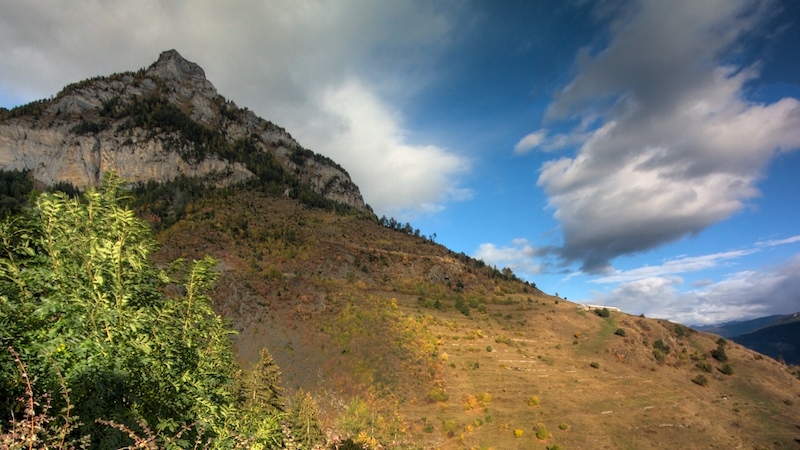 We met some alpine Ibex and this view on the valley of Rhone. Shot above Fully, Valais, Switzerland. Sometimes you have a strange feeling when you visit a place. You feel that the place is unique and you want to share it with your friends and relatives. It’s not only this picture that I want to share, I would like to share the entire place. So, If you have a week or two days to spend somewhere, go into this place, hike around, I’m sure you’ll love it and please get back to me to say how much you liked it. 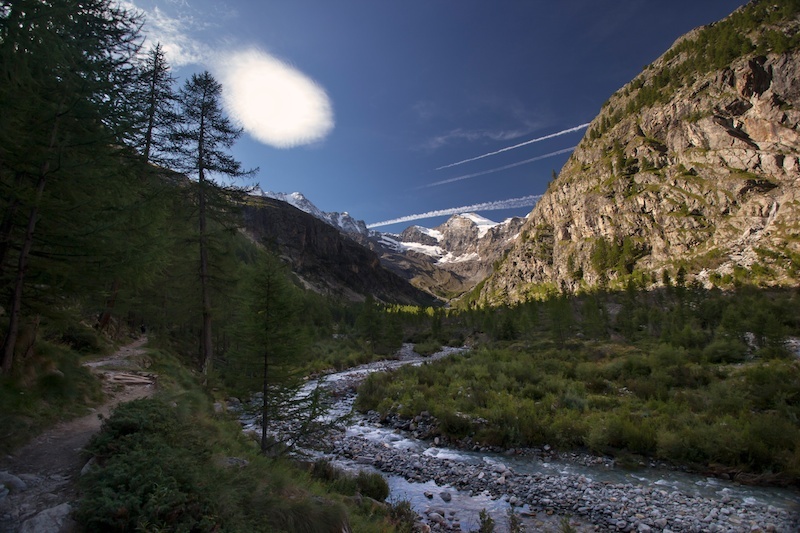 Shot in Gran Paradiso National Park, near Aosta, Italy. No underground television network here. 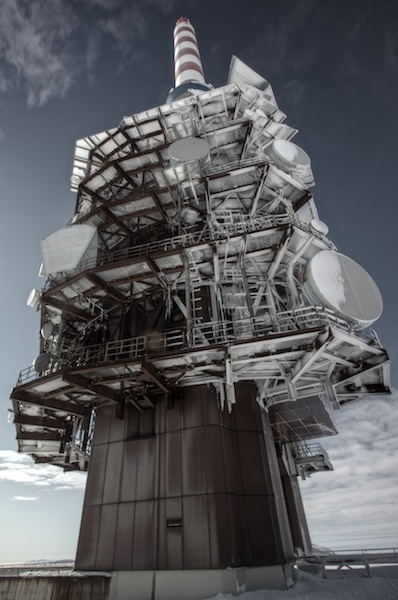 The broadcast is made over the air, that is explain all this antennas. The panorama from the top of the roof in this city is out of the time. 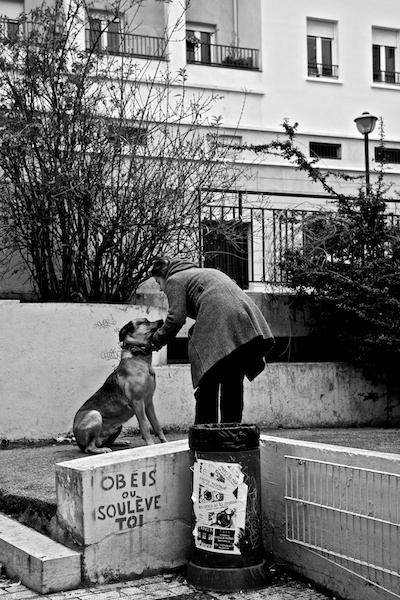 Shot in Todescio neighbourhood, Sevilla, Spain. We went on the top of one my favorite spot to have a outdoor dinner. During the meal the rain began. When we turned back we saw this rain clouds coming directly on us. We decided to climb down the mountain and going back home. It was a thrilling Tuesday evening. 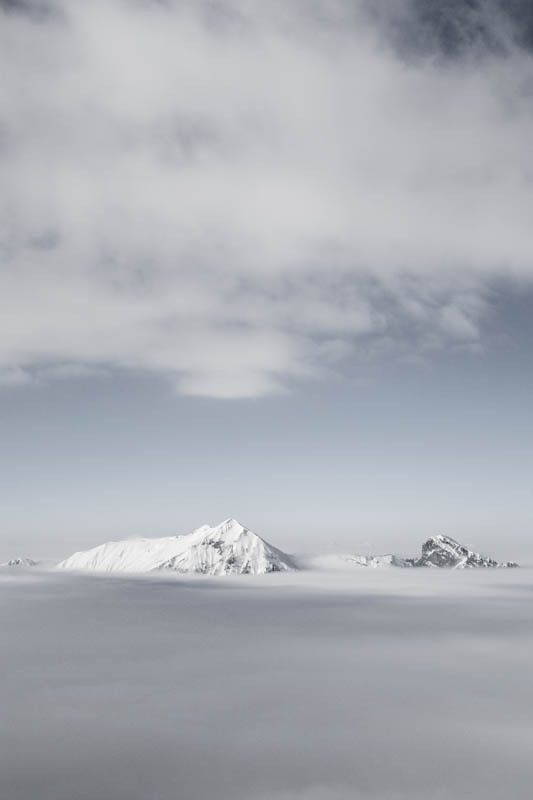 Shot from the top of the Dent de Jaman (1875 m), Switzerland. 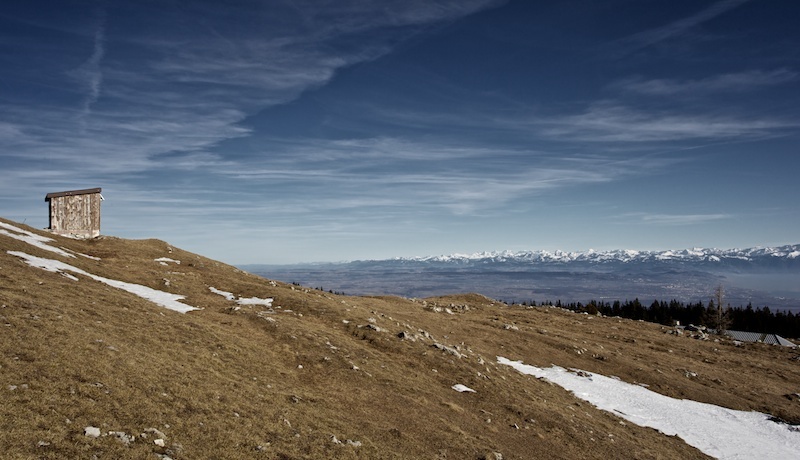 During a sunny walk on the Jura ridgeway, we cross so many landscapes. I stopped here and I tried to compose with the sky, the clouds, the forest and the herbs to create a natural mosaic. 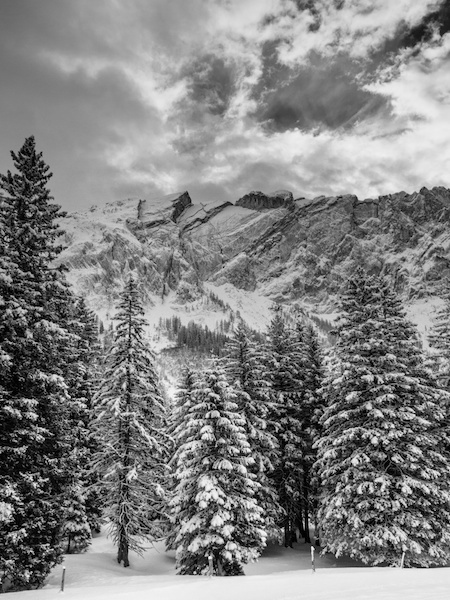 I used the work of the master Ansel Adams as a source of inspiration. Shoot between Staffelegg and Hauenstein, Switzerland. The summer is coming slowly in my country. The colza fields add a touch of yellow to the landscape. Shot in Penthalaz, Switzerland. A subway path with a “out of the time” ceiling. I tried to catch this unique urban atmosphere in the middle of München, Germany. 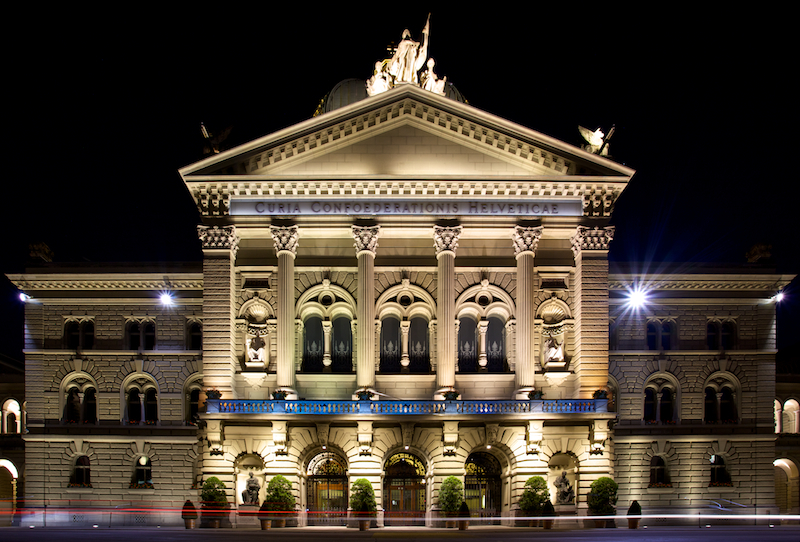 This building is the administration center of the city of Lausanne. 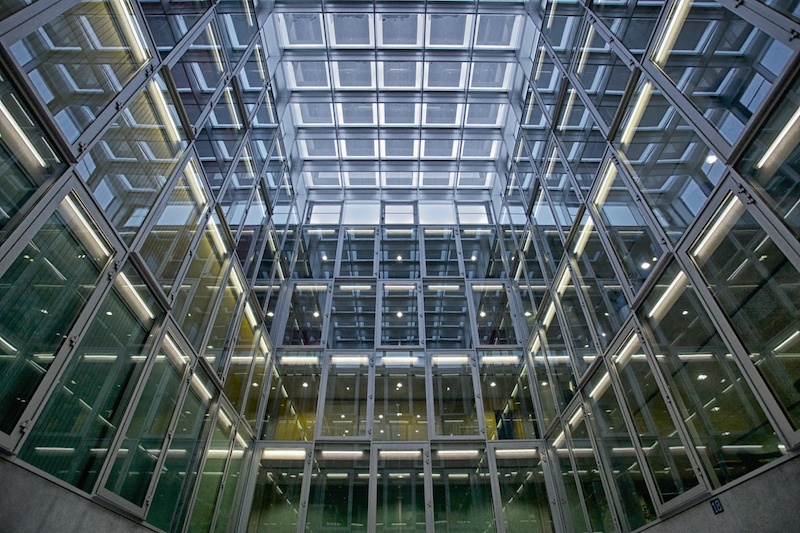 The mix of metal and glass with sharp angles give the building a unique look. Shot in Flon, Lausanne, Switzerland. Cold day of winter, everything is grey outside. Suddenly, something you see every morning appears new to your eyes. 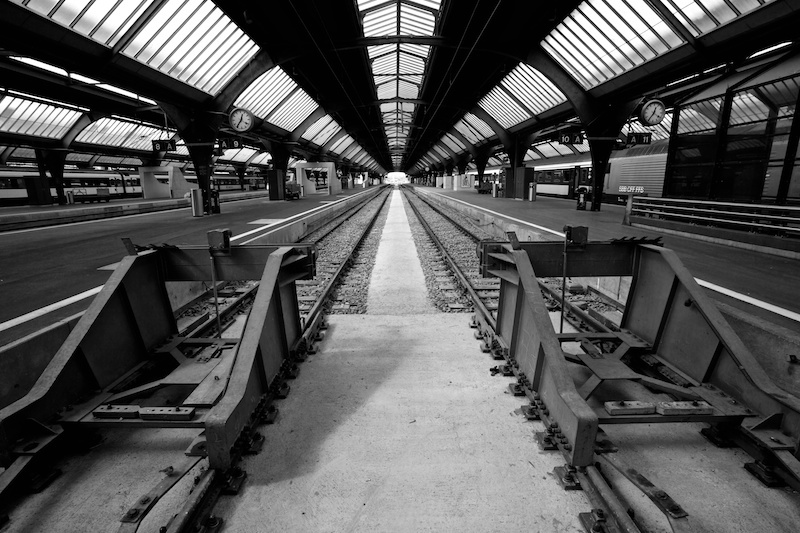 Shoot in the Prilly-Malley railroad station, in Lausanne Switzerland. My city, Lausanne after a snowy night. It was one of this cold day of winter, when the sun is low and the bright light beautify everything. Shot from the Montriond Hill, in Lausanne, Switzerland. 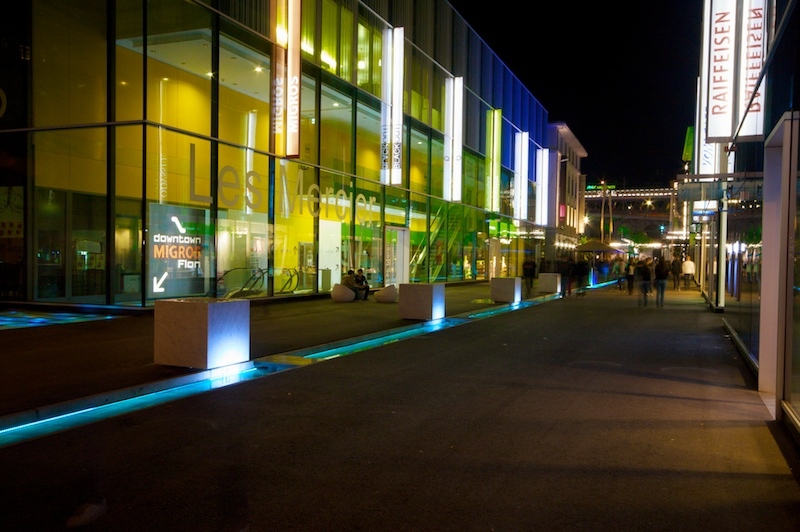 During the end of this year, the city of Lausanne set up a light festival. 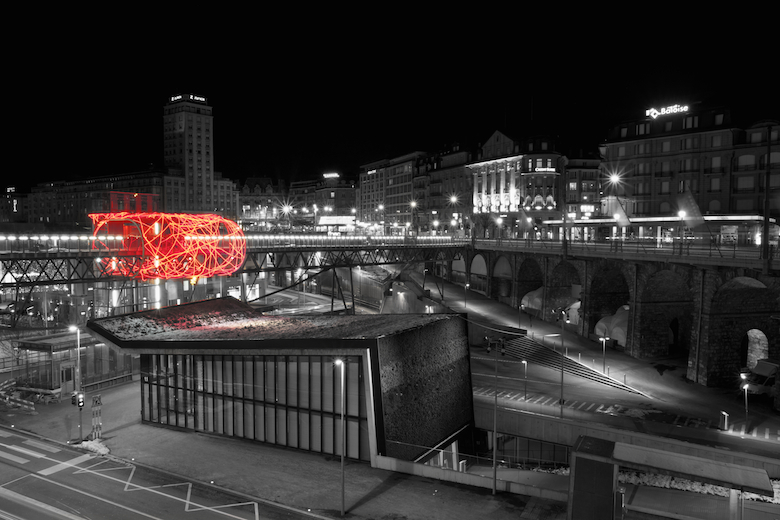 This piece of art is called “Flux Cocoon”, it is based on LED wrapped around the Grand Pont. 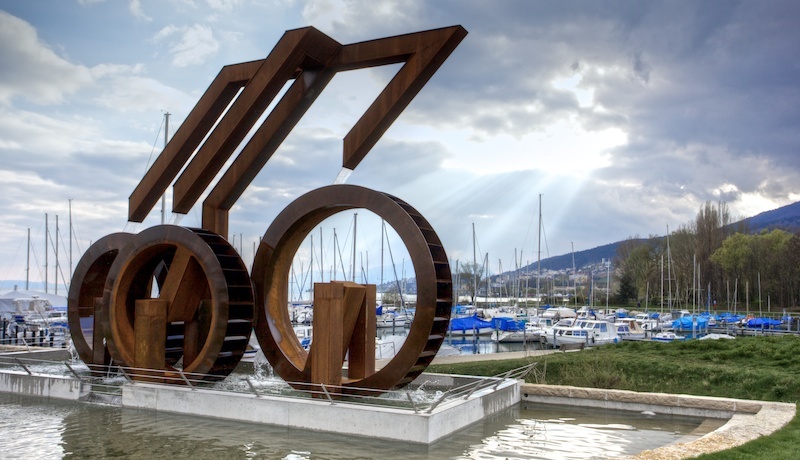 Around the city you can enjoy ten installations and discover the city with another point of view. Shot in Place de l’Europe, Lausanne, Switzerland. Another shot from the Lavaux, a few weeks later (see my previous post). This time, winter is coming. I tried to catch the unique atmosphere of this breathtaking place under the snow. It was a cold afternoon of december when the light went down very early in the day. Shot from the Route de la Corniche, near Epesses Switzerland. 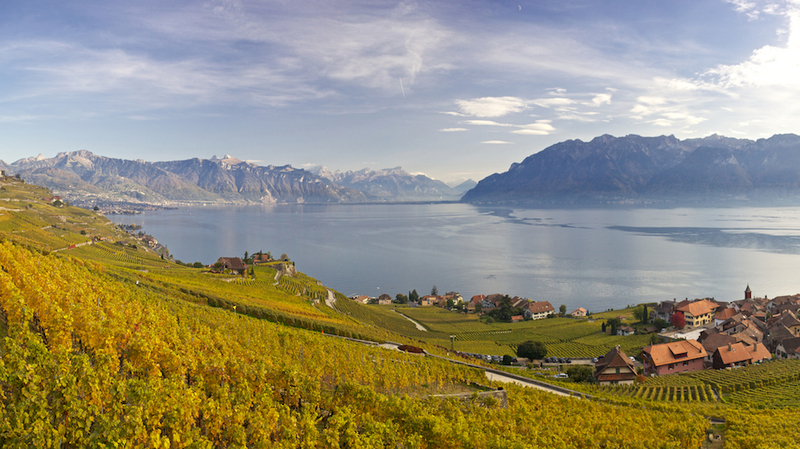 During a perfect day of autumn, I went with a couple of friends in the Lavaux region. This area is part of the UNESCO world Heritage Sites since July 2007. You can cross the vineyards and enjoying the view on the Alps. On the left of the picture you can see, the Dent of Jaman (1875 m) , Tours d’Aï (2331 m) and the entry of the valley of Rhone. Shot from Chexbres, Switzerland. 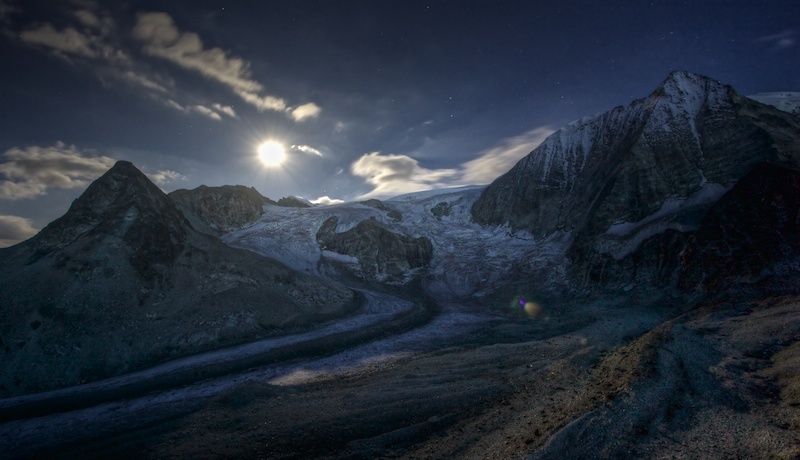 The Aletsch Glacier, is the biggest glacier in the Alps. 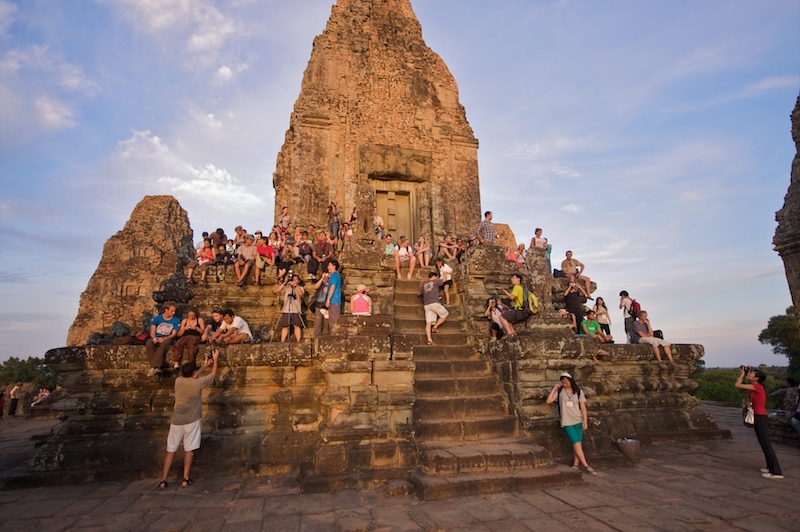 It was declared a UNESCO World Heritage since 2001. There is an easy walk that you can do along this beautiful place, it is well named “The Glacier trail“. I made it with a friend of mine who have never seen any glacier before, she was so amazed at the end ! Shot from Bettmerhorn, Switzerland. The Vatnajökull is a glacier. It’s one of the largest in area in Europe. It’s located in Skatafell National Park in Iceland. After a hiking trip with my friend we sat and had a meal with this breathtaking view. 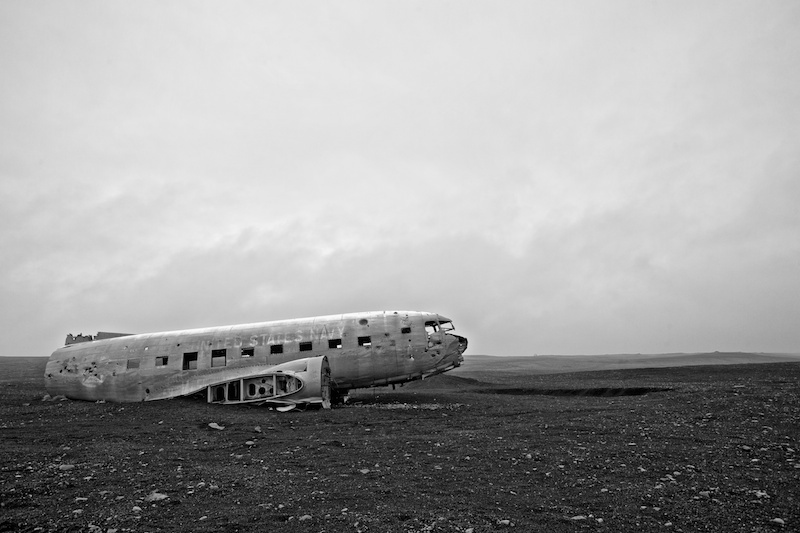 On the 24th November 1973, a DC-3 of the United States Navy ran out of fuel and crash-landed. There were no fatalities. After a few researches on the net and with the use of a GPS device my friend and I located this plane wreck. A great adventure. Shoot on Sólheimasandur beach (N63 27.547 W19 21.891), South Iceland. I organise an expedition to climb my first 4k (4000), we choose the Wiessmies (4017 m) above Saas-Grund, Switzerland. Five of my friends and I woke up at 4 o’clock in the morning to reach the top. The target was to be back to the hut before 12 o’clock. It was a huge success and everybody were proud of their efforts and glad at the end. 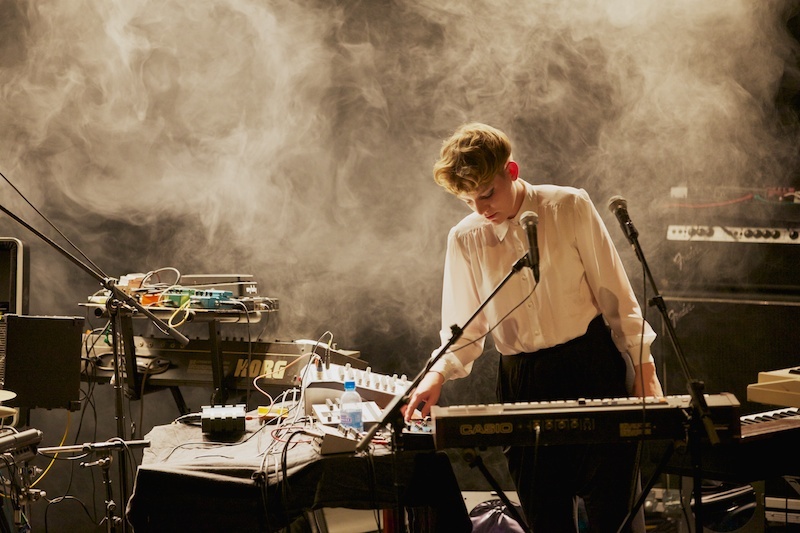 I spend some of my free time for an association for the promotion of the alternative music scene in Lausanne. I shoot pictures, they give me beers and free entry. Not a bad deal. Last week, I had the opportunity to shoot the concert of Verveine. Shot in the club “Le Romandie“, Lausanne, Switzerland. Another experiment in long exposure night shot with a friend of mine. Unfortunately it was not a starry night. 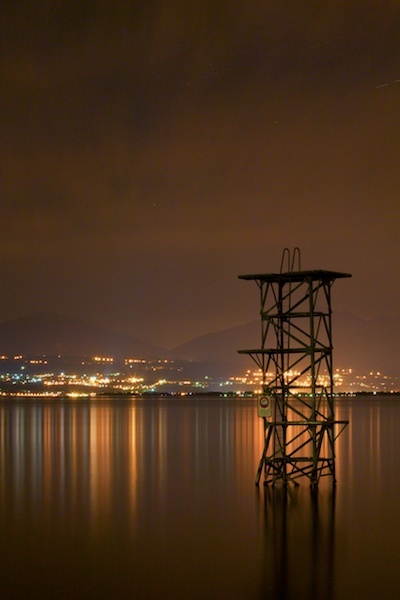 Nevertheless, this standing structure in the border of the lake catch our attention. Shot in the Parc du Sélaz, St-Prex, Switzerland. 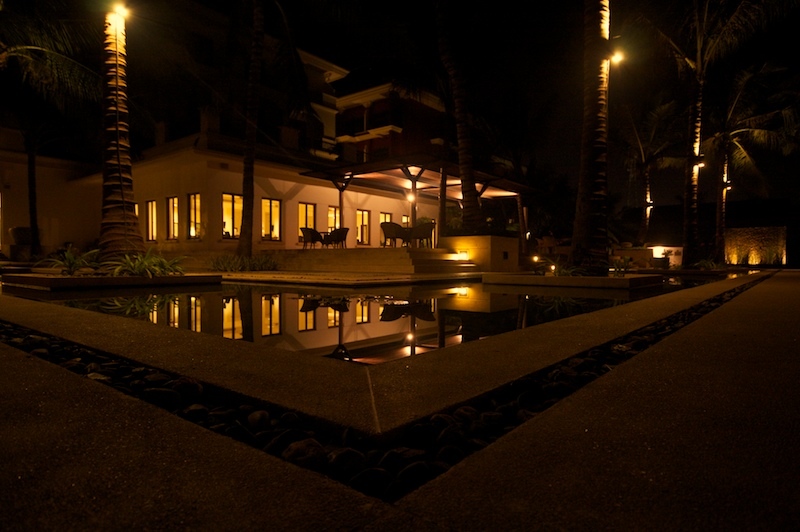 There is always a special atmosphere during the night. After a few beers, a friend of mine and I went this saturday night in St-Sulpice, Vaud, Switzerland. We try to catch this unique ambiance. Comparing to my last picture, it was more difficult to catch the stars, to much light from the other side of lake. It was a good experience anyway. Last saturday, my father and I woke at 2 in the morning in Arolla to climb up the Col de Riedmatten (2919 m) in Valais, Switzerland. My goal was to capture this unique atmosphere. 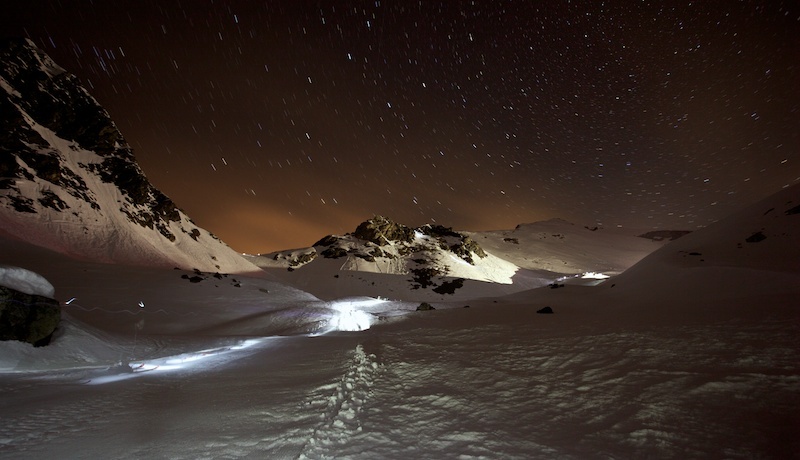 The “Patrouille des Glaciers“, a famous race across the Alps toke place during this night. 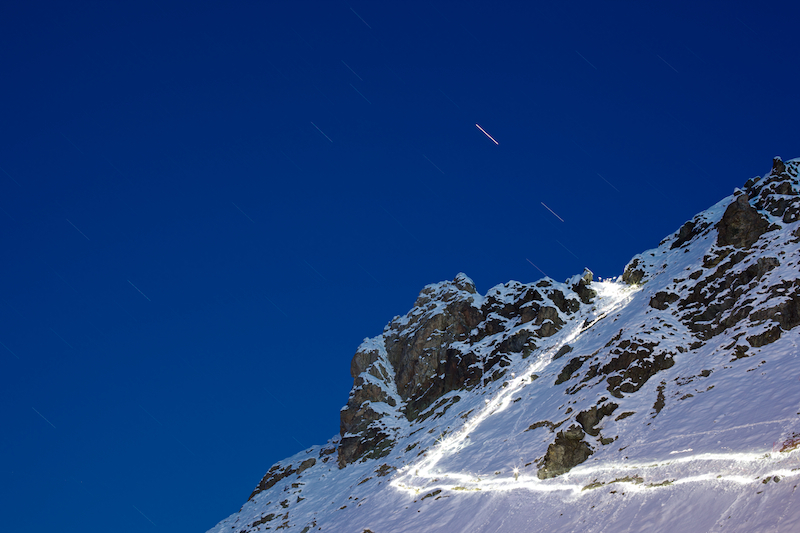 The light path is made by the head lamps of the racers. 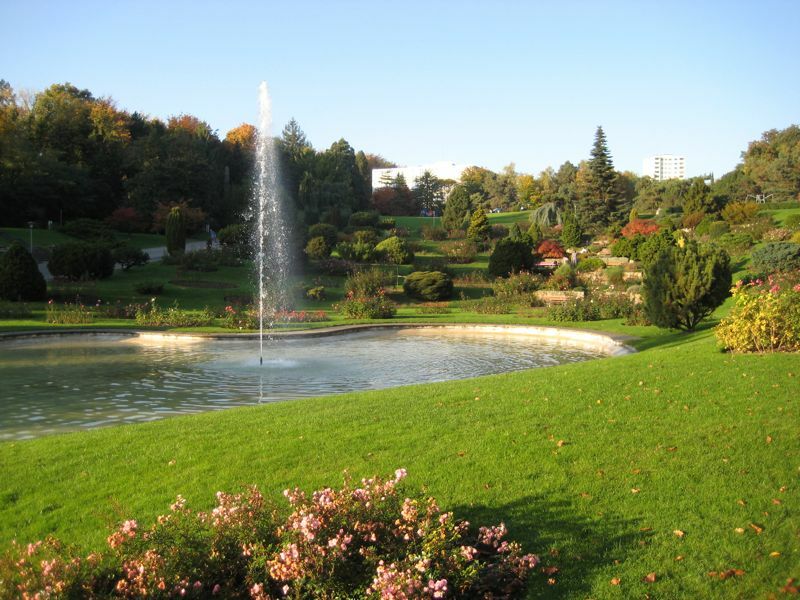 This an fountain in my home town, Saint-Blaise, Neuchâtel, Switzerland. 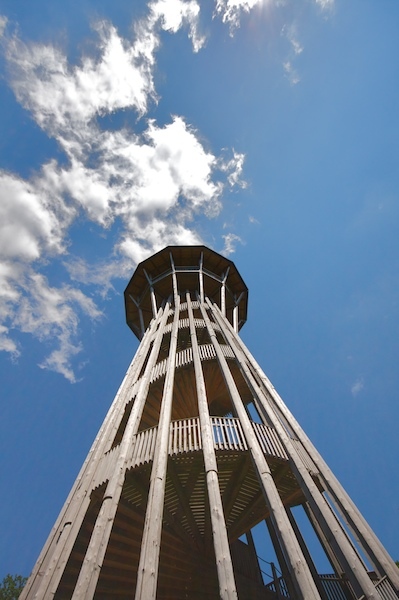 It is design by a famous Swiss architect Mario Botta. It was built for the 1000 th anniversary of the town. Almost abstract image taken on the Perito Moreno in Patagonia, Argentina. 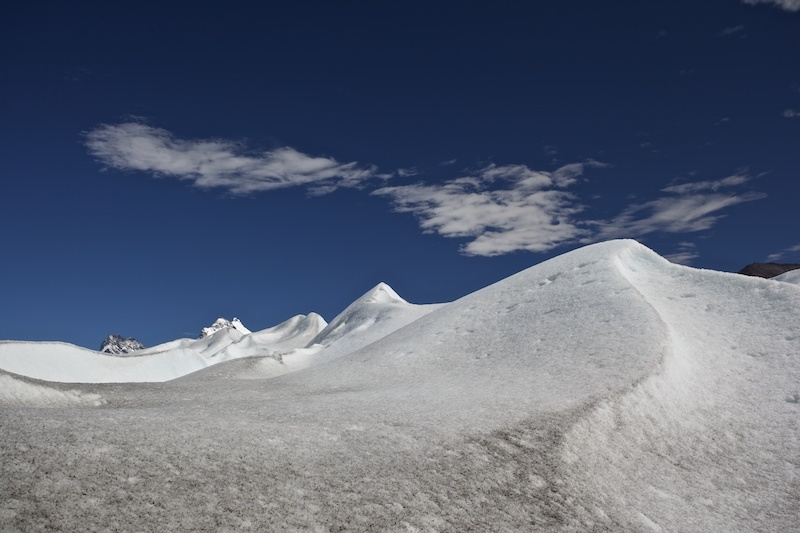 The idea is to express the simple beauty of this huge glacier during a blue sky day. This is the first picture of a serie about my last trip in Patagonia. In the background you can see the Cerro Torre (3128 m). 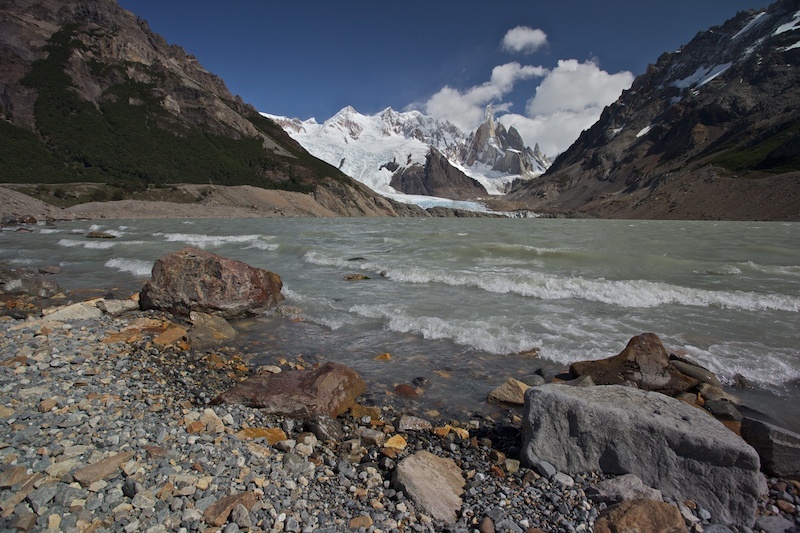 This picture was shooted at Laguna Torres, Parque Nacional Los Glaciares, Argentina. 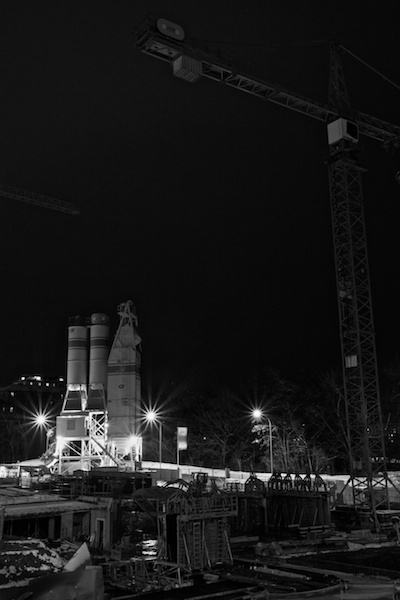 This picture is my tribute to the work of Hilla and Bernd Becher. Shot during a cold (-3 °C !) 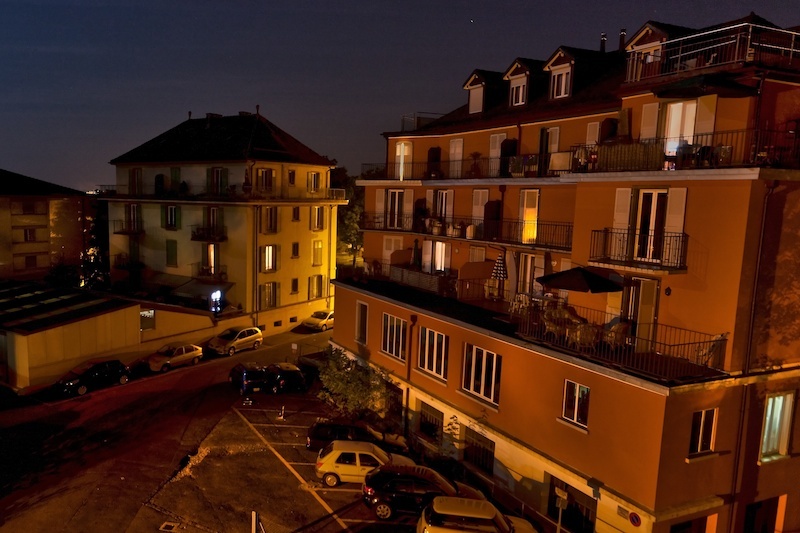 night in Lausanne, Switzerland. After a ski hiking trip started from Nods, my sister and I reached the top of Chasseral (1607 m), Neuchâtel, Switzerland. This antenna transmit the television and radio broadcast for this area. Same place than the previous post, but at night, I definitely like this place. We climbed up the mountain at the end of day to enjoy a cold sunset and share bottle of white wine. Shot from the top of Dent de Vaulion (1482m), Vaud, Switzerland. 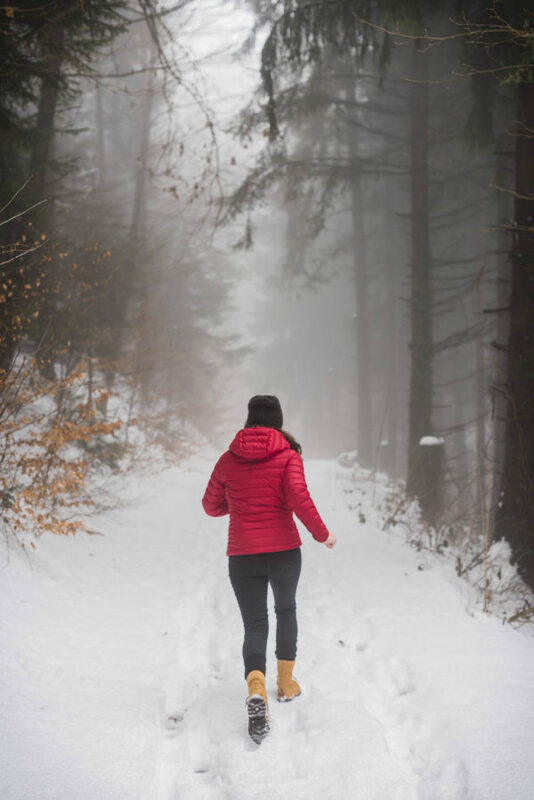 It was a cold and grey day, we walked across the forest, not enough snow for ski hiking, we reached the top, opened a bottle of wine and waited a moment. The clouds went away and we enjoyed the view. Shot from the top of Dent de Vaulion (1482 m), Vaud, Switzerland. Starting from L’Erie then the Col de Fenestral (2453. m), we reached the Lac Supérieur de Fully. Shot above Fully, Valais, Switzerland. After a few hours of walk across a beautiful forest in the south of Switzerland, we reached this lake. We had the chance to see a blue sky behind the clouds. 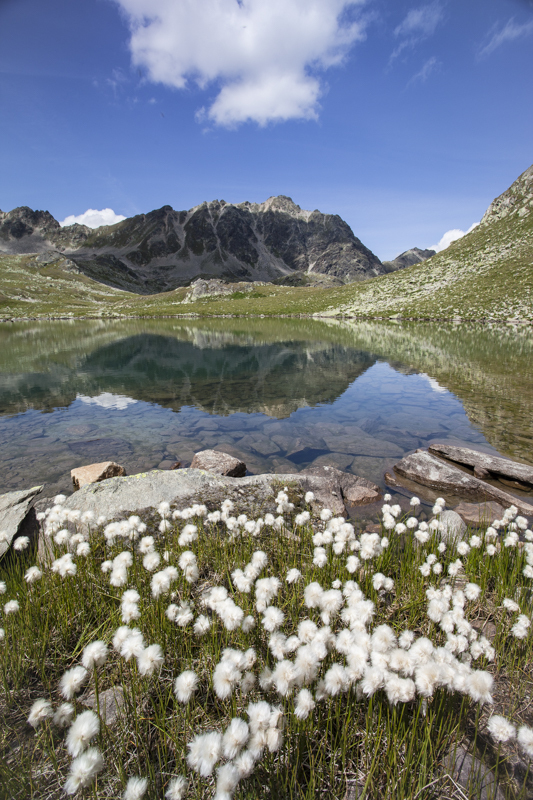 Shot at Lago di Mognola (2003 m), Ticino, Switzerland. Shot just after the Col d’Ugeon (2018 m) on a trail on the edge of Crêtes de Charousse, Switzerland. Incredible weather for the first day of October. Cheillon Glacier and the Mont-Blanc de Cheillon shot from the Cabane des Dix (2928m) in Valais, Switzerland. This was a almost full moon during this night, I try to catch this unique atmosphere with this shot. 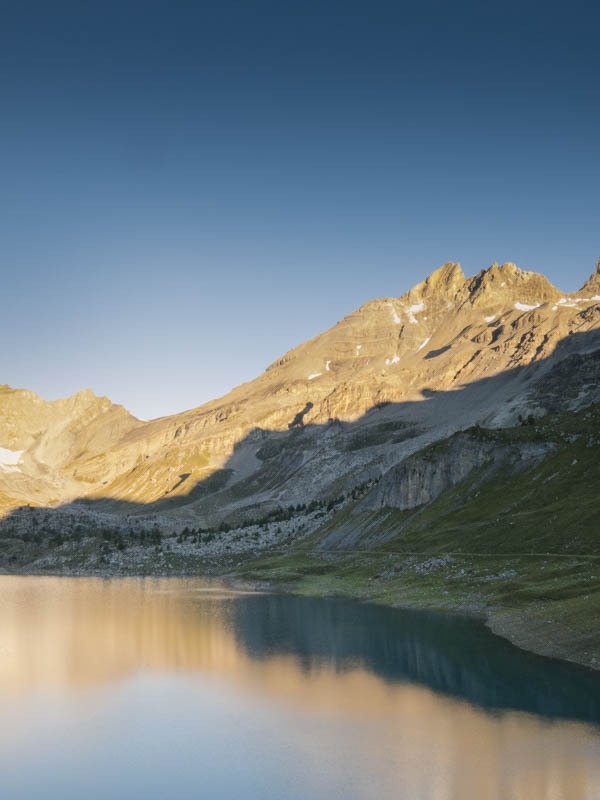 A place in the mountains where you can enjoy typical Swiss food and a beautiful view on the Lake. Shot at La Roche-Devant above Boudry, Neuchâtel, Switzerland. Enjoying a night in the mountains, taking the time to watch a sunset, a simple pleasure. Shot in the Gastlosen, Fribourg, Switzerland. 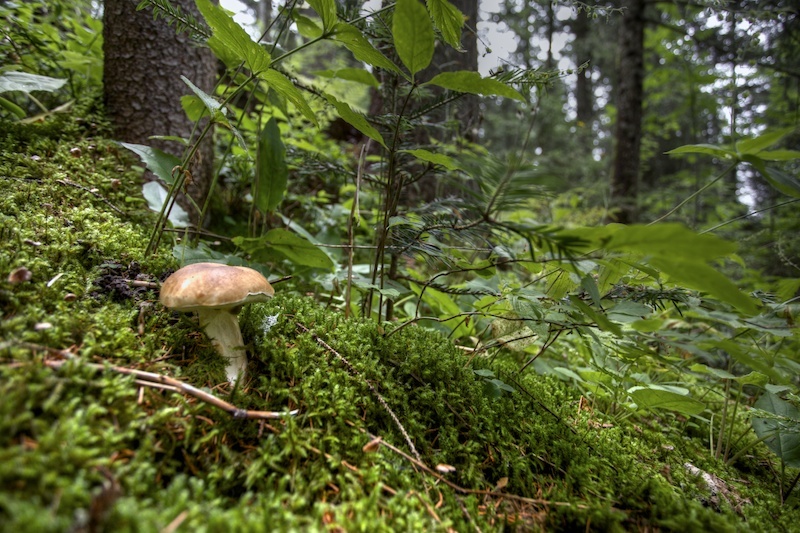 Small, discreet, you have to be vigilant to find this small fungi called Boletus. 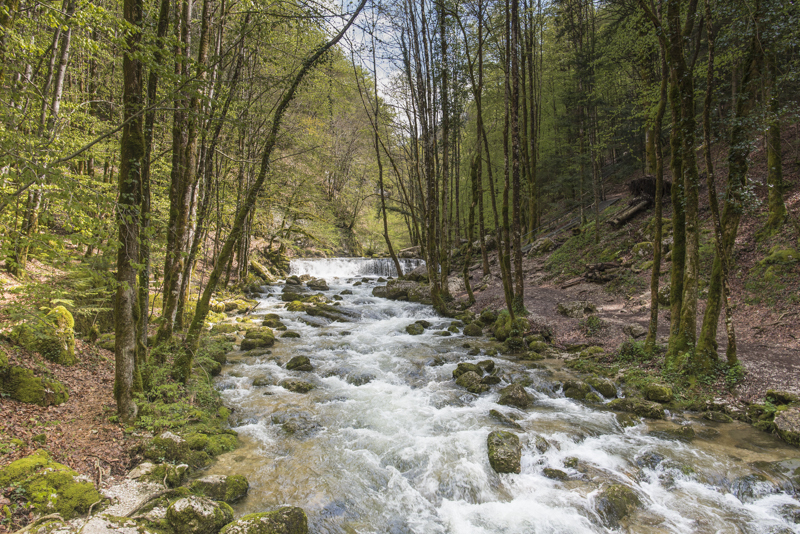 Shot in a forest near la Lécherette, Switzerland. 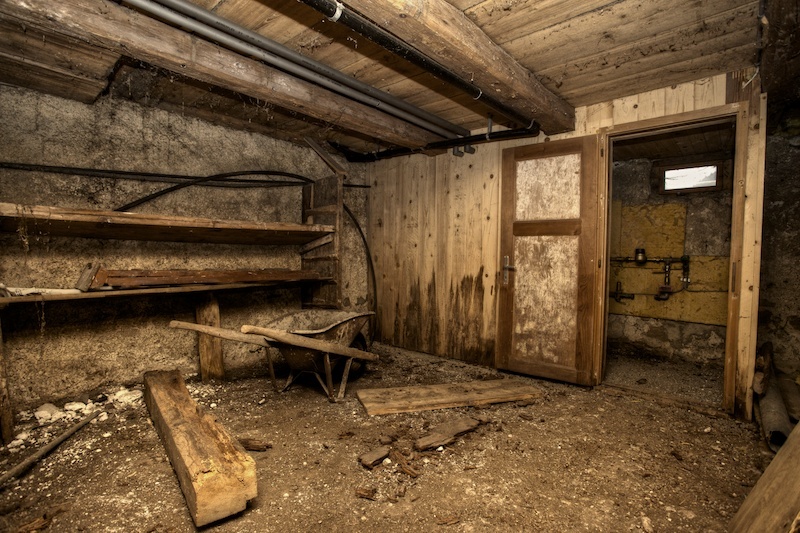 An abandonned house in the Canton of Fribourg, Switzerland. I had the opportunity to visit this builiding, so I took my flash with me and I tried to capture this gosthly atmosphere. A spooky sunday afternoon. 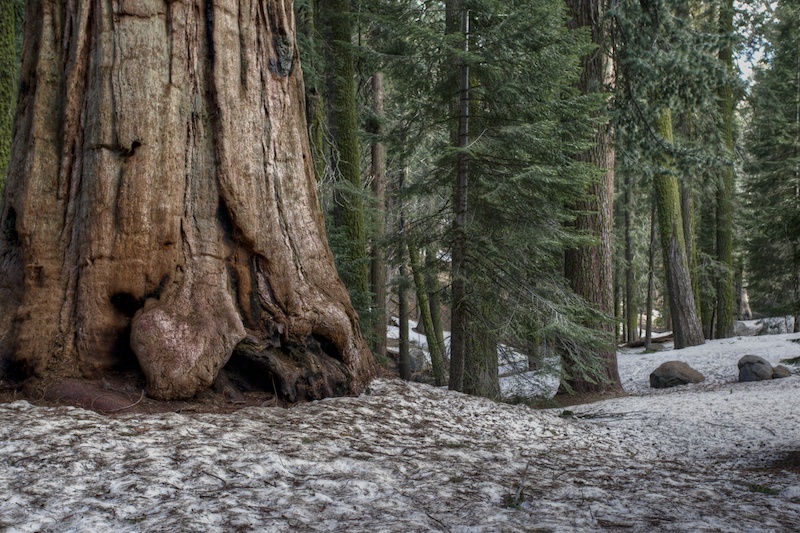 Shot in the Sequoia Park, California, USA. Massive old trees in this beautiful forest. During this walk we also met “General Sherman” the biggest tree on earth, 2200 years old. 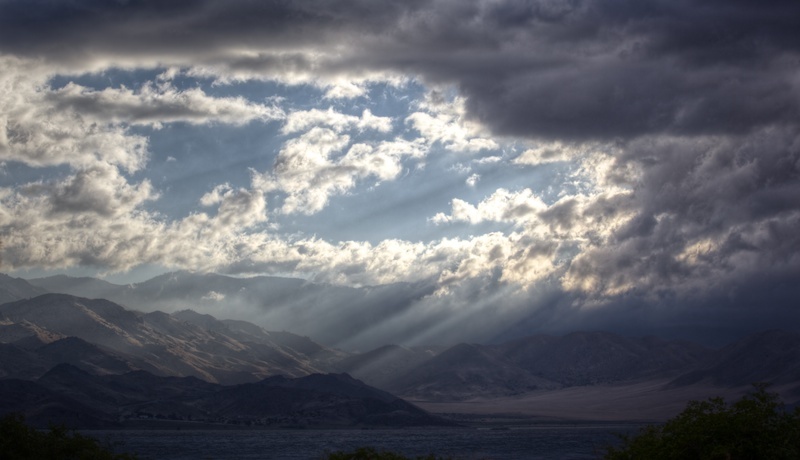 Shot on the road the between the Death Valley and lake Isabella, California, USA. 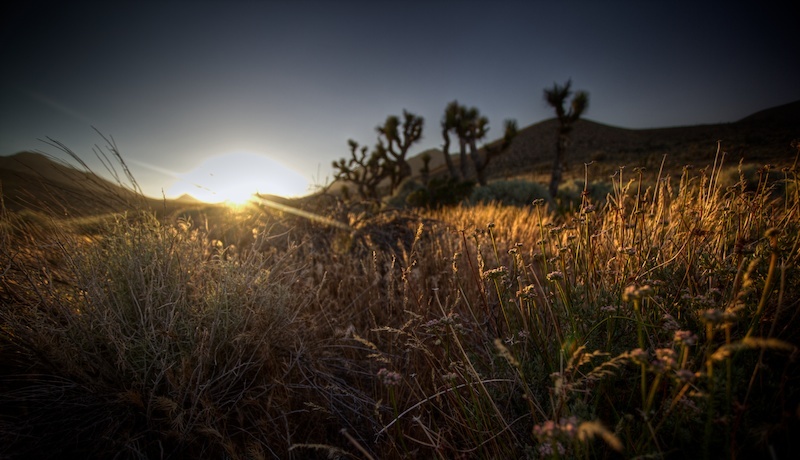 Joshua Trees and local flora create this unique sunset atmosphere. You can buy this picture on mayoz.fr. 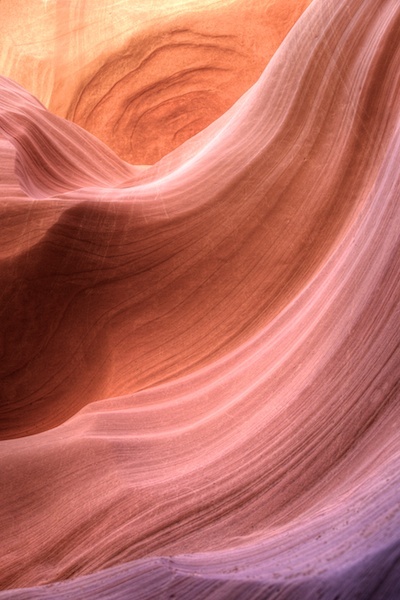 Shot in the incredible Antelope Canyon, Najavo Park, Utah, USA. During the day the colors of this rocks changes according to the ambient sunlight. The lights of the morning on the Lake Isabella, California, USA. 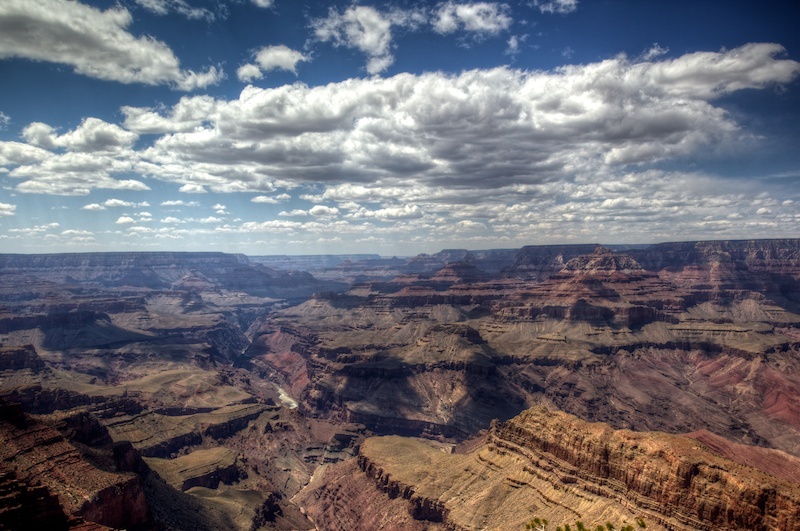 One of the wonder of mother nature, the Grand Canyon, Arizona, USA. Another symmetric experience. Shot in the Hauptbahnof of Zürich, Switzerland. A nice place to party in the neighborhood of the Langstrasse in Zurich, Switzerland. Just around the corner you can find Riff Raff, an alternative cinema. 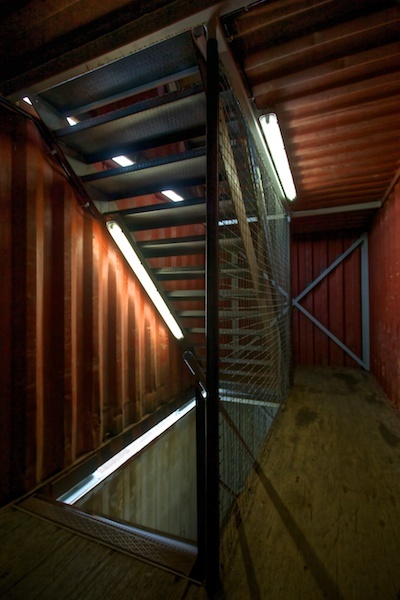 A metallic atmosphere inside the Freitag tower. Shot in Zurich, Switzerland. My eyes were caught by this construction in “Cité des Sciences” in Paris, France. 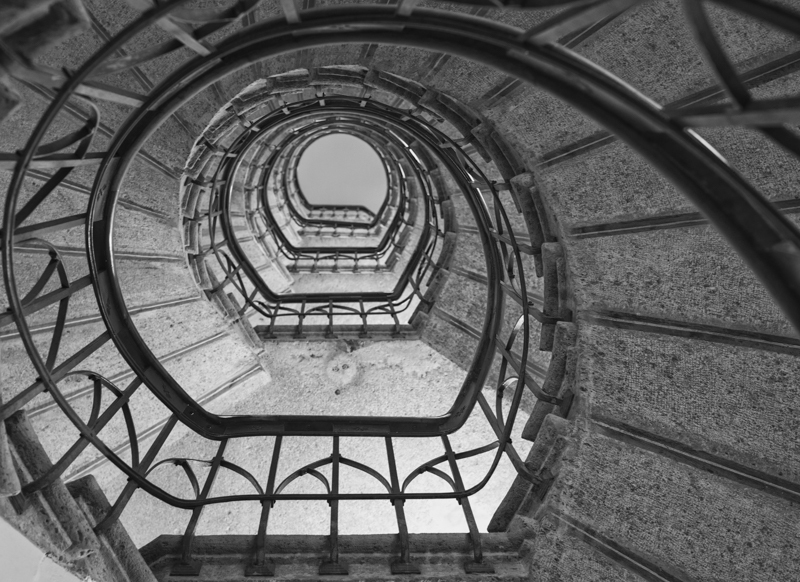 Another element in my serie about symmetry. After a long walk around the city, we stop just under the Eiffel tower in Paris, France. It was a rainy day and unfortunately there was water drop on my lense. Symmetrical and industrial point of view of this famous construction. 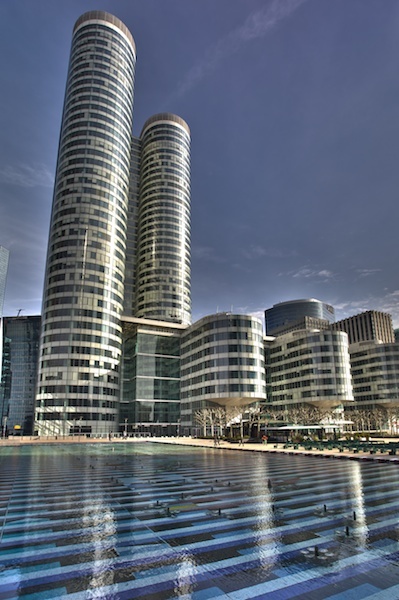 In the area of La Défense in Paris, France. This shiny building surround the “Fontaine d’Agam”, a modern fountain made of enamel. On the same day that the picture before, a panorama view from the Grimentz Snowpark. Big jumps in a beautiful landscape. After a wake up at 5h in the morning, we reach Grimentz in the Alps, Switzerland. It was worth it ! 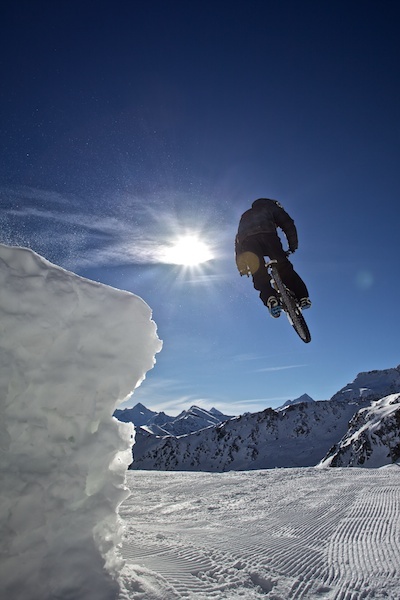 The bikeattitude.net team was there to jump in the 6park snowparks. Great fun. Great laughs. Great moments ! 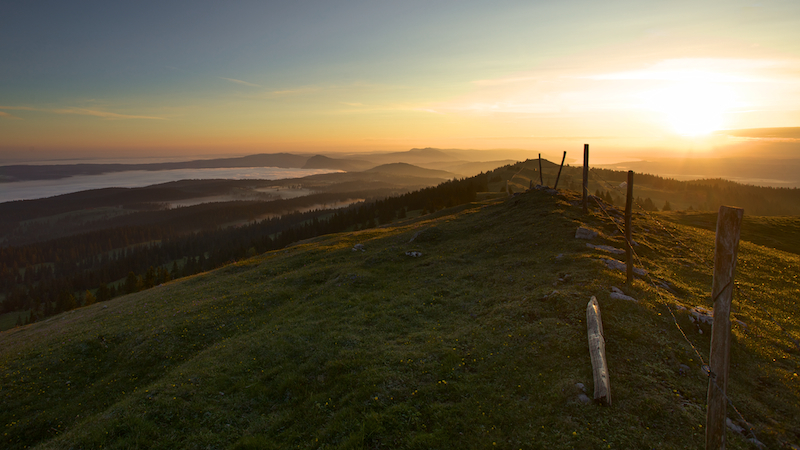 Shot from the top of Mont-Tendre, near Mollendruz, Switzerland. This mountain is the highest in the Jura Vaudois area. 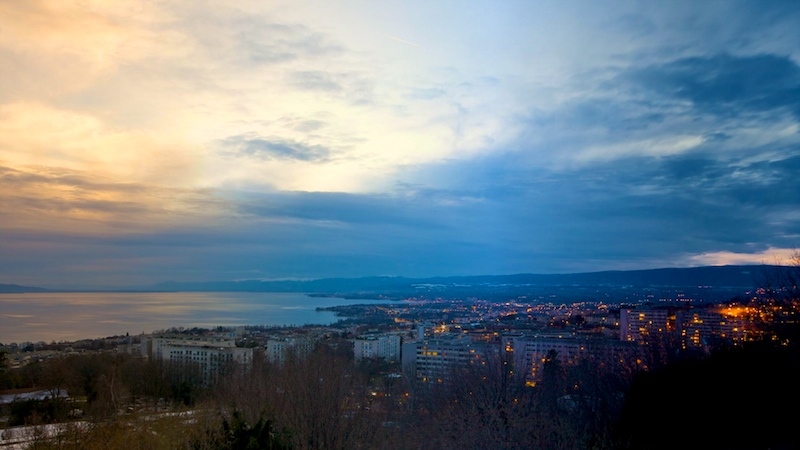 On the right side, in the fog, the City on Lausanne. 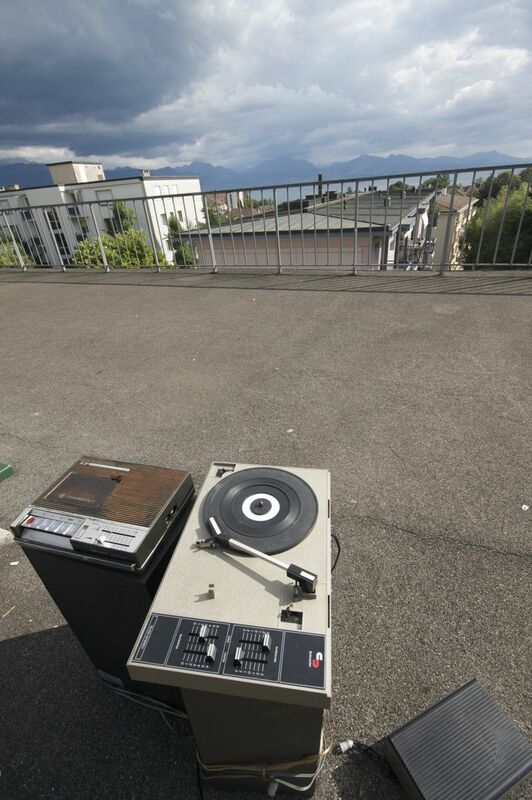 In the background, the Alps. After a walk between the forest and the fields on a foggy day. Shot near Anet (Ins), Switzerland. It’s always hard to wake up early in the sunday morning but it’s often worth the effort. 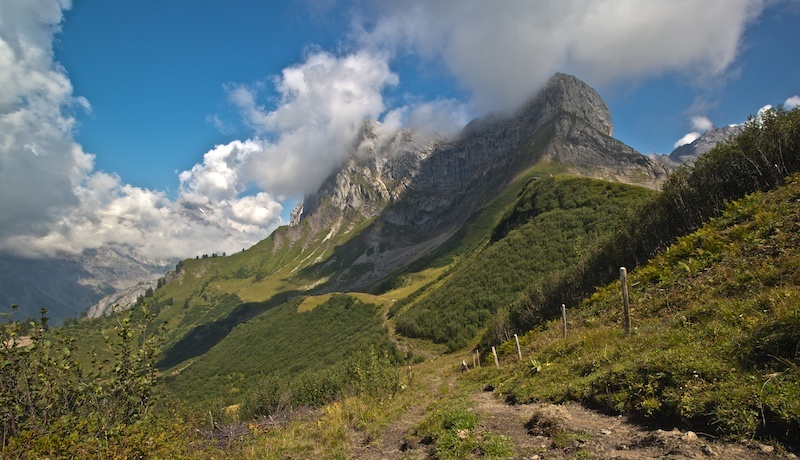 Starting from Les Paccots, we went to Pralet then we reached the Col de Lys in Switzerland. At the top we enjoyed the view, the ambience, the effort… I try to recreate this feelings on this 360° panorama. Resting time in Ouchy, Lausanne, Swtzerland. Industrial equipement meets the horizon. Shot in Châtel-Sur-Montsalvens near Bulle, Switzerland. On a relax moment, taking fresh air after a Christmas meal. 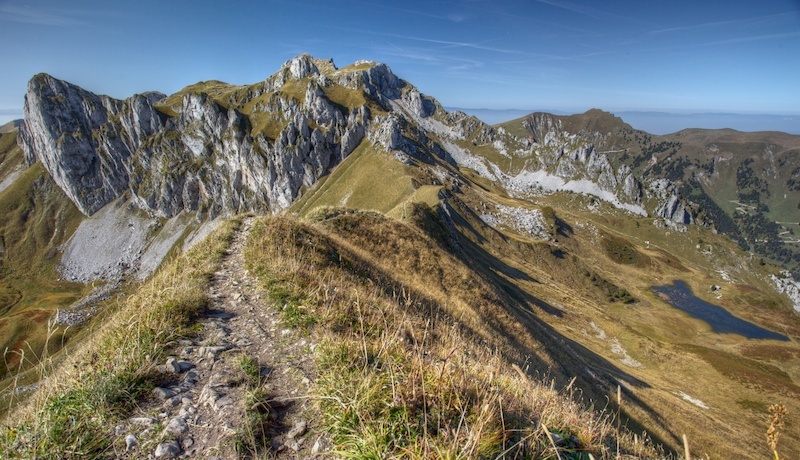 From this point of view surrounding the lake of Gruyère, you can see on the left : Le Moléson, on the right : Le Bifé and in between : Gibloux. Snow is coming, winter is in the city. Shot in Place de L’Europe, Lausanne, Switzerland. In the same serie of Slow Show. 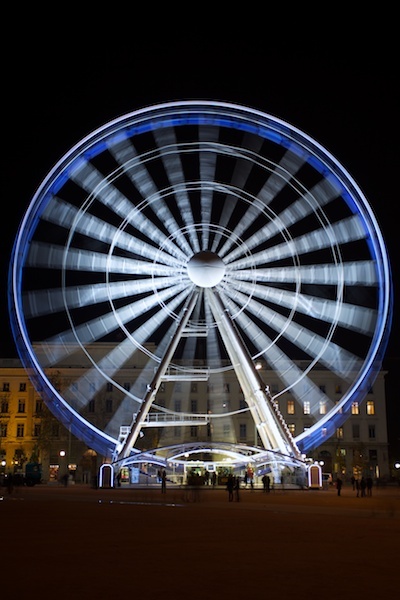 A long exposure of a ferris wheel during a winter night. Place Bellecoure, Lyon, France. 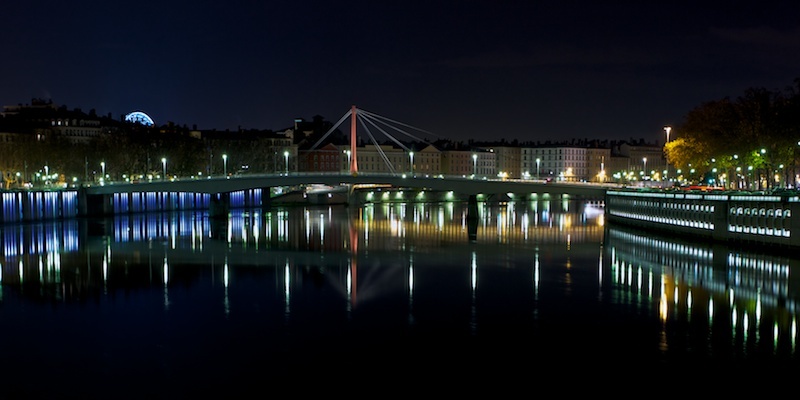 This is the St-Antoine’s bridge across the Saône in Lyon, France. Shot at around midnight after a really good meal in the city. 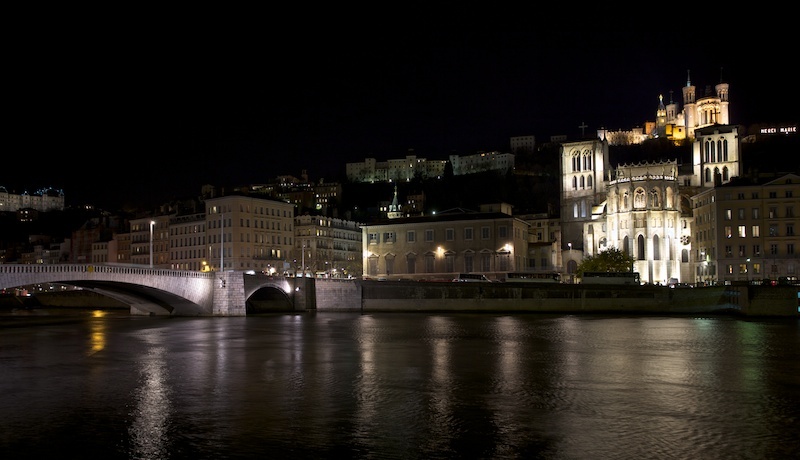 The Saint-Jean Cathedral and Notre Dame de Fouvrière close to the Bonaparte bridge in Lyon, France. 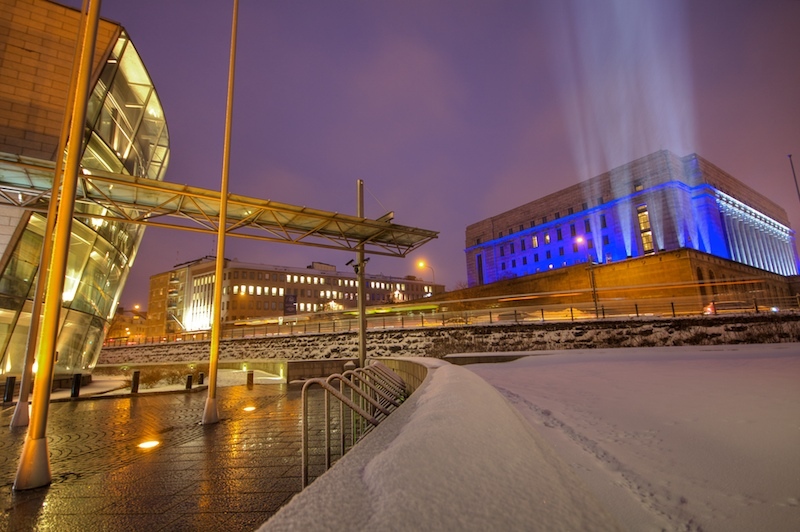 This was a cold night in the beginning of this winter in this city full of lights. Another piece of street art from Lausanne, le Flon. Drawed in black on a white background it seems inspired by the classic Swiss image called “La Poya“. Still in my street art serie, I found this incredible graffiti near an Art and Communication School in Lausanne, Switzerland. This panorama is composed of 6 pictures. Last Friday, I saw Exit Through the Gift Shop with a friend of mine. This movie is about Banksy and street art. I really advice it to everyone interested in art in general. 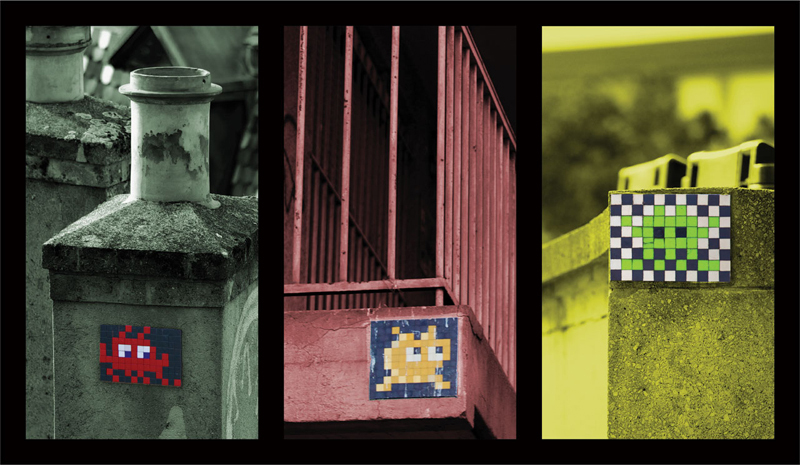 The morning after I woke up with a head full of ideas and I decided to create something about street art. Theses three pictures were shoot in Lausanne, Switzerland. It was 6h30 in a cold morning of autumn. I was with my uncle in the forest, hoping to see and take pictures of wild animals. 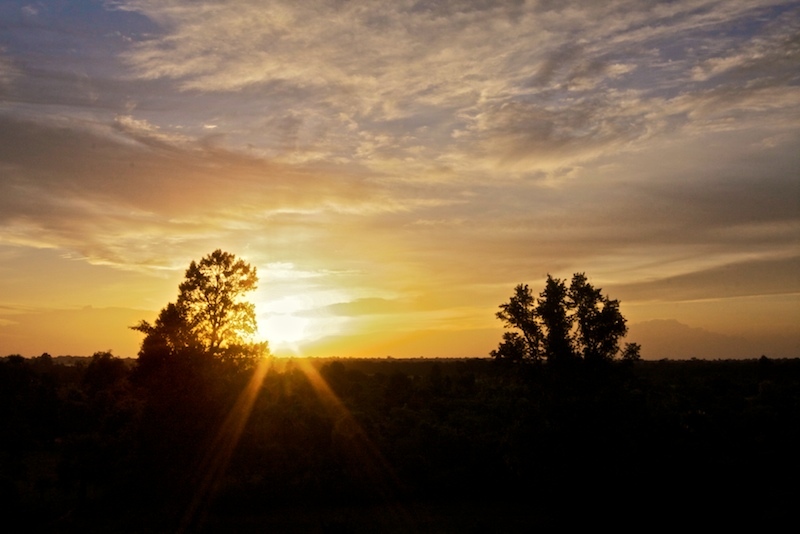 Nothing happens except this great sunrise. 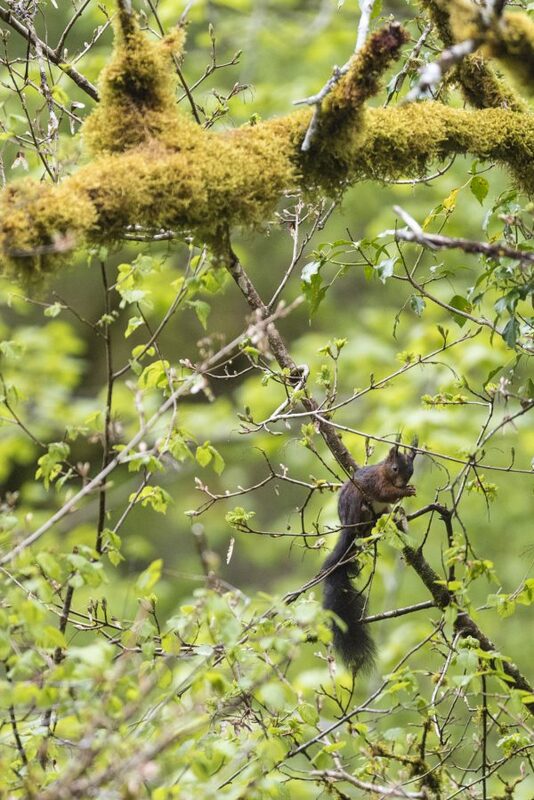 Shot in a forest near Mauraz, Switzerland. 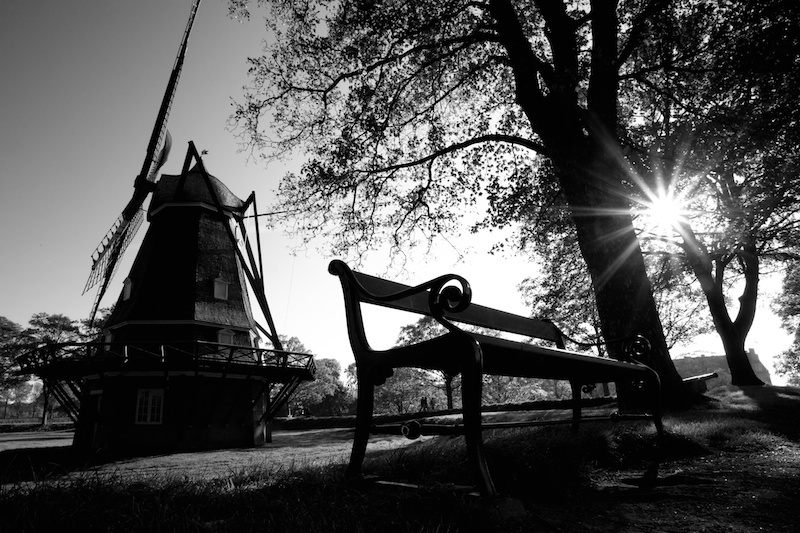 A Danish wind mill and a bench to rest in this beautiful place. Shot in Kastellet, Copenhagen, Denmark. I really like the structure of this construction, Danish design may be ? 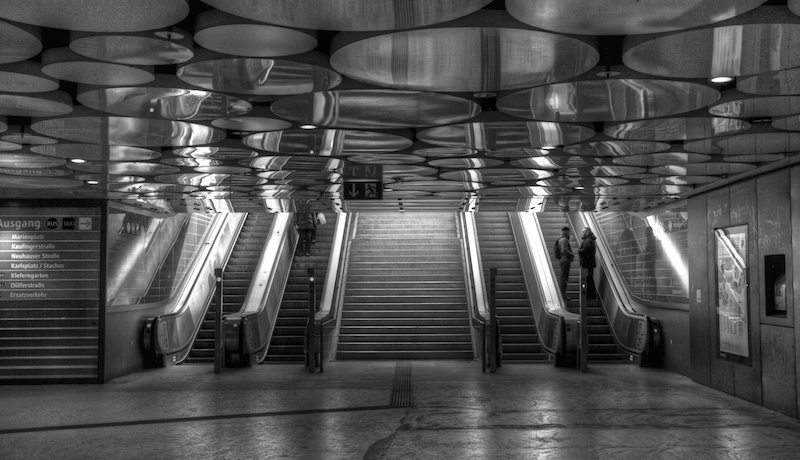 Shot in the subway station of Legravsparken, Copenhagen, Danemark. 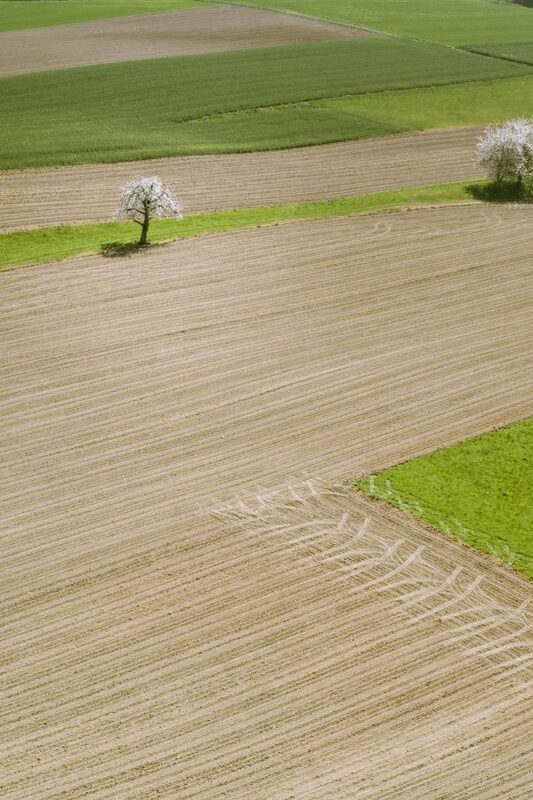 This is a panoramic landscape based on 24 pictures. It gives a view of the city of Copenhague in Denmark. Shot from the top of the Vor Frelsers Kirke (Church of Our Saviour) in Christianhavn. We must celebrate, it’s my 100th post ! I decide to start a new photographic experience. 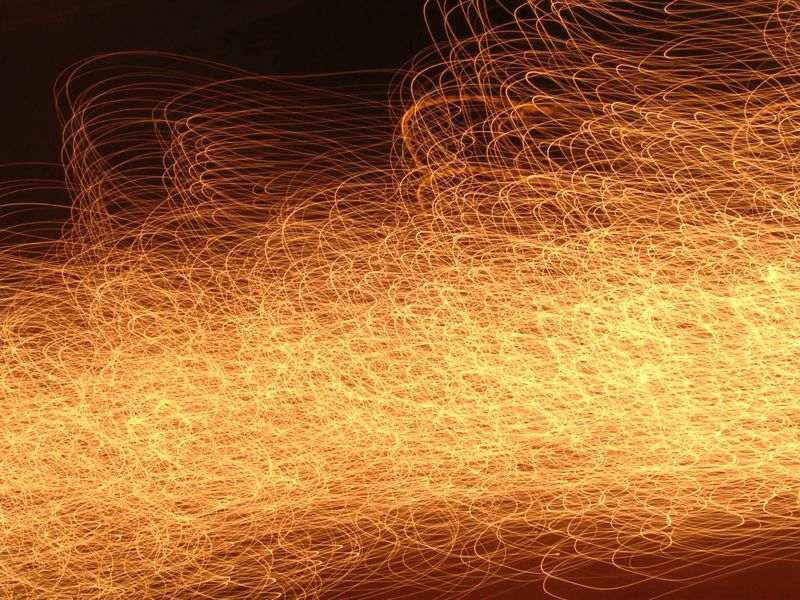 With the kind help of Raphaël, we made a long exposure shot with some light paintings and flashes. 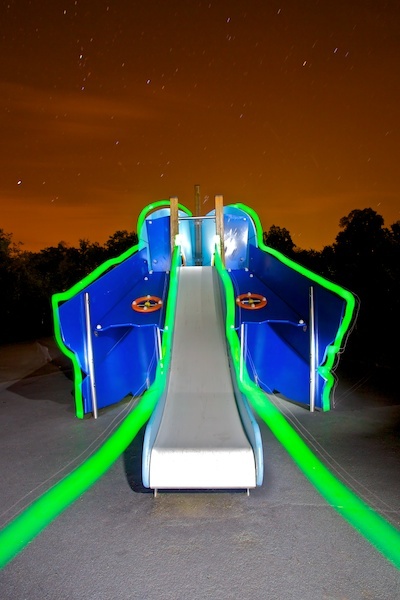 I like the design of this playground especially at night. Shot in Vallée de la Jeunesse, Lausanne, Switzerland. I’m happy with the result. 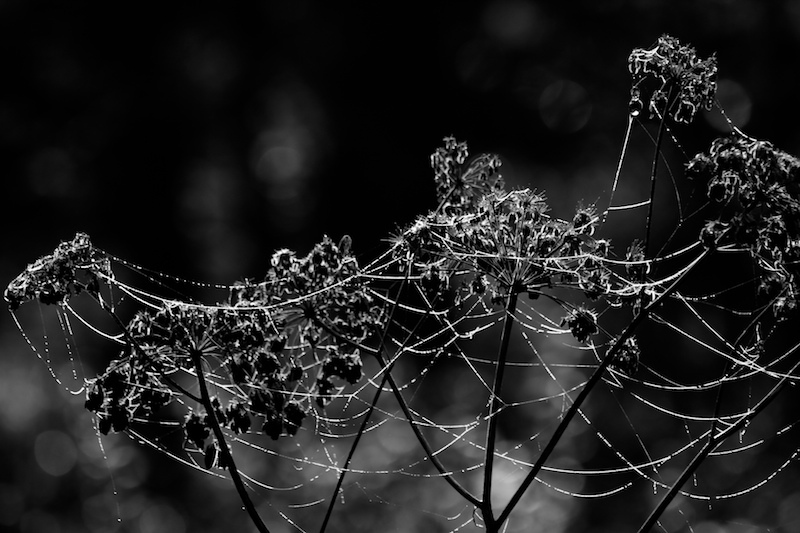 Thank you all for your comments, e-mails and support since the beginning of this photoblog. I’m looking forward for the 1000th post ! Twelve photos for my first panorama. Shot from the Grammont Mountain above Miex, Switzerland. This place is situated just above my previous image. Below you should have a higher resolution picture. If the image doesn’t appear just refresh the page. 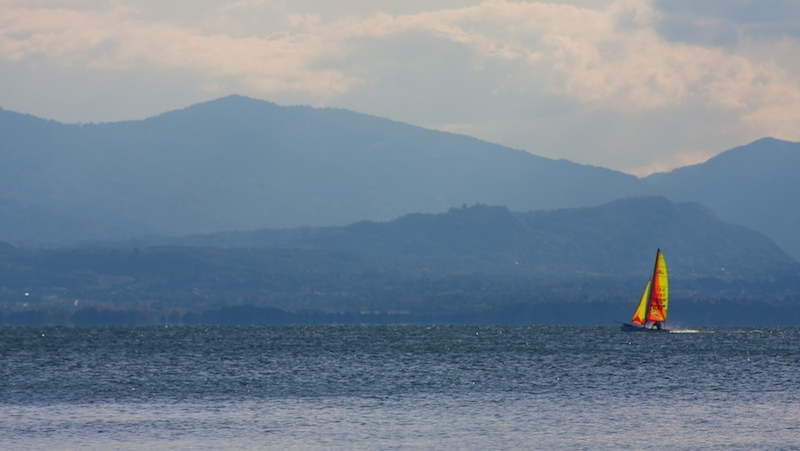 It’s my first post including panorama, so I may have some technical problem….be tolerant. 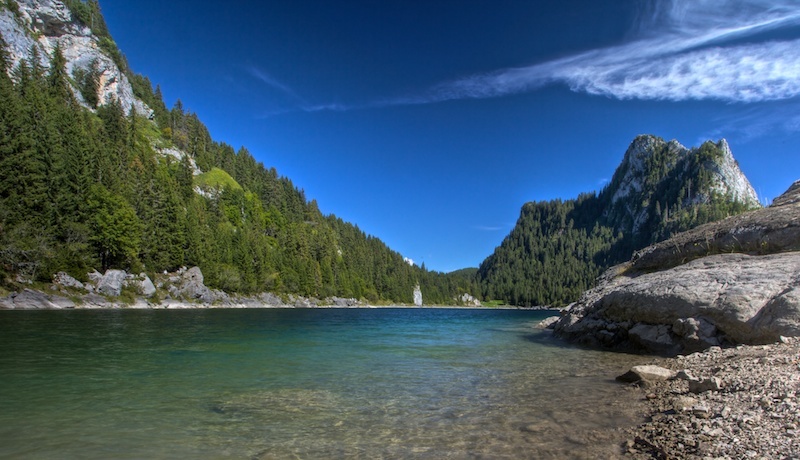 During the ascent of the Massif Du Gramont (2 172 m), you can walk along this beautiful place called Lac Taney. This beautiful area is above Miex in Switzerland. During a sunny afternoon after a drink on the lake side, I can’t resist to try to capture the light on the Castle of Rolle, Switzerland. 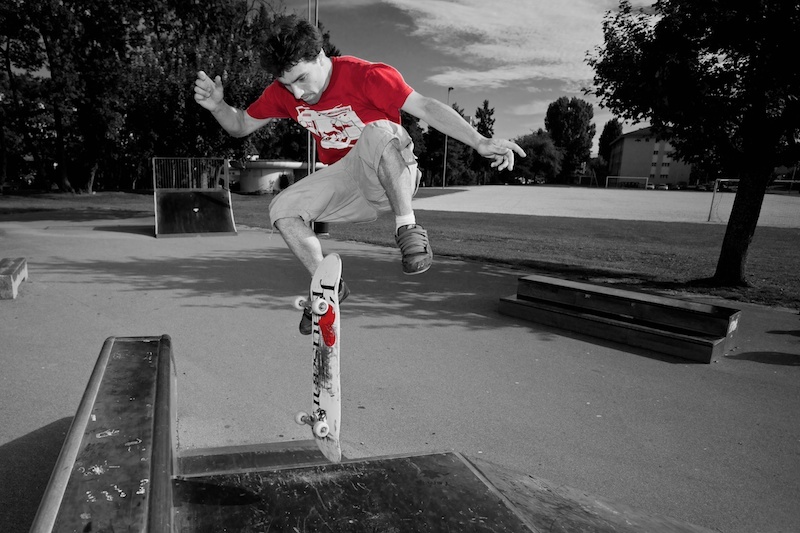 My friend Cédric Martin performing a trick in the skate park of Ecublens, near Lausanne, Switzerland. After 5h of efforts, My friends and I have successfully go around the “Mirroir D’Argentine” near Villars, Switzerland. Tired but happy. Last subway after a few beers in town with my pals, I was listening to this incredible song called “Slow Show” by “The National” on my way back home. An idea pop out of my mind and I decide to shot. Lausanne, Switzerland. 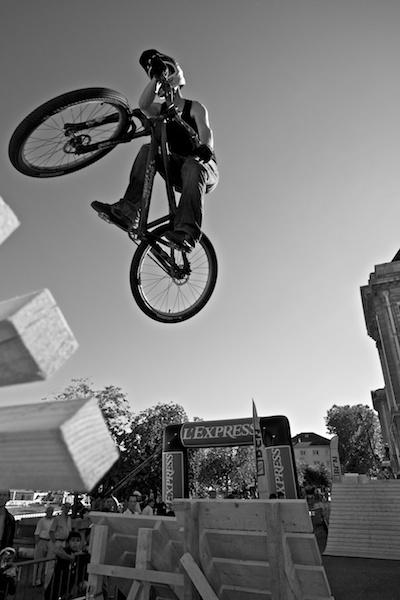 Shot during the “Festival des sports de Rue” in Neuchâtel, Switzerland. The rider is Brice Wacker, the president of bikeattitude.net. There is also a video of this event on Vimeo. Check it out ! 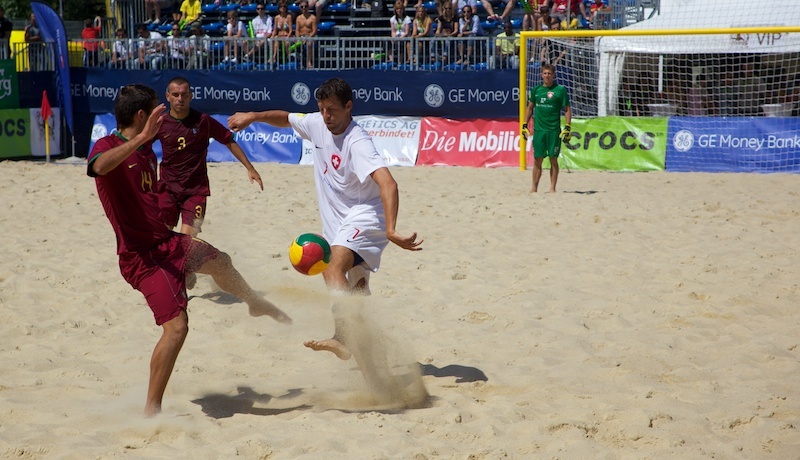 Switzerland versus Portugal, the national beach soccer teams played an exhibition match in Vidy, Lausanne, Switzerland. After 2h30 of walking instead of 1h because I had the great idea to take a custom path, I discovered this breathtaking view. 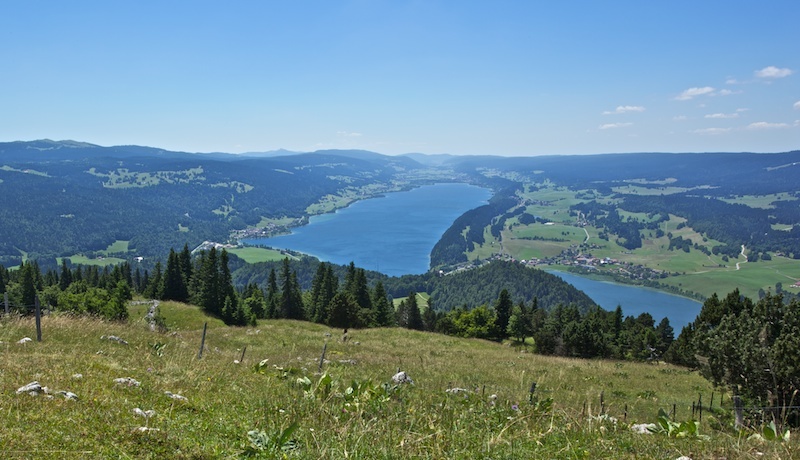 This is the lake of Joux shot from the Dent De Vaulion, Switzerland. 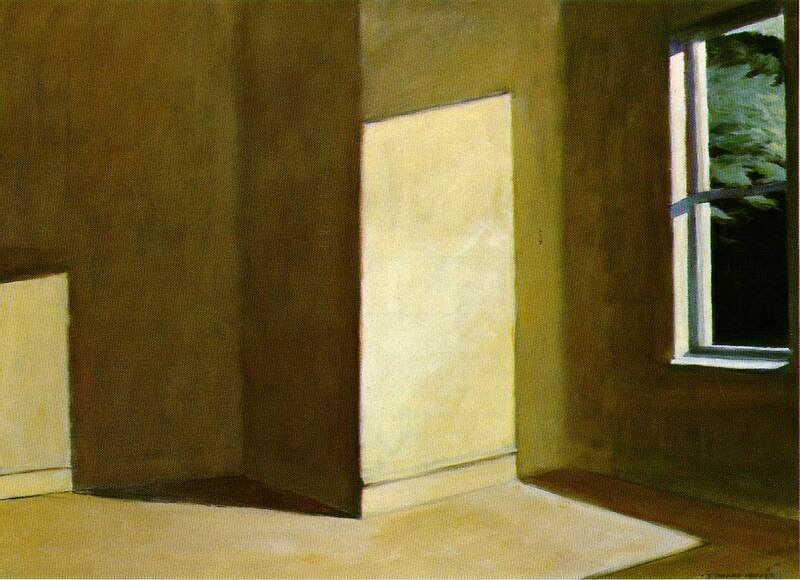 Paintings like Nighthawks, Sun in an Empty Room or Rooms by the Sea inspired me for years. 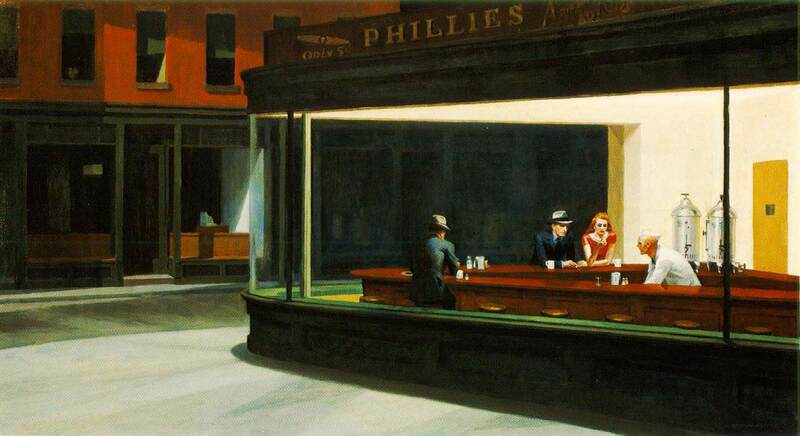 It’s now time to give a tribute to the great Edward Hopper. Shot in Boisy, Lausanne, Switzerland. 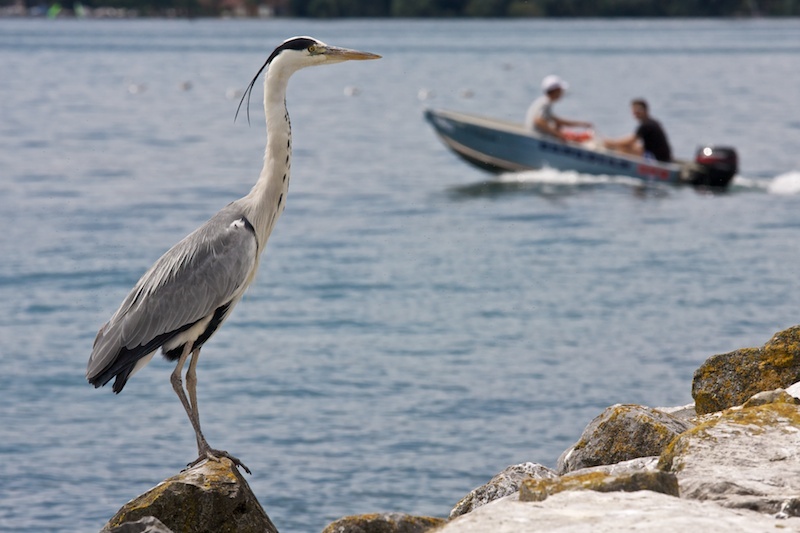 A Heron, may be a Great Blue Heron watching the beach of Vidy, Lausanne, Switzerland. 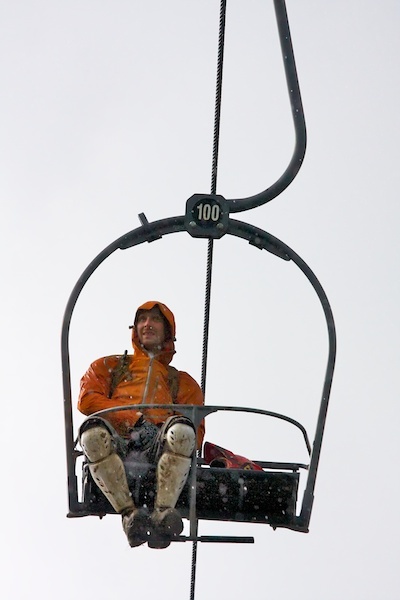 At the end of the Chatel Mountain Style 2010, the rain was falling on this rider, alone on his chair to climb the mountain. He can’t escape and he have to wait…funny situation (for me). 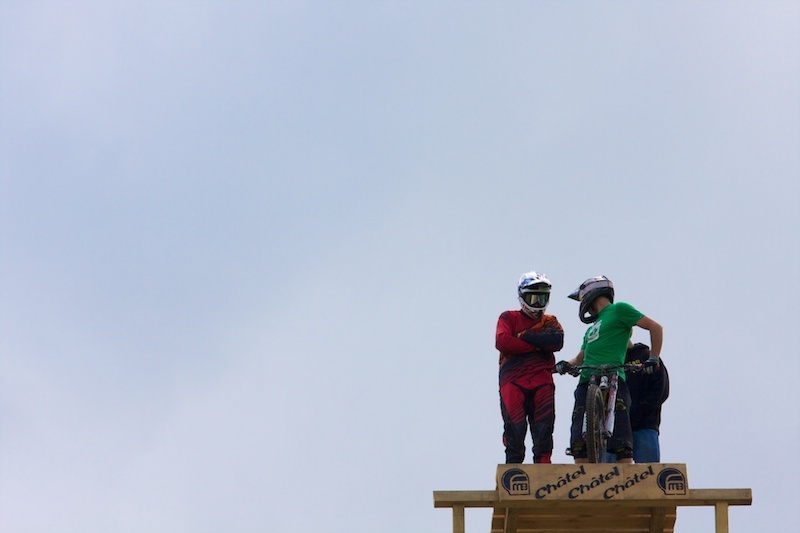 This was the last picture of the serie about the this competition of freeride. Thanks to the guys of bikeattitude.net to bring me to this place. 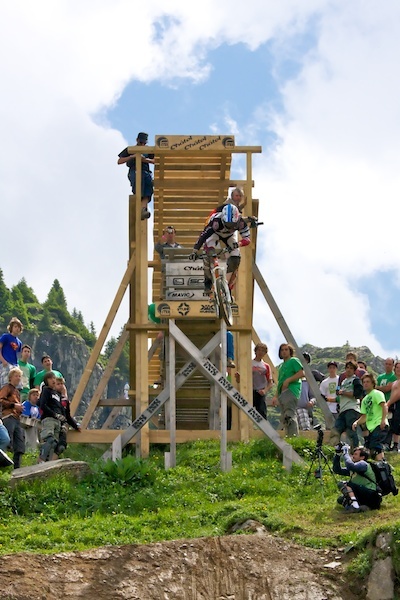 On a start of the Chatel Mountain Style 2010, no fear, no hesitation, you’ve to choose a line and ride it. Still during Chatel Mountain Style 2010, just after the big drop of the beginning. On this jump, same rider performs backflip. This guys are definitely crazy. 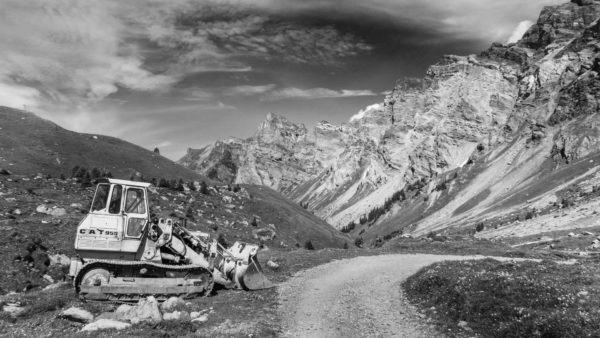 Second picture of the serie about the Chatel Mountain Style 2010. This time, this is the start of the race with a big drop-off. 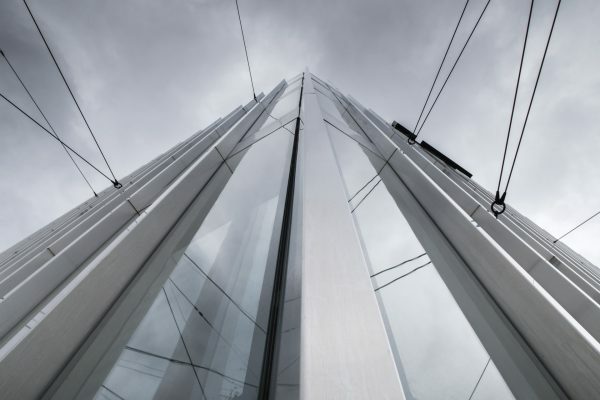 The height of the structure is 10.5 m. Shot in Chatel, Plaine Dranse, France. 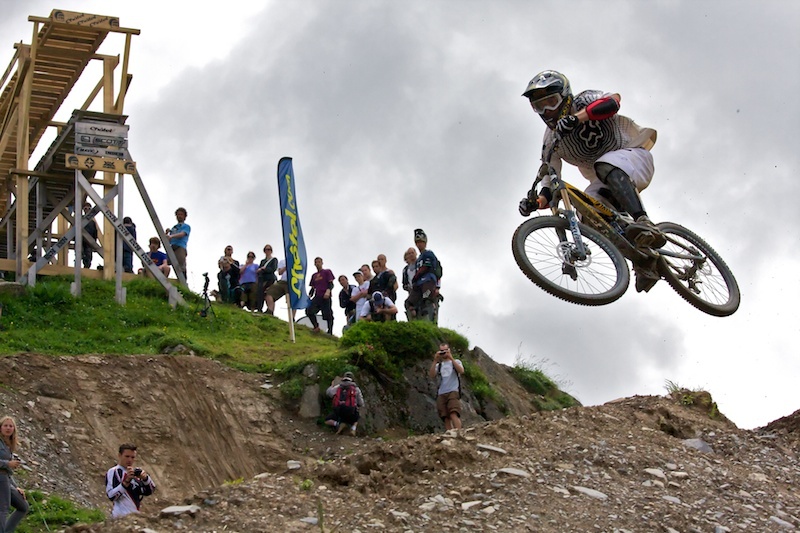 The best bikers of the world were on “The Face” (the name of the trail) this weekend for the Chatel Mountain Style, part of the freeride world tour 2010. This picture is the first of a serie about this competition. It’s was a warm evening, alone at home. Watching the view from my place, just thinking and dreaming then I decide to take picture from my balcony. Tripod, a beer and patience. Shot in London, UK. Nice terrace on a sunny day, a quiet place in this exciting city. 3 HDR exposures. 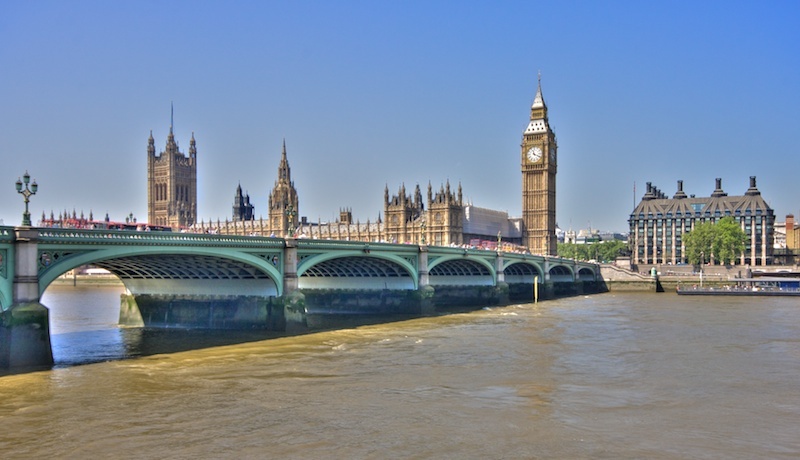 This is the famous Westminster Bridge with Big Ben in the back. It’s not necessary to mention that this shot come from London, UK. Shot on the BikeAttitude home spot during the 2010 season opening. The rider is Christian Brueckner, the other photographer is my buddy Jay. 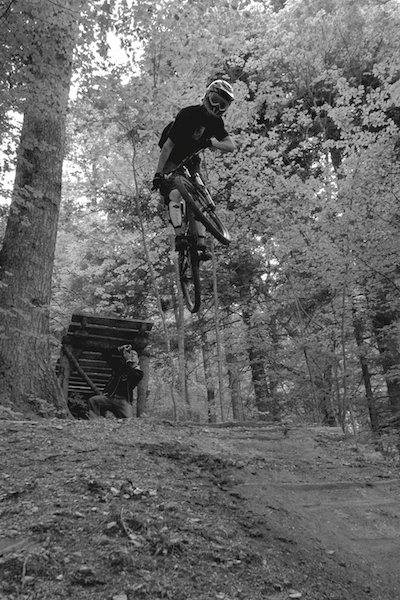 You can find this jump in the forrest of Chaumont, near Neuchâtel, Switerzland. 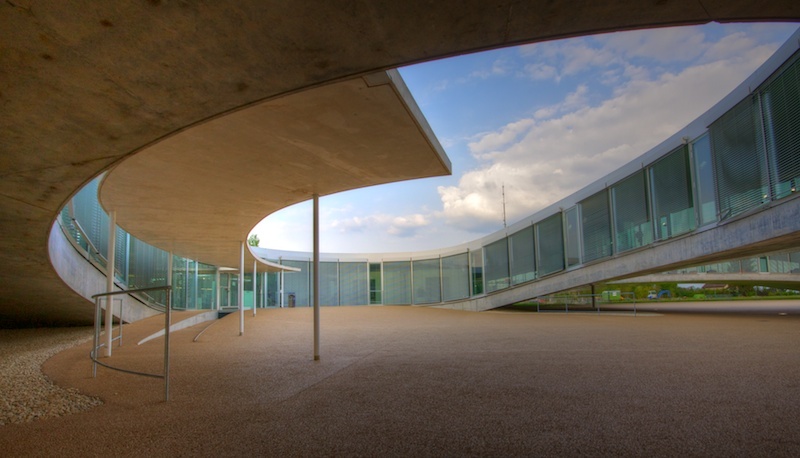 A external view of the beautiful Learning Center, shot in EPFL campus, Lausanne, Switzerland. 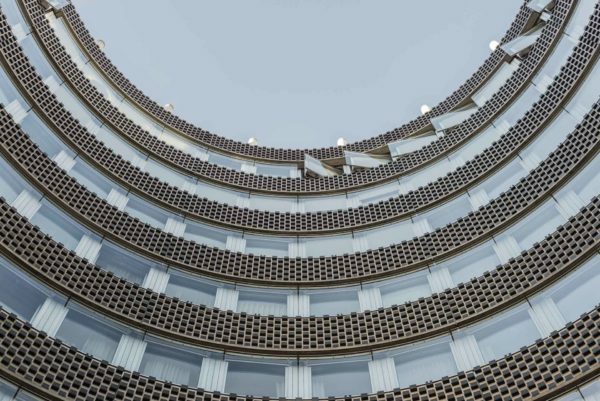 This building is a little gem for any architecture fanatic. Found a lot of inspirations in this place. 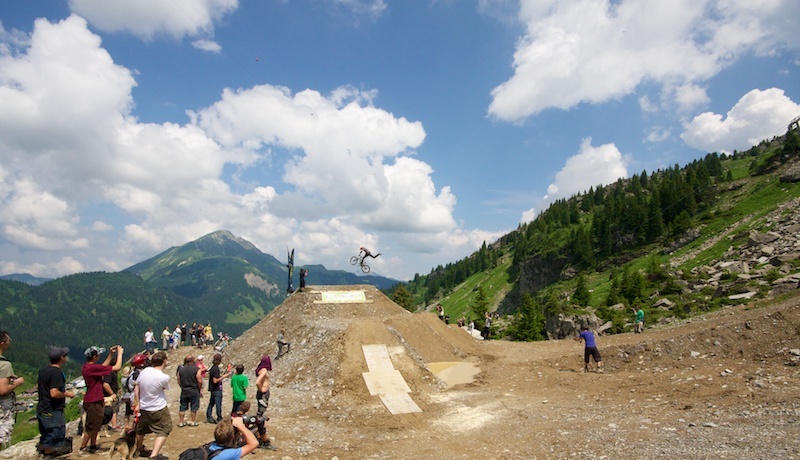 Shot from the vert ramp of Vidy in Lausanne, Switzerland. The rider, Cédric Martin performs a backside 5-0 grind with a nose grab. 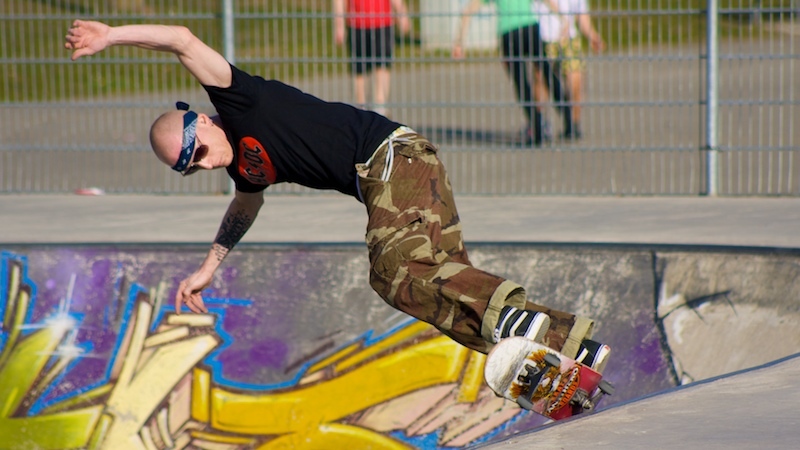 Another skateboard shot take in Ouchy, Lausanne Switzerland. A nice ollie with attitude. 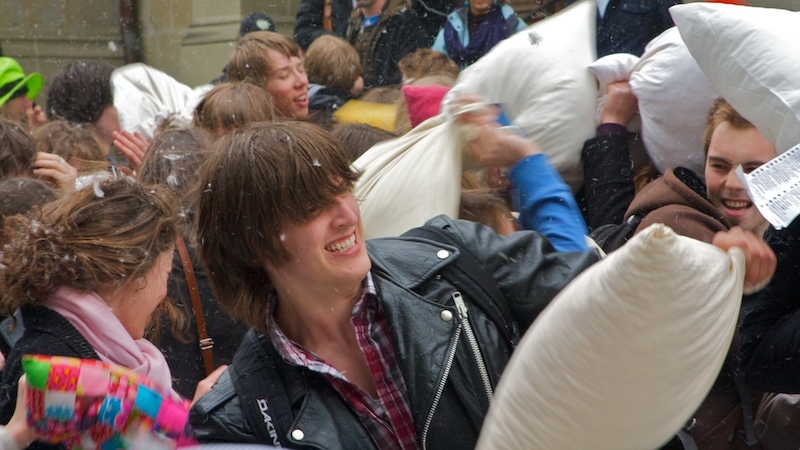 Shot during the International Pillow Fight Day in St-François Place, Lausanne, Switzerland. A kind of happening in the middle of the city during ten minutes. Lots of laughs for the participants and the viewers. 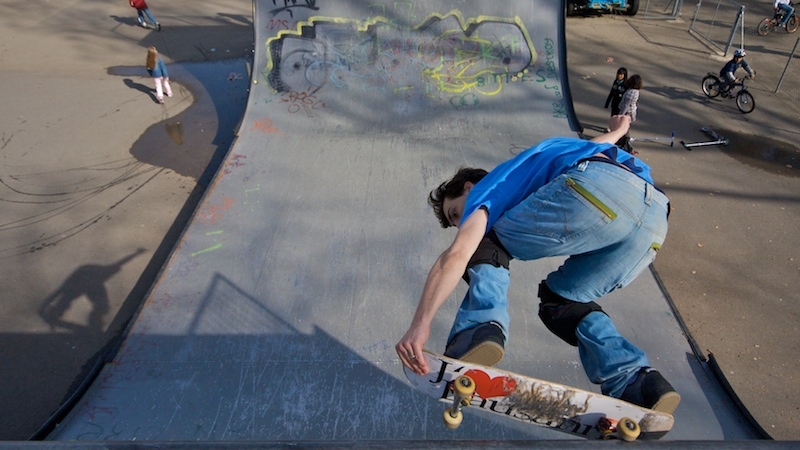 This is a backside five-0 (thanks to the expert) shot at the Bowl of Vidy in Lausanne, Switzerland. A nice place to see skateboard artists in action. First shiny afternoon after a long serie of cold days. 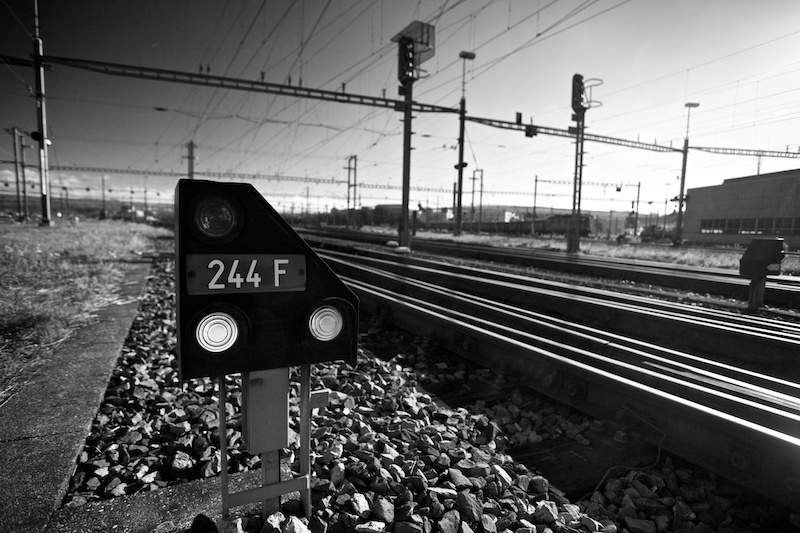 This is my first experiment with a new technic called HDTR, for “High Dynamic Time Range”. The goal is to show the flow of the time in one frame. In the left side of the picture the time of shooting was 17h30, in the right side, 18h30. 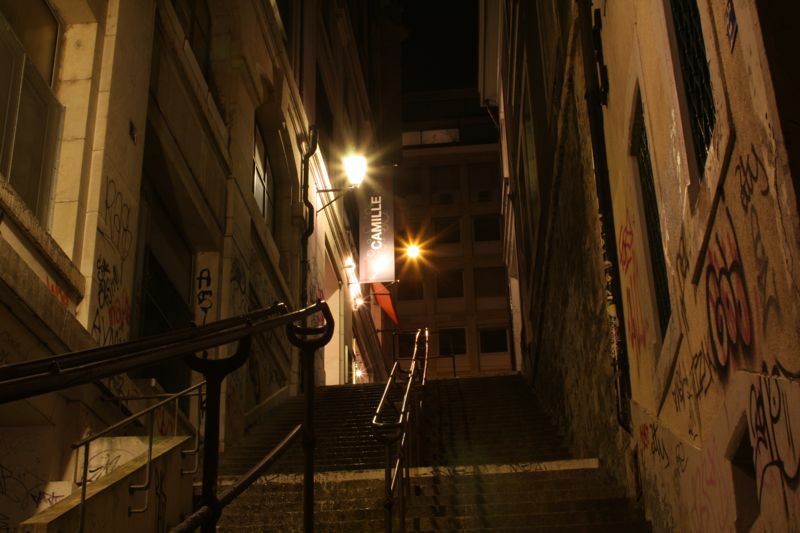 I shot this picture from a place called Le Signal in Lausanne, Switzerland. Thanks to Martin Krzywinski for his algorithm on images blending. 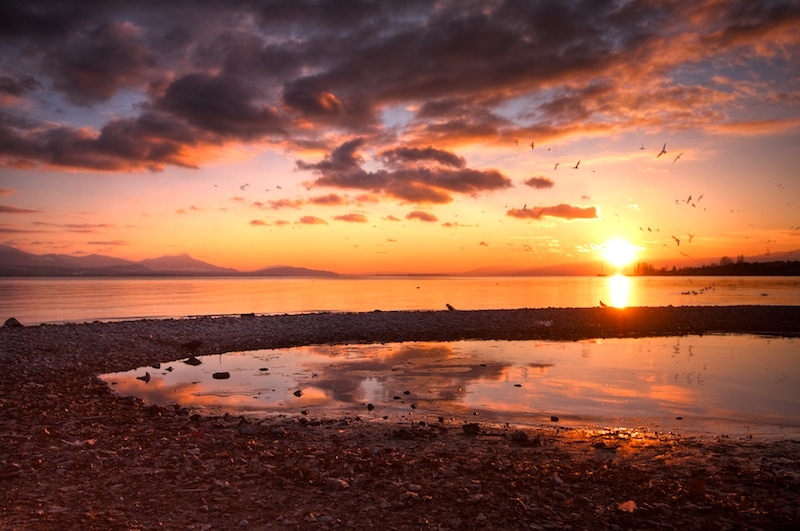 Sunset from my favorite spot, the Dorigny shore in Lausanne, Switzerland. This my first picture with my new neutral density filter. 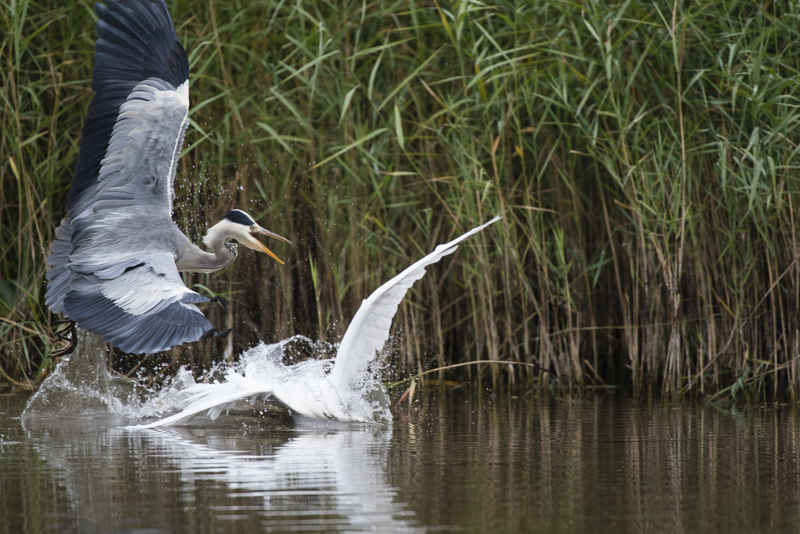 In this HDR composition you can see the three expositions throught the birds movement. This “three birds” effect give movement on this static landscape picture. On the right side this is the Finnish parliament. 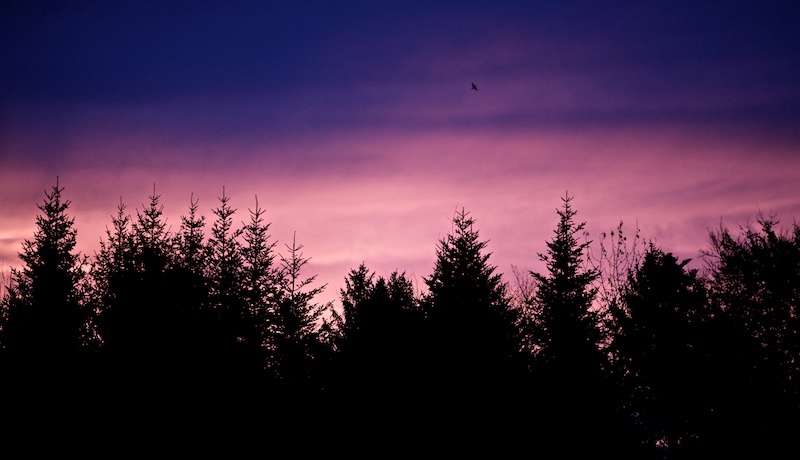 I experienced snow falls through powerful light, that’s why the sky is so purple. 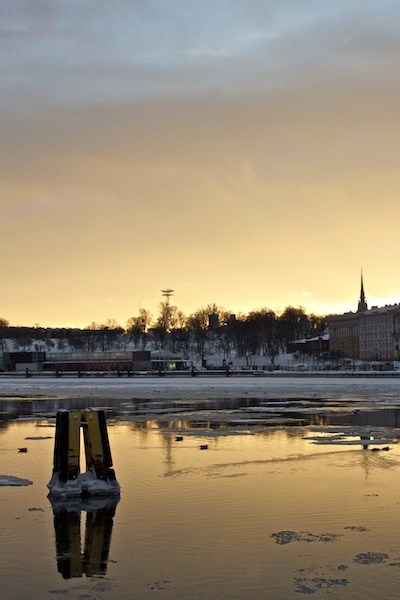 This is the last shot of my serie about Helsinki. The main street of Helsinski, Finlandia. 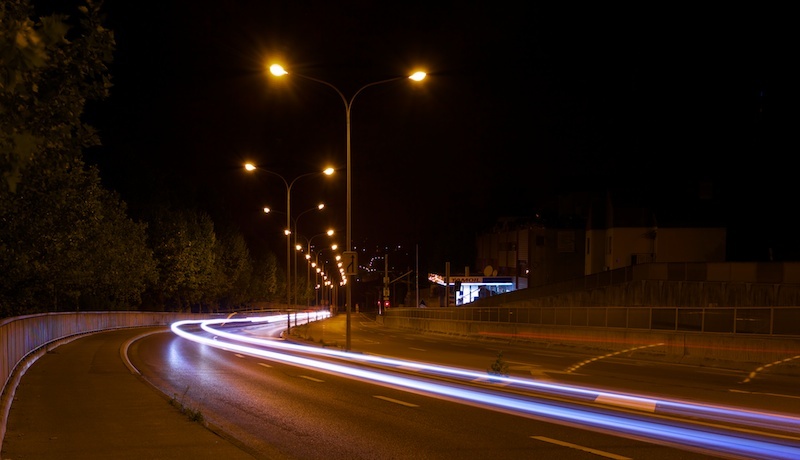 A long exposure shot near the road and the tramway. The night fall very early in the northern Europe, it was about 16h30 when I shooted this picture. 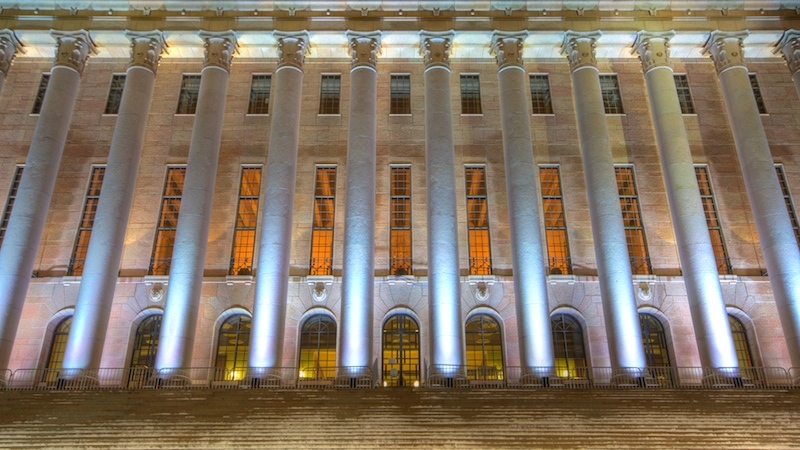 This the building of the Finnish parliament. His local name is Eduskuntatalo, it’s located in the city of Helsinski, Finlandia. This night, the building was beautifully lit then I decided to shot it. The lights in Finlandia were suprising. You think this is the end of a day, you pack your gears the you look the sky and you decide you get your tripod for a final picture. 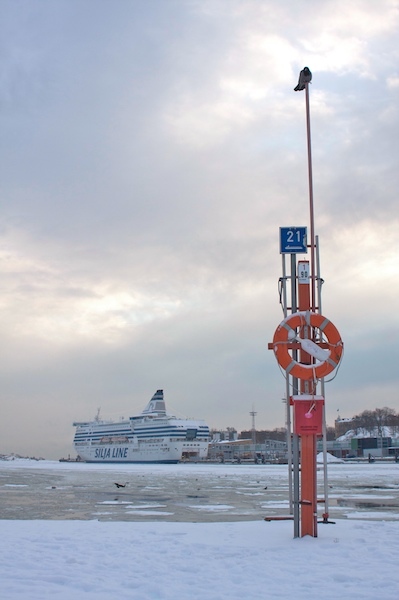 Shot in the port of Helsinski, Finlandia. 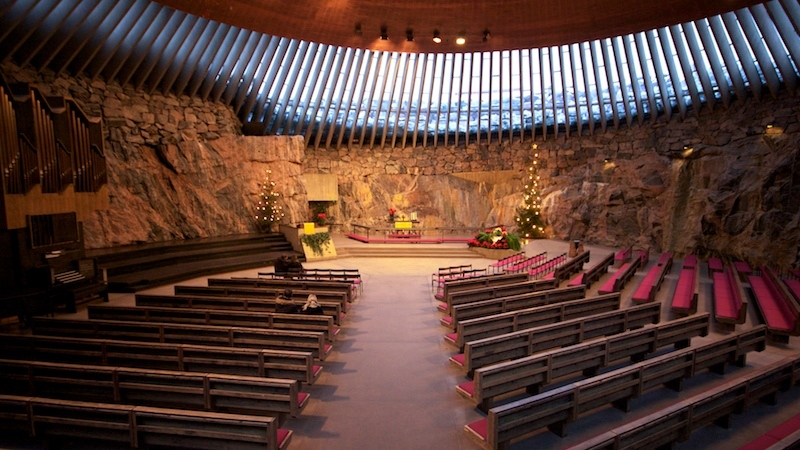 This is an church which is built into the rock. Nice atmosphere, quiet ambience. Look at the windows you can see the snow, the ceiling is made on copper wire. 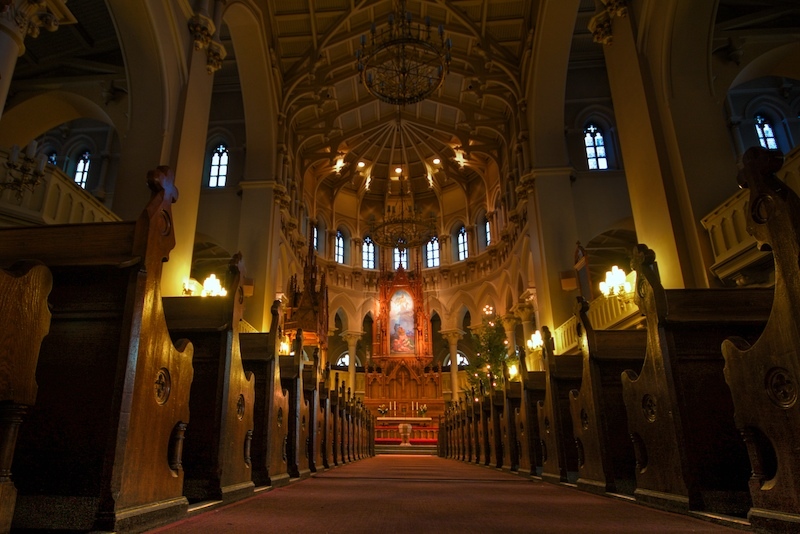 Shot in Temppeliaukio Kirkko, Helsinski, Finlandia. The day was grey but when the sun goes down, the colours of the sky appears. 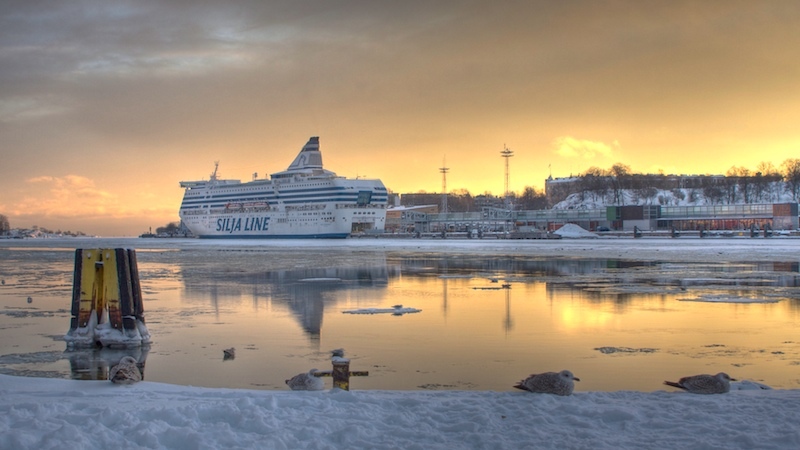 Shot in the port of Helsinski, Finlandia. On a cold afternoon of december, quiet animal taken in the port of Helsinski, Finlandia. 2600 seats empty, silence and nice lightning. Shot inside the Johanneksenpuisto Kirkko in Helsinski, Finlandia. First of all, Happy new year to all my followers ! This is the first pic of the year, we have to celebrate ! I start a serie about my last trip in the capital of Finlandia. 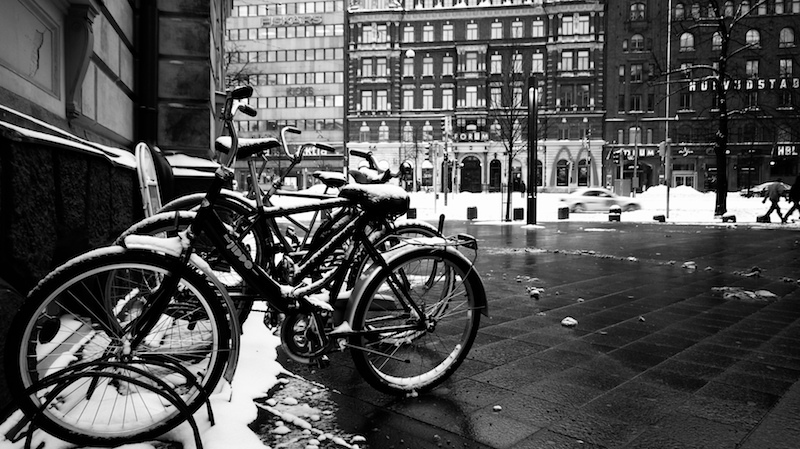 In this town, people rides on bicycles even where there is snow on the road. 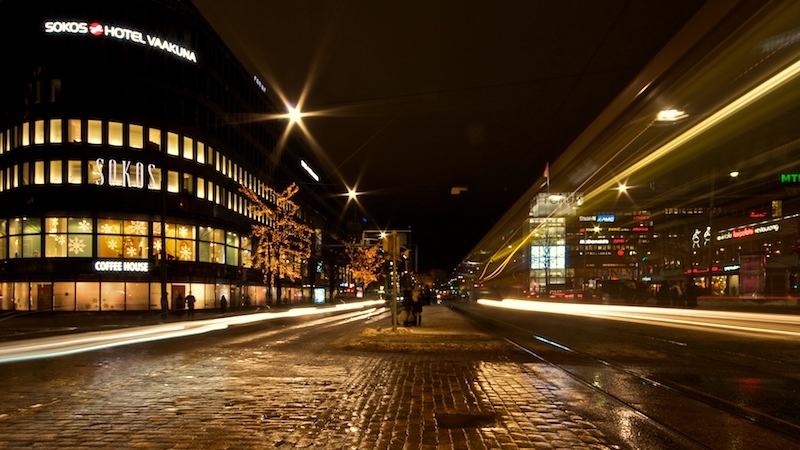 Shot on Mannerheimintie street in Helsinki. 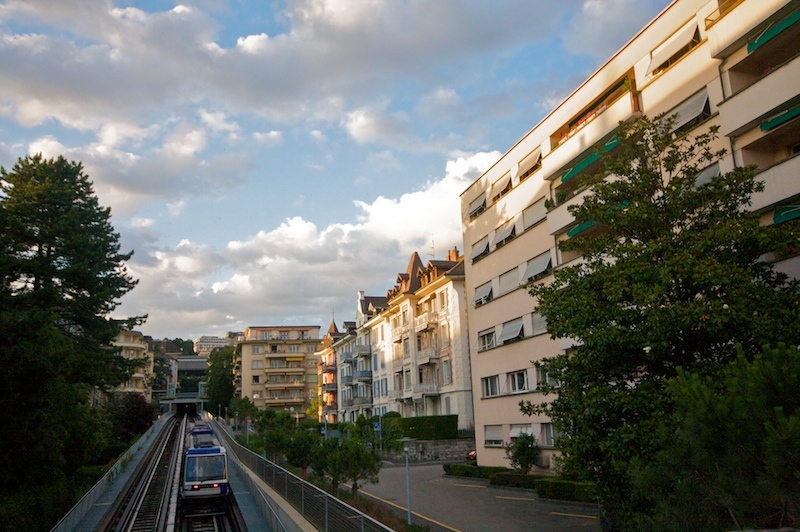 The City of Lausanne in the begin of fall. Shot from St-Sulpice a few weeks ago. 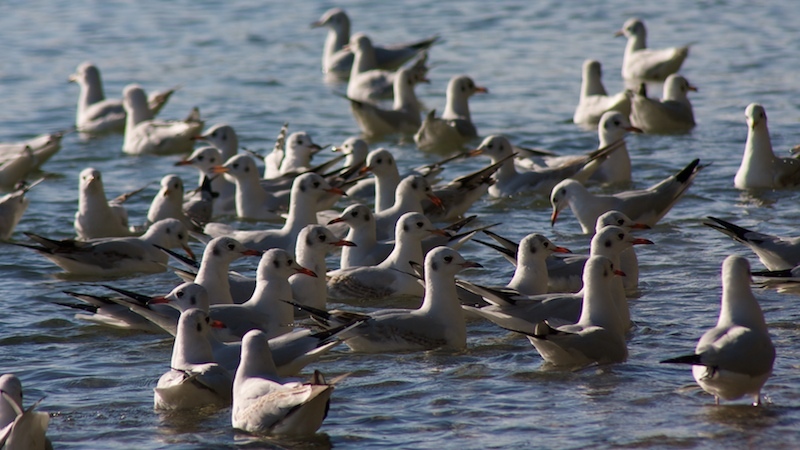 Gulls looks funny and disorganised, I like to watch them. 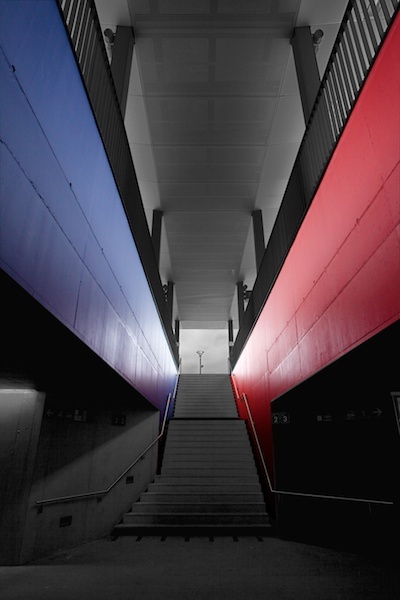 Final shot of the serie taken in Dorigny, Lausanne, Switzerland. 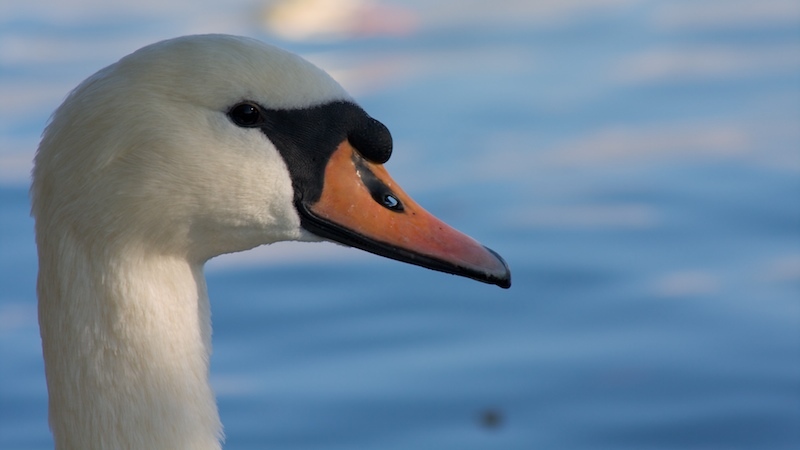 Swan seems to smile when you look, isn’t it ? 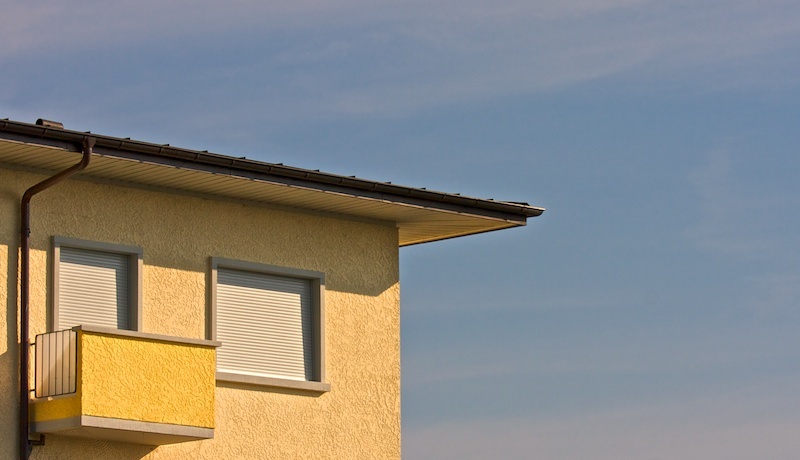 Shot in Dorigny, Lausanne, Switzerland. 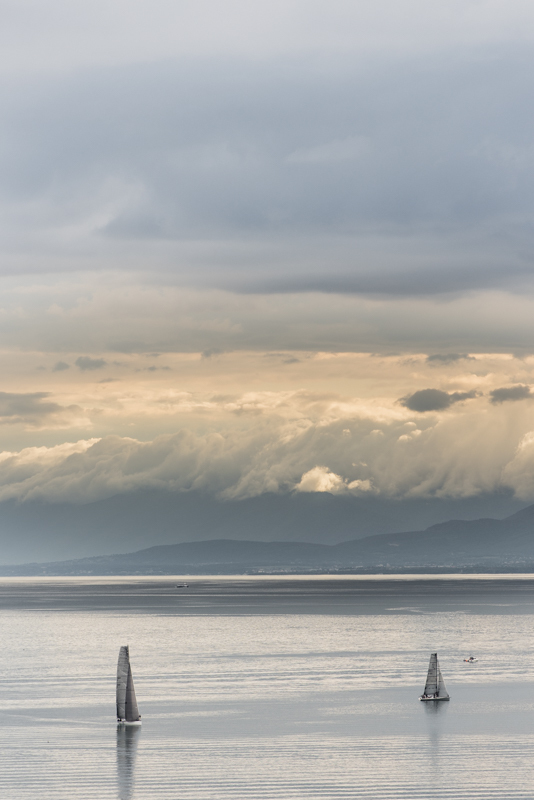 As I said in my previous post, I tried to avoid to shot the landscape when I was in Dorigny, Lausanne, Switzerland. Anyway, as a signature shot for my friend Jay : please welcome the lonely sailboat. 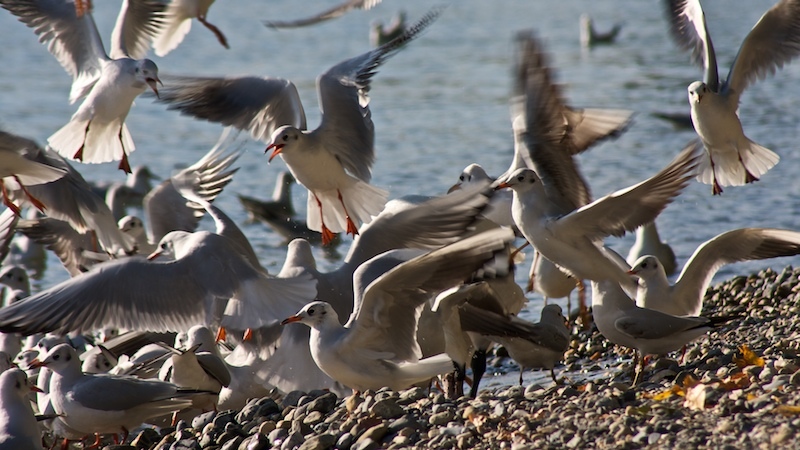 Crowded landing area on the Dorigny shore near Lausanne, Switzerland. Animals have family relations too. 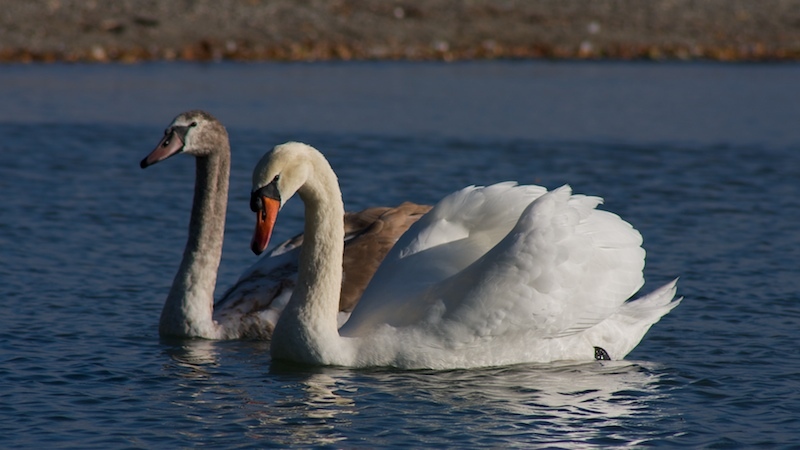 The grey one is a child swan. He seems to be malicious in this picture, and his father (or mother) looks serious. 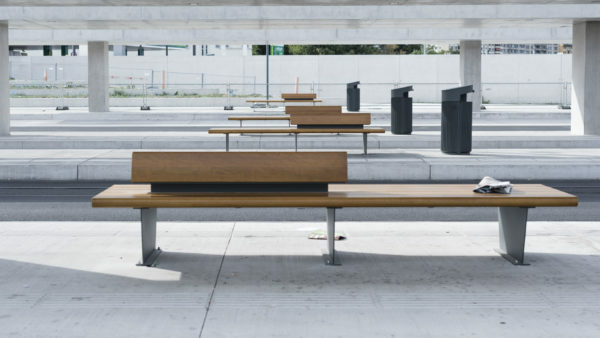 Shot in Dorigny, Lausanne, Switzerland. 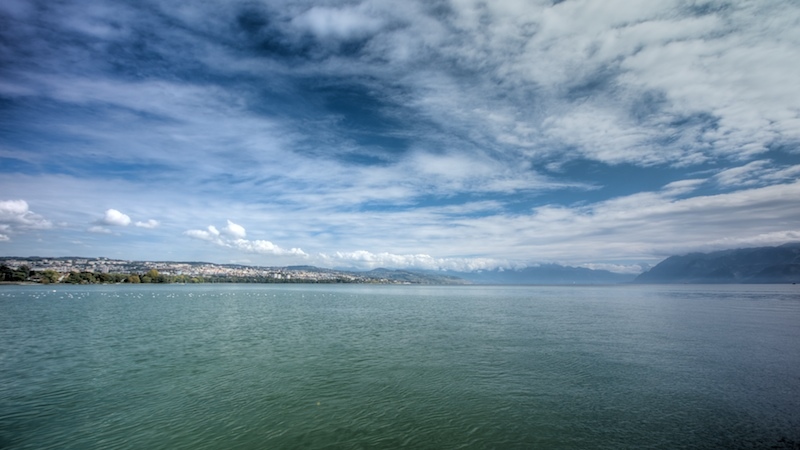 This week-end I went back to the Lake Leman shore, near Dorigny, Lausanne, Switzerland. I focused on the animals and tried to “avoid” the beautifuls landscapes. I saw a few animals and I will share it with you during the next few days. Thanks to Jay to lend me his 300mm. 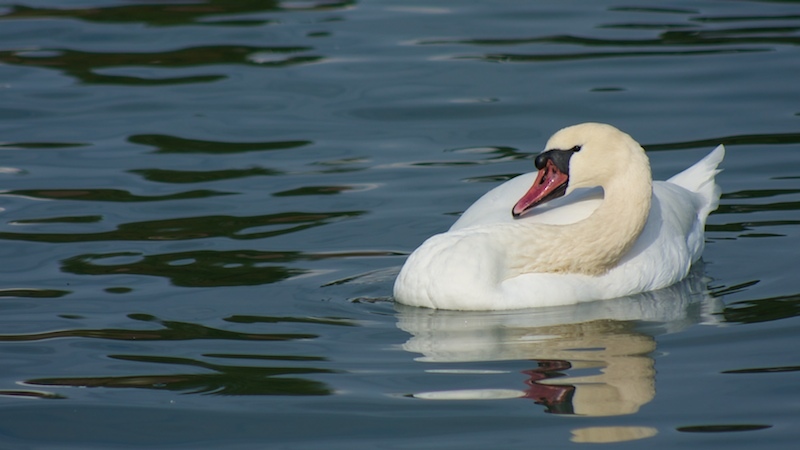 I can shot this swan from the bay of St-Sulpice near Lausanne, Switzerland. 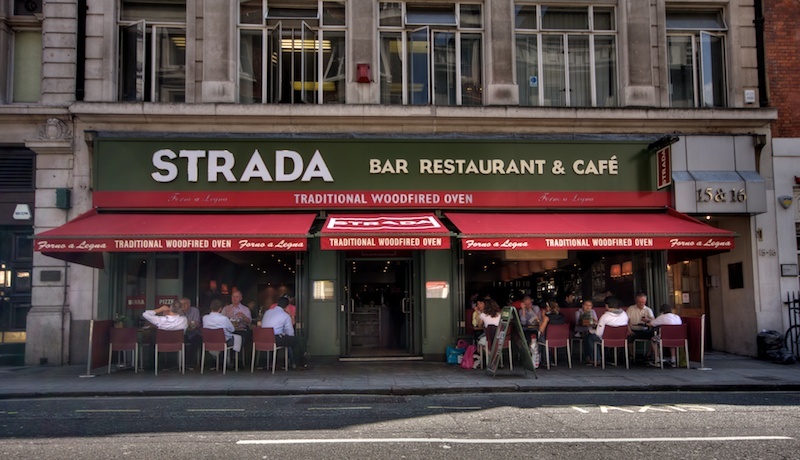 Imagine a place where the only reason to go is the food. I was there, it’s call Chiboz and it’s in Switzerland after 20 minutes driving one a tight road in the mountains you arrive in a cosy place to eat. In front of the restaurant I shot this landscape and for the first time I use my polarizator filter. No saturation added in the HDR processing. The food was great. The lake Léman shot from St-Sulpice, Switzerland. 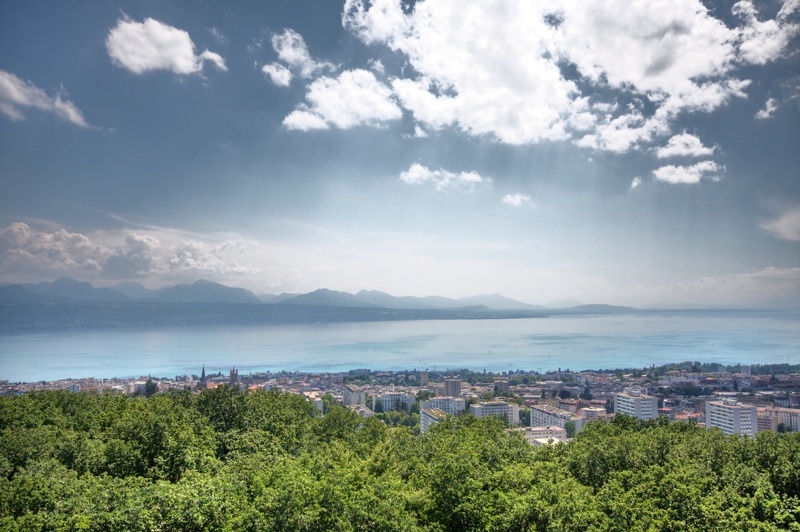 The place on the left side of the picture is the city of Lausanne. 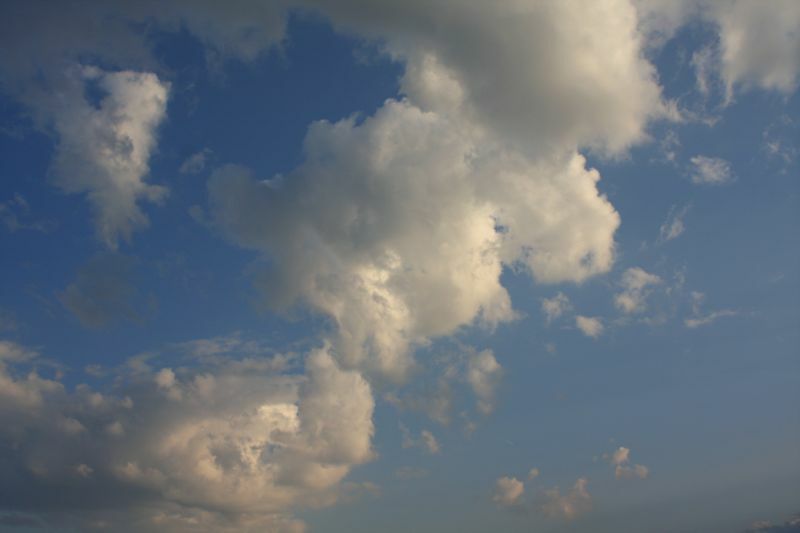 I like the differents types of clouds during this sunny day. 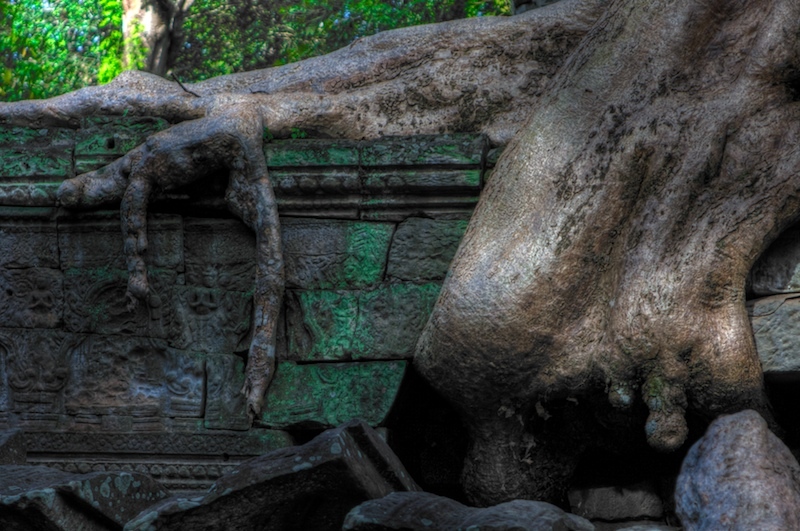 It’s the close up of the lonely Tree of Ta Prohm, Anghkor, Cambodgia. It’s not his real name, but it’s fit well. In this temple the nature take his right and everything is invaded by roots or trees. If you turn yourself back 180° from the last picture, that what’s you can see. A lot of people shot images, my friend Jay too ! Check out his shot this night. Shot on Temple Prasat, Cambodgia. Take from the Prasat temple near Siem Reap, Cambodgia. It’s quite popular to watch the sunshine on the temple. It’s totally worth it, a peaceful moment after a hot day visiting temples. 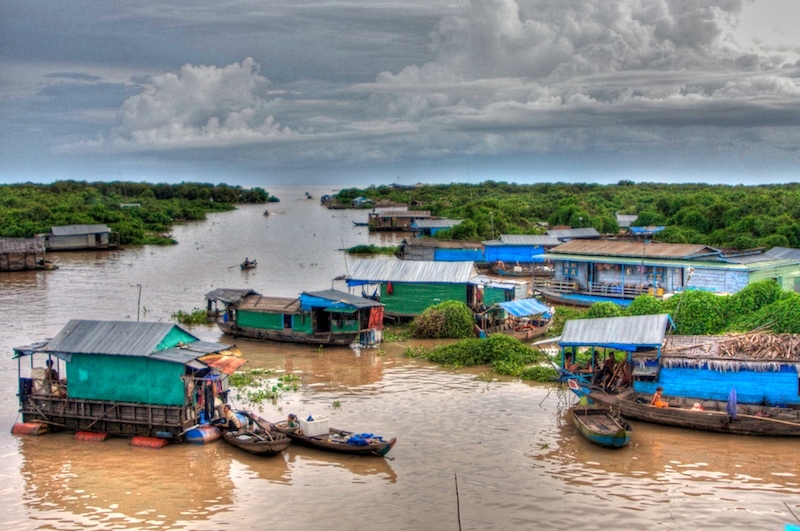 Taken during my trip in Asia, it’s a fisher’s town neart Siem Reap Cambodgia. I tried to work on the colour of the boats and the grain for this 3 exposures HDR shot. It was the end of the day. 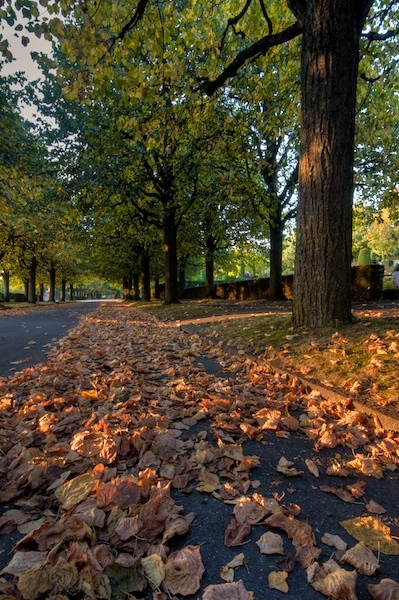 I come back to work and decide to try to catch the sun on the dead leafs in the Cemetery of Lausanne, Switzerland. 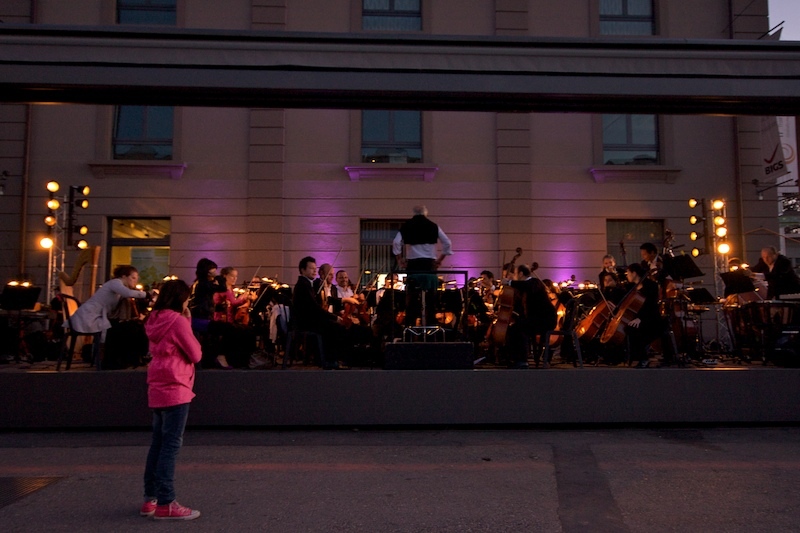 During the downtown-lausanne festival which take place in Flon, I saw this little girl in front of the Sinfonietta orchestra. May be her first concert ? A nice place to relax, unfortunately, you can’t see it in the picture but it was full of mosquitos. Shot in Siem Reap, Cambodgia. 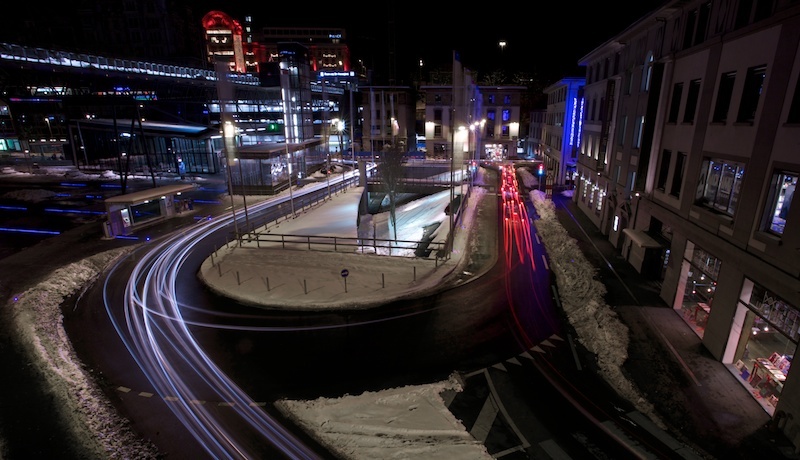 During the electrosanne, I escape from the concert to shot this popular street called the Flon, Lausanne, Switzerland. I work on the colorful lights and use a long exposure to avoid the crowd. In the same serie than a few of my recents pictures, I continue to work on water, shadow and green scenery. This time with this nice weather, I’ve got a cool reflect that I doesn’t except. 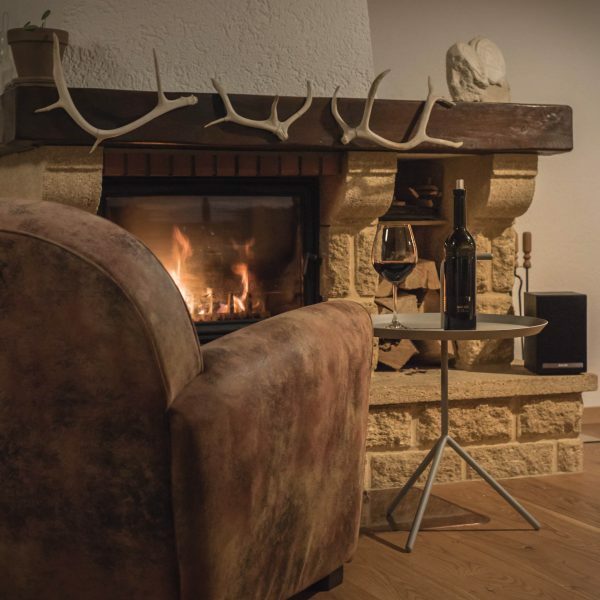 Shoot in Saint-Blaise, Neuchâtel, Switzerland. To take this shot my friend Jay and I lost a few pounds in sweat cause the night was so hot. 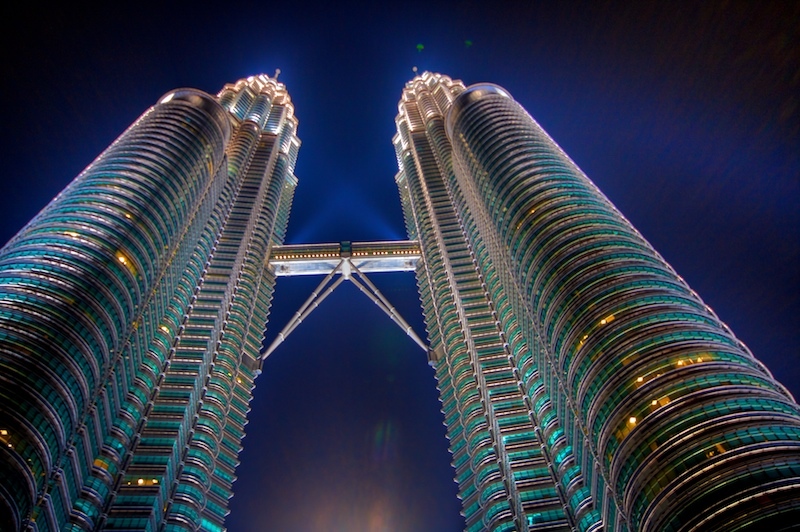 The is the famous Petronas Towers in Kuala Lumpur, Malaysia. 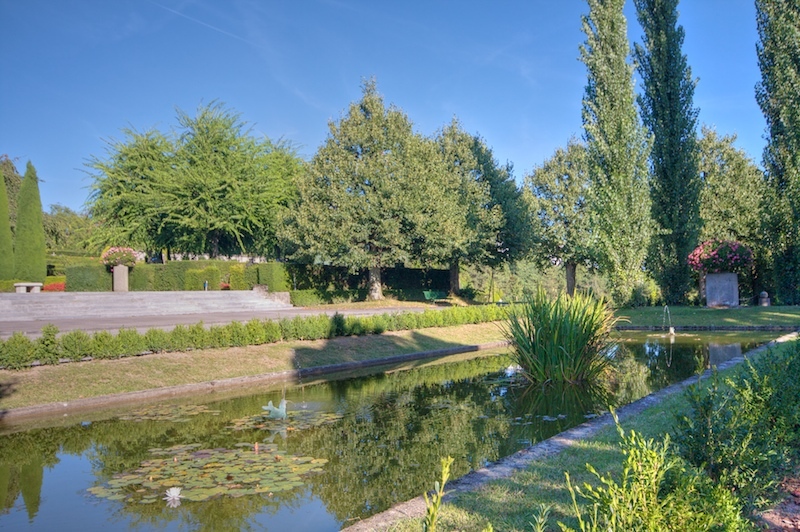 Believe it or not, this picture has been taken in the Lausanne cemetery not very far from the place where the picture called End of a summer day has been shot. At first, I planned to shot an HDR based on 3 RAW. Afer a few minutes on the spot I noticed that the water is moving, so 3 RAW can’t make it. So I use the one RAW technic. In this picture, I concentrate my attention on the green plant which is in the shadow. I’m pretty happy with the result. 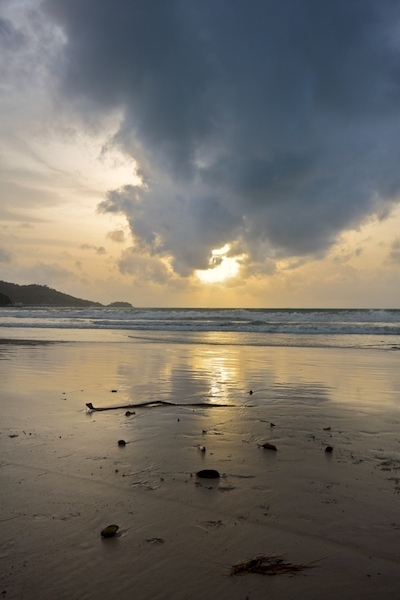 A sunset at Patong Beach, Phuket, Thaïland. 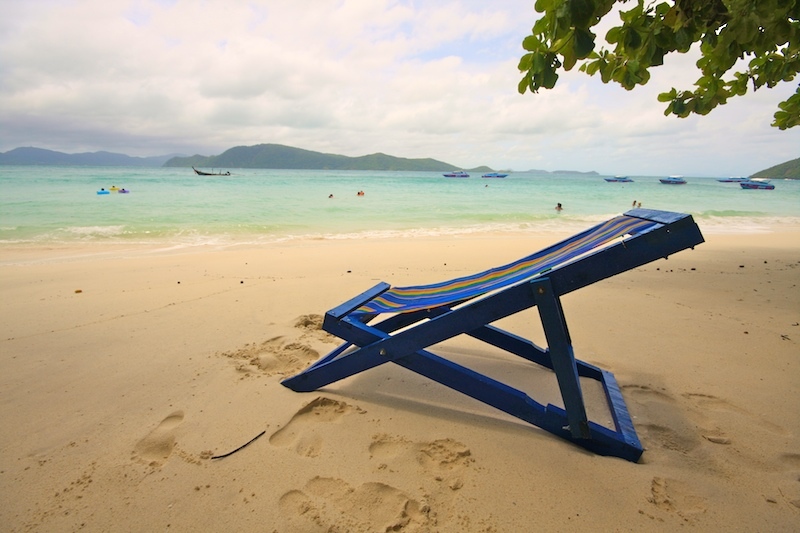 A lonely longchair in Coral Island, near Phuket, Thaïland. Just trying to catch a peaceful place where you like to rest. First HDR output based on a three wide angle shots in RAW. 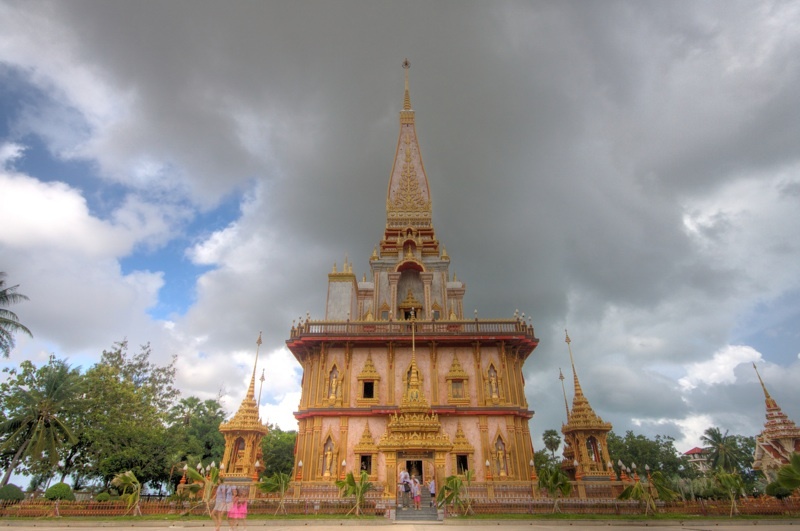 This is Wat Chalong, one of the most important buddhist temple in Phuket, Thaïland. 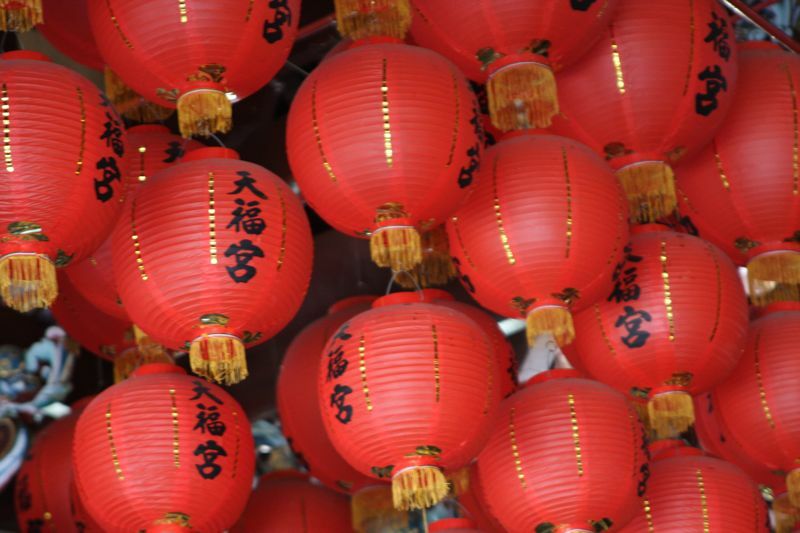 Take the night when I leave the country to go in Asia for holidays. 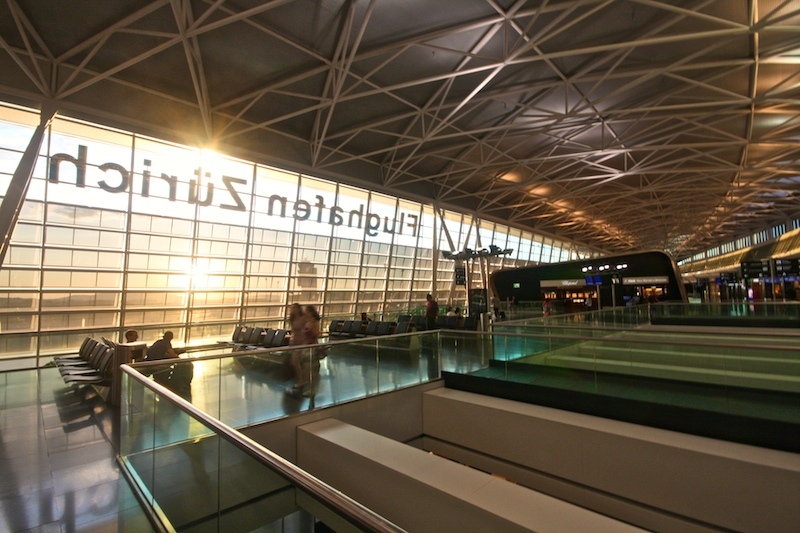 I like the sun throught the name of the airport, so no need to mention the location. 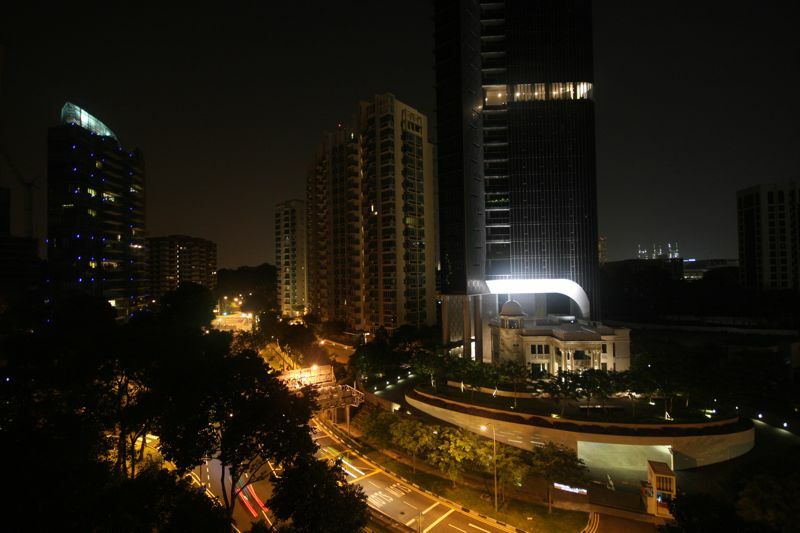 Night shot experiment from Mount Elizabeth Link in Singapore. 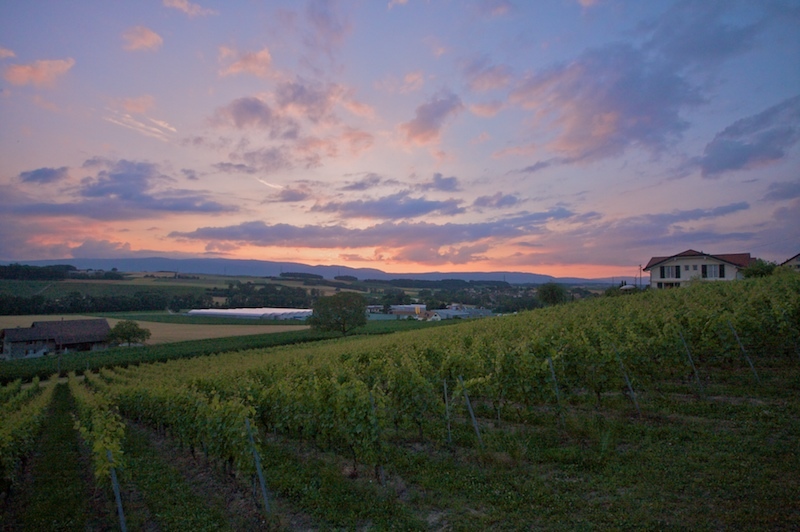 It’s not hard to believe you can expect great wines from this region. Take in the Lavaux area, near Lausanne, Switzerland. When you start climbing from Solalex, near Miroir D’Argentine. A place near Villars-Gryon, Switzerland. HDR based on 3 RAW. This subway called the M2 is visible in another picture. I like this subway and how is integrated into the city. 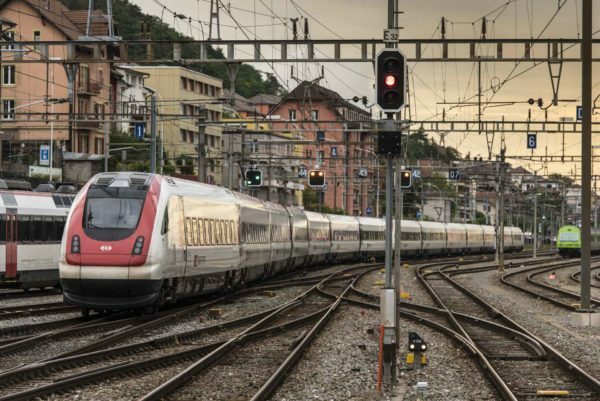 This picture was shot near the Delice station in Lausanne, Switzerland. When the sun goes down on the vineyard. Shot after a nice afternoon between BBQ, waterpool and red wine in Bremblens, Switzerland. RAW based. Back to the Vallée de la Jeunesse in Lausanne, Switzerland. Like this autumn, but from another point of view. Finally, another HDR experience, this time based on 3 RAW with 3 different exposures. Where is the DJ ? A lonely turntable, a speaker system,an empty stage but no DJ. 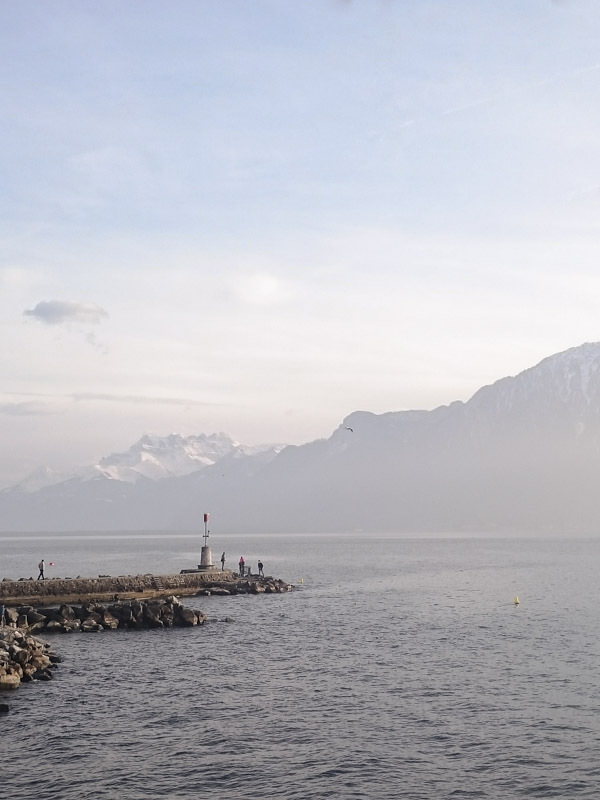 Taken from the Quai du Jurigoz in Lausanne, Switzerland. 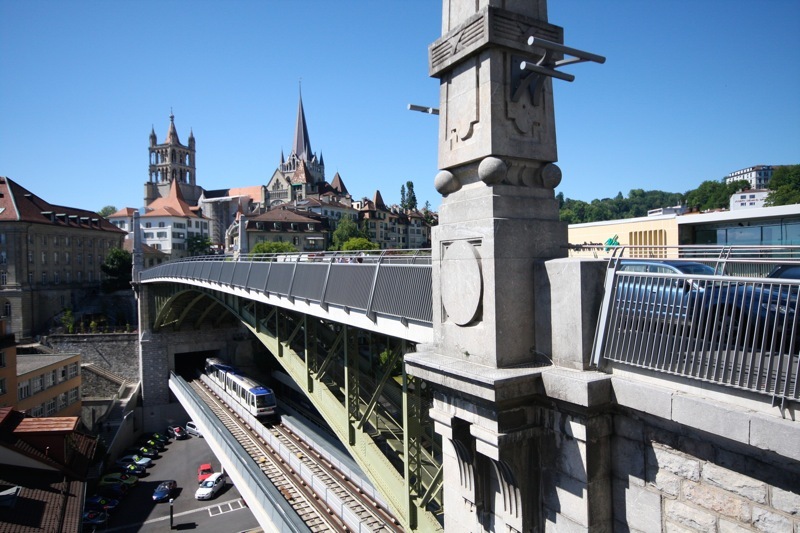 The Bessiere bridge in Lausanne, Switzerland. Take a look under the bridge you will see the M2, the subway. This is an answer to the Jay’s post called Lonely Gin Tonic. Taken in Yverdon, Switzerland. 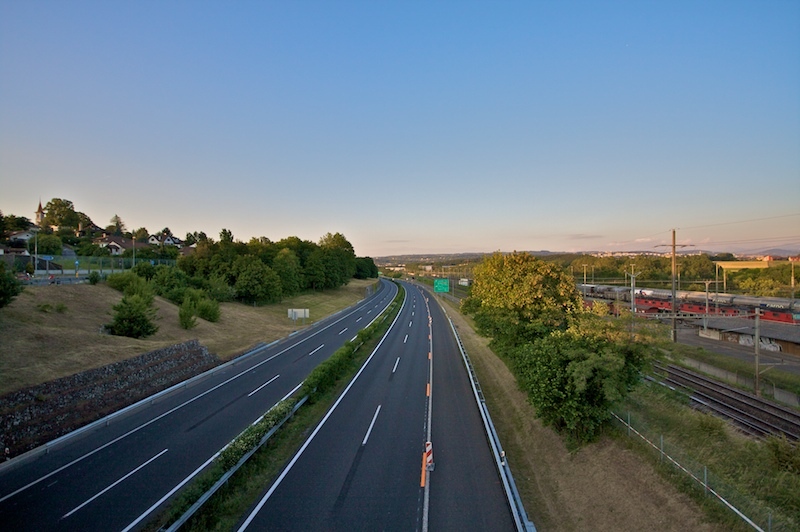 Tonight the highway between Lausanne and Geneva is closed. Taken form the bridge near Lonay. Taken from the top of the Sauvabelin Tower (see previous picture) in Lausanne, Switzerland. You can see the roof of the Lausanne Cathedral in the left part of the picture. Colors and levels are modified through the HDR process. 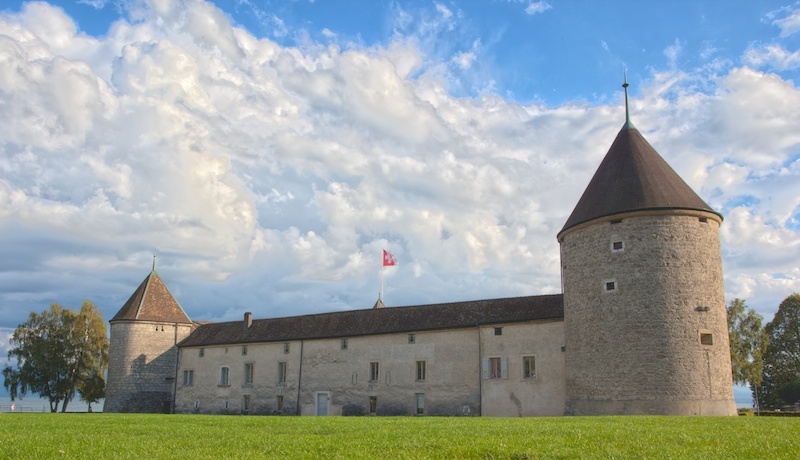 The Sauvabelin Tower near Lausanne, Switzerland. The Provence Center Building in Lausanne, Switzerland. My first try with my brand new wide angle Sigma 10-20 and another HDR experience. A macro shot from a red as blood flower in Lausanne, Switzerland. 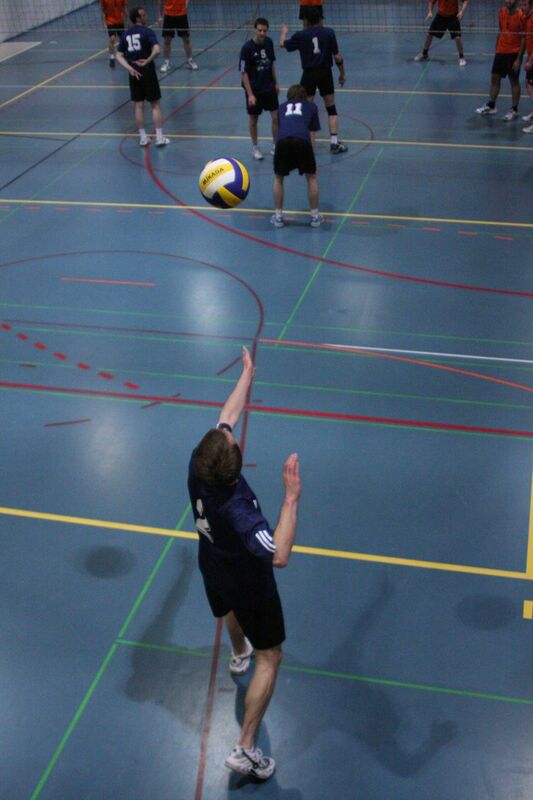 Taken during the first playoff game of a regional volleyball league in Lausanne, Switzerland. This picture is a bit noisy because of the lack of light in the gym hall and the use of a 3200 ISO sensitivity to compense. Have a close look on number fifteen, a smart guy who indicate where to serve. End of the hockey game between Germany and Russia. 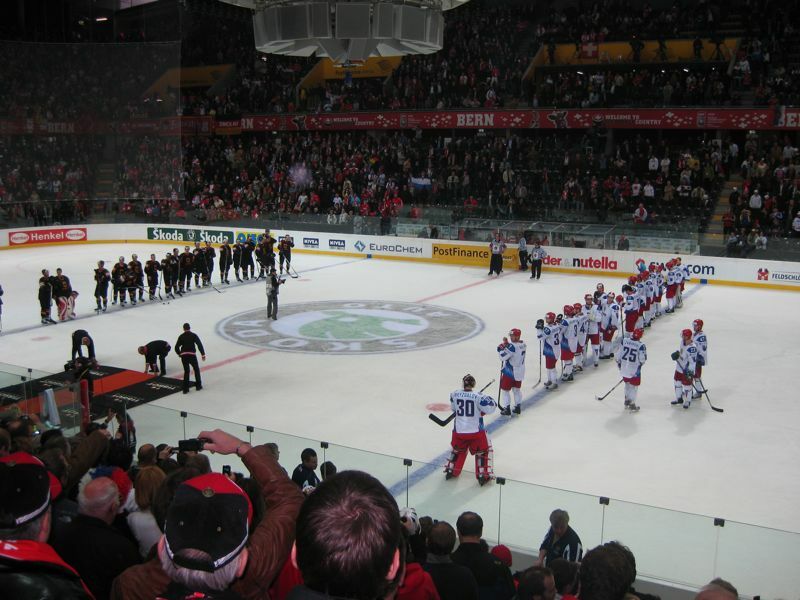 5-0 for Russia, in Bern Arena, Switzerland during the IIHF World Championship 2009. 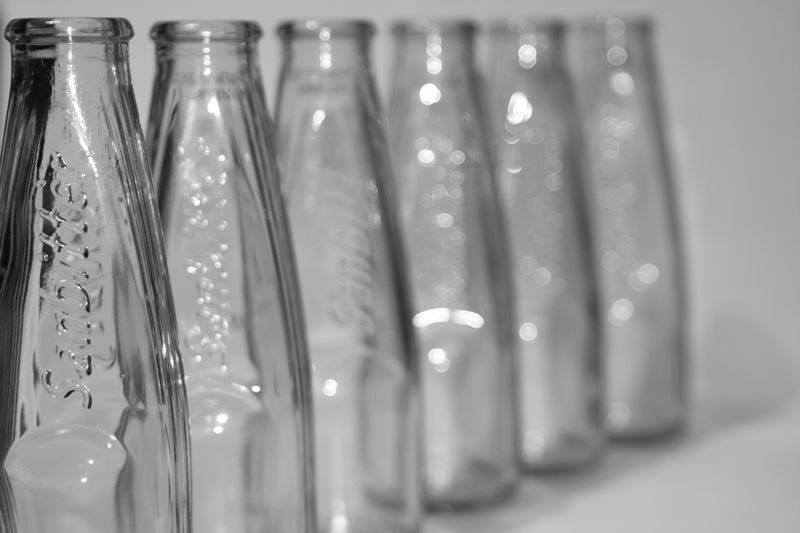 Monochromes bottles. Just an experiment during my week-end. 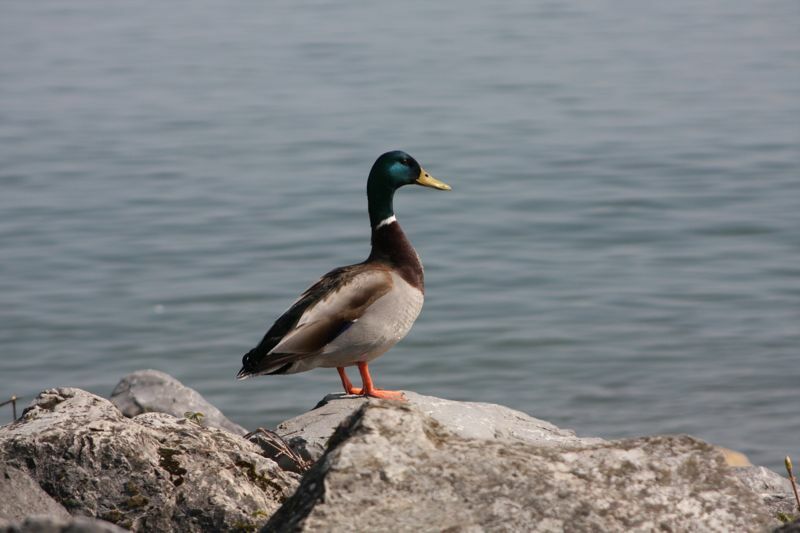 A quiet duck on the Leman shore, near Vidy in Lausanne, Switzerland. Some clouds above St-Blaise, Switzerland in the evening. 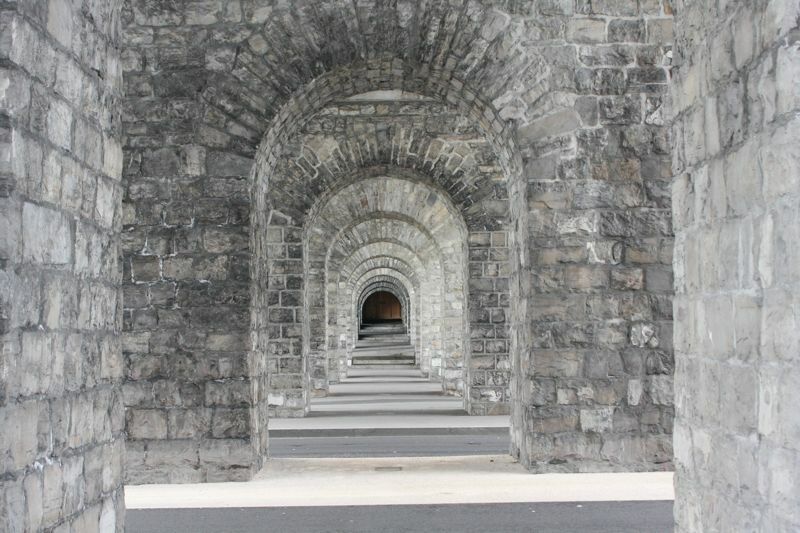 A perspective from under a bridge in Lausanne, Switzerland. 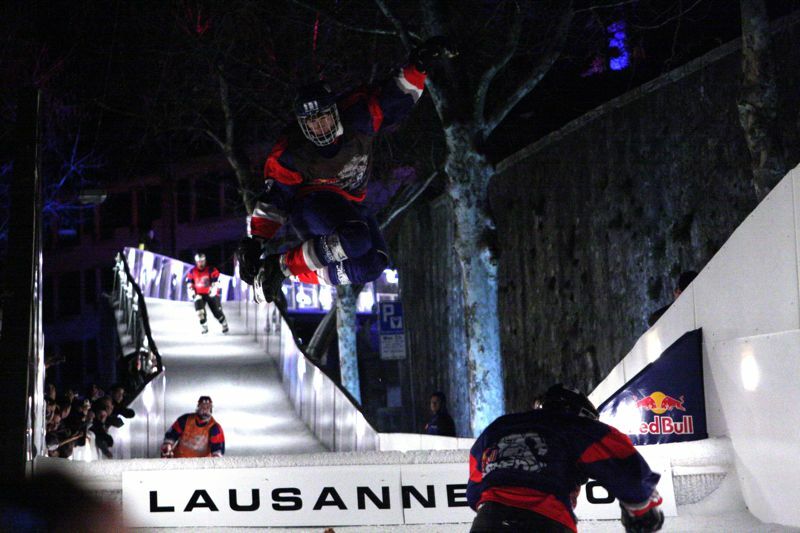 Crazy guys tried to perform a freestyle session in the middle of the Red Bull Ice crashed. Taken yesterday in Lausanne, Switzerland. Be careful when you’re in the mountains. Taken on the top of the Rochers de Naye, above Montreux, Switzerland. 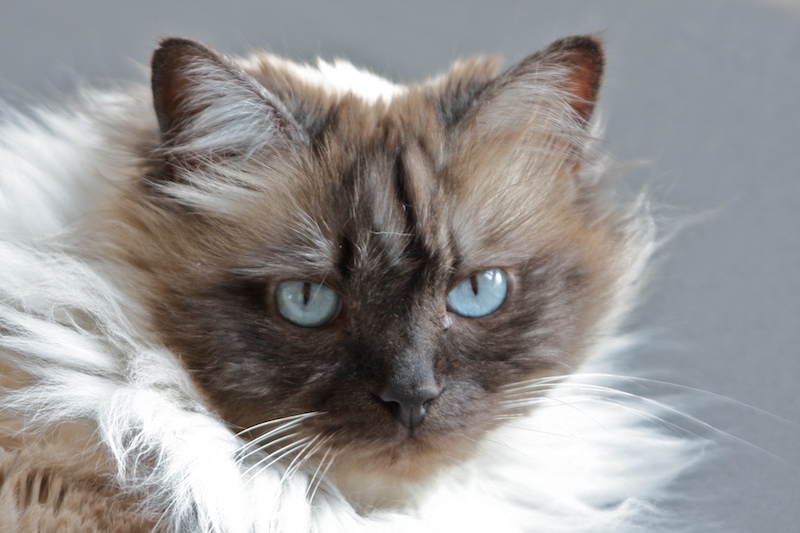 Blue eyes and pretty face. It’s hard to keep a cat quiet with the right ray of light. Pretty happy with this result. First experience in night shooting. 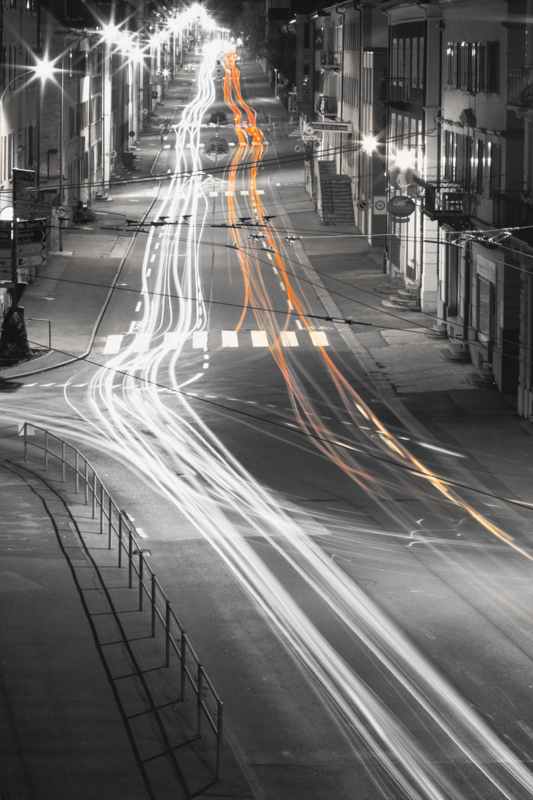 A small street in Lausanne with tags, a perfect place to try a long exposure. Hole 17, you’re tired but happy. Your last swing wasn’t so bad. 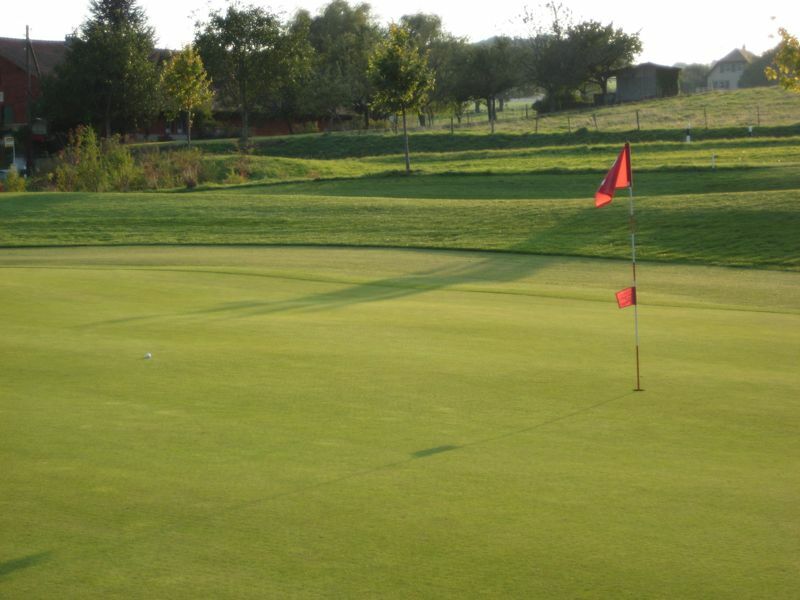 This putt and the last hole then you’ll have a beer with your friends. The barbecue party will start after the 18th hole. Can’t wait the opening of the season. Based on one RAW picture this is another HDR experience. 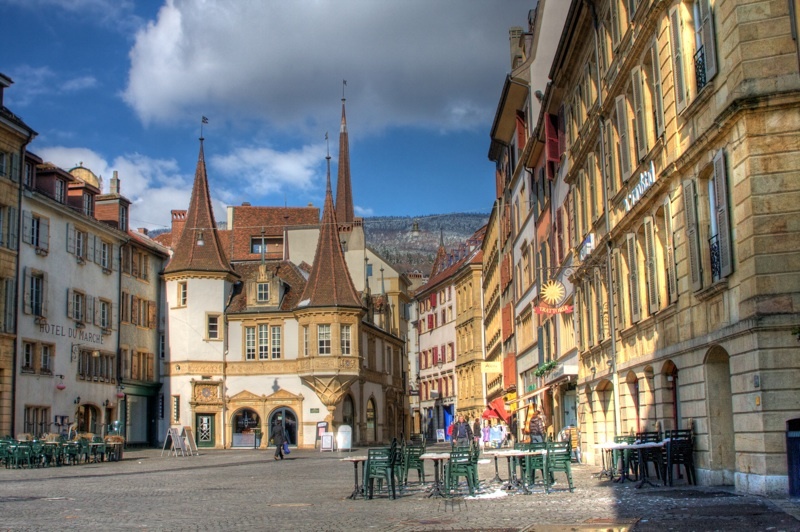 This place is in the middle of the town of Neuchâtel, Switzerland. With the “one raw technic”, I don’t have to care about the “ghost effect” that you see sometimes in HDR picture. For the technical viewers, the exposure time in the EXIF data is wrong because of the image manipulation. A panorama of the interior of a car taken on road between Barcelona and San-Sebastian. A alley of trees near the port of Vancouver, Canada. 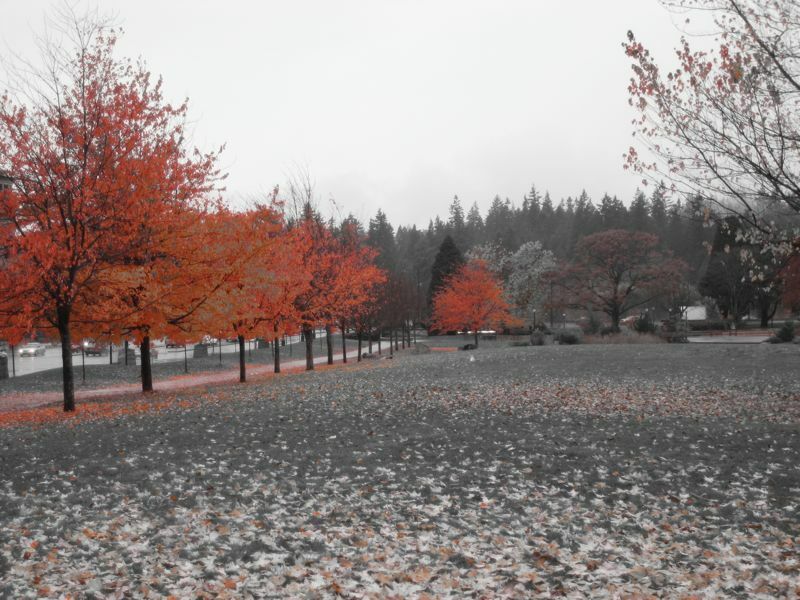 The special effect is a built-in function of the IXUS called “color accent”. 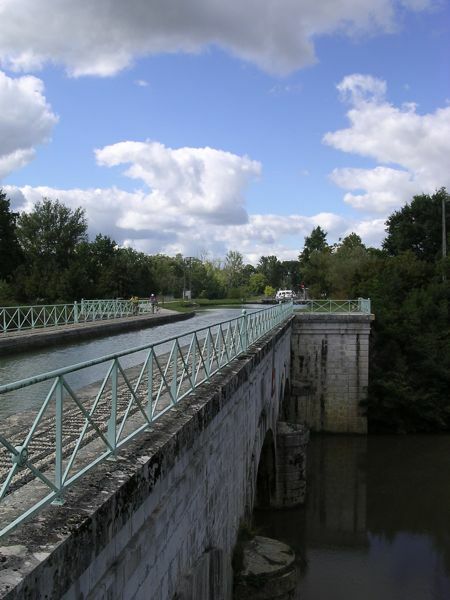 Bridge (Aquaduc) for boats in the Garonne region, France. My first try with the HDR technic. 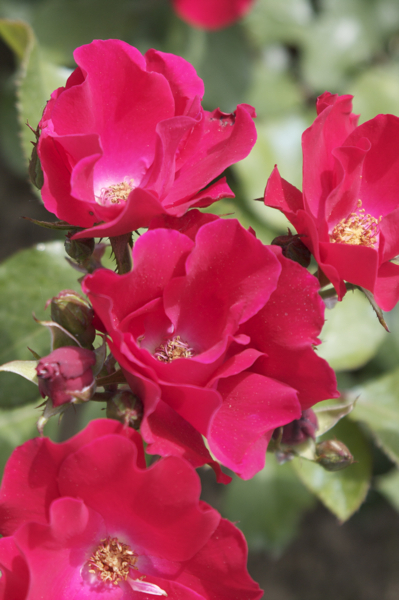 This picture is based on three jpgs, I will try in RAW as soon as possible. 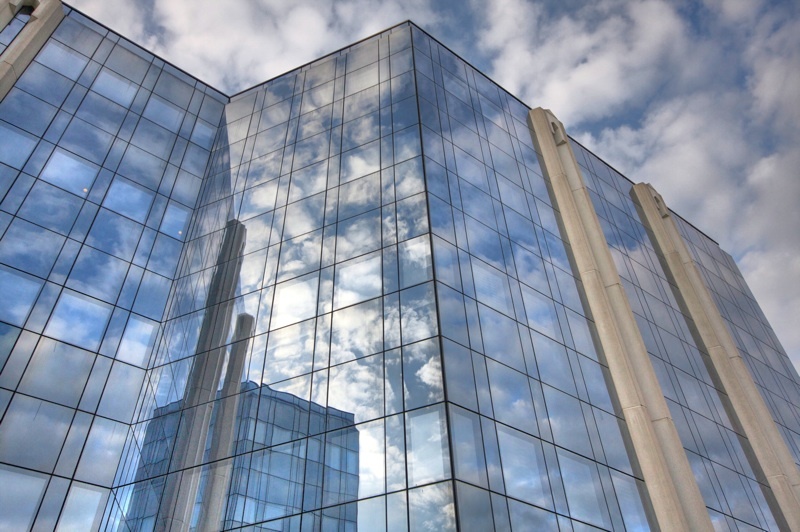 If you don’t know what HDR is, just read the PDF file available on this page. Experimental shot with the “fireworks mode” on my first digital camera. 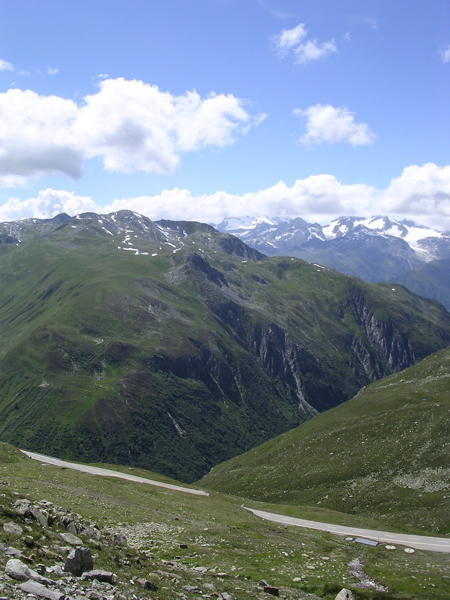 From the top of the Nufenen pass (2478 m) between the canton Of Valais and canton of Ticino. 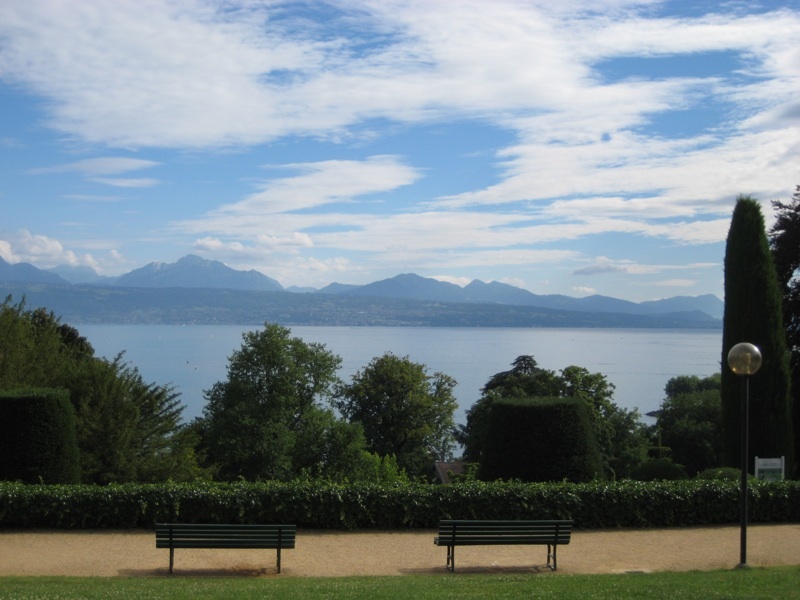 Two benches in front of the Leman Lake. Near the photography museum called L’Elysée in Lausanne, Switzerland. 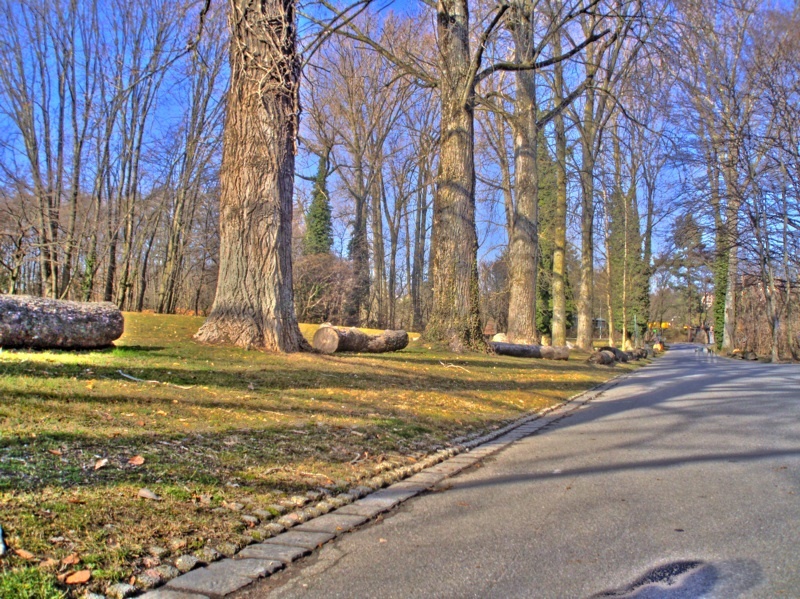 A sunny autumn afternoon in Vallée de la Jeunesse, Lausanne, Switzerland.